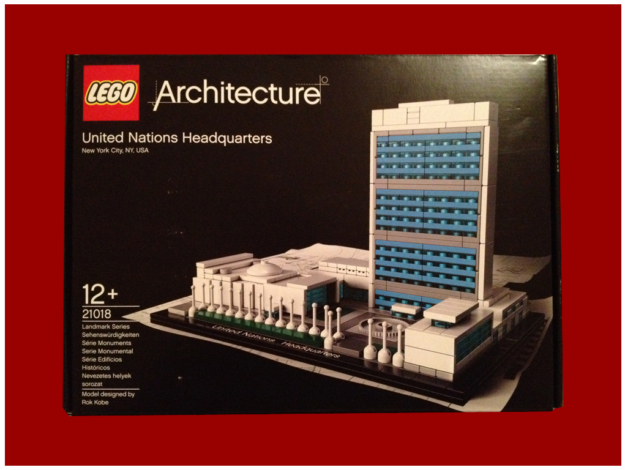 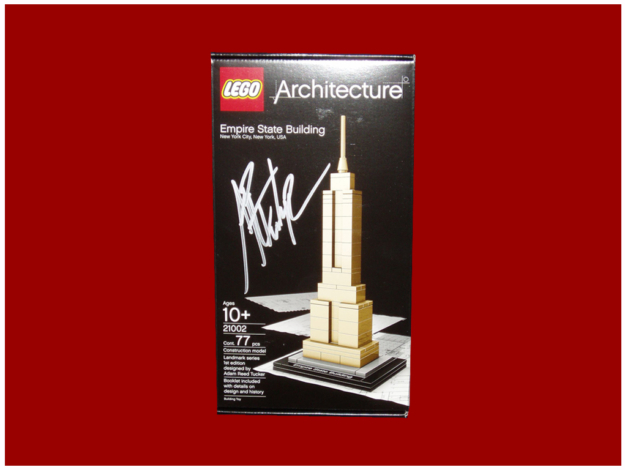 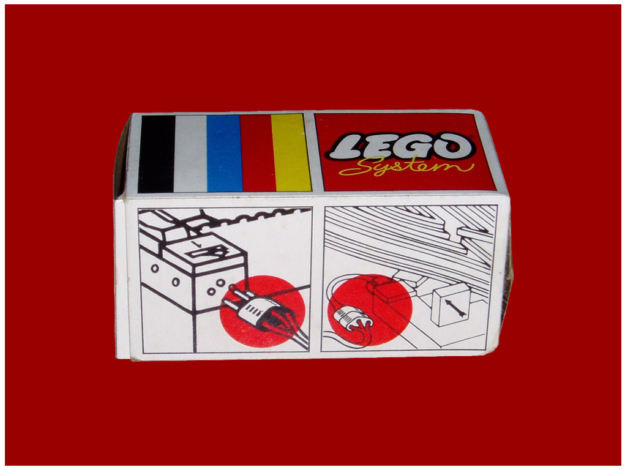 Lego is famous worldwide for its building blocks. 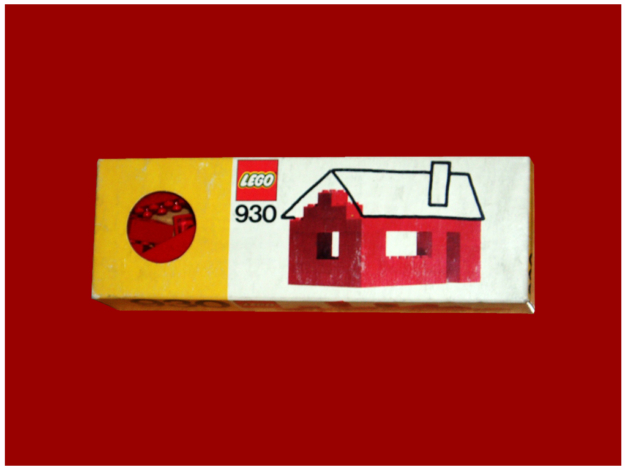 In 1916, a man called Christiansen opened in Billund, Denmark, a small carpentry for buildings construction and interior decorations for the farms of the region but in 1924, due to a wildfire, it was destroyed and Christiansen decided to rebuild a bigger one. 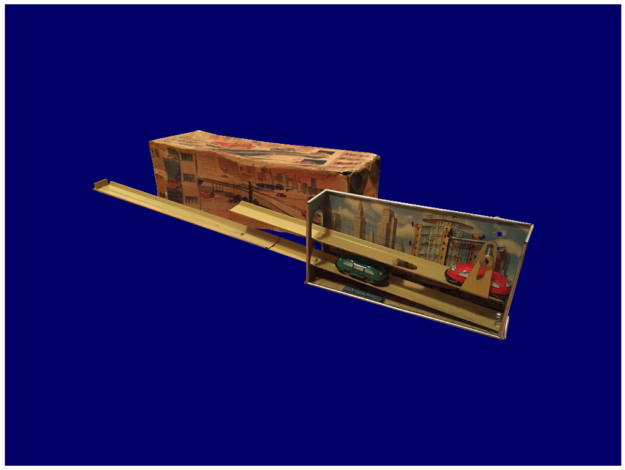 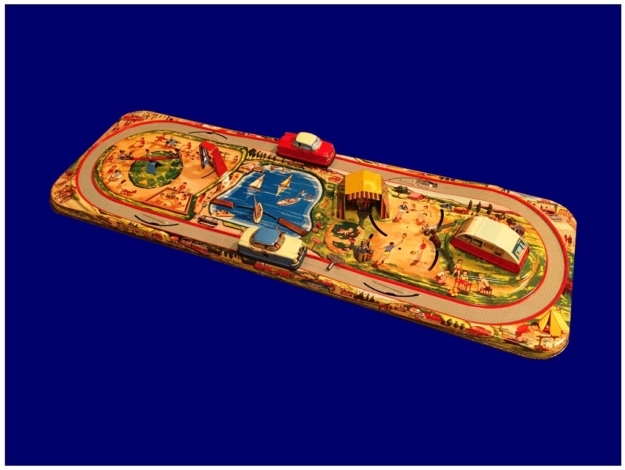 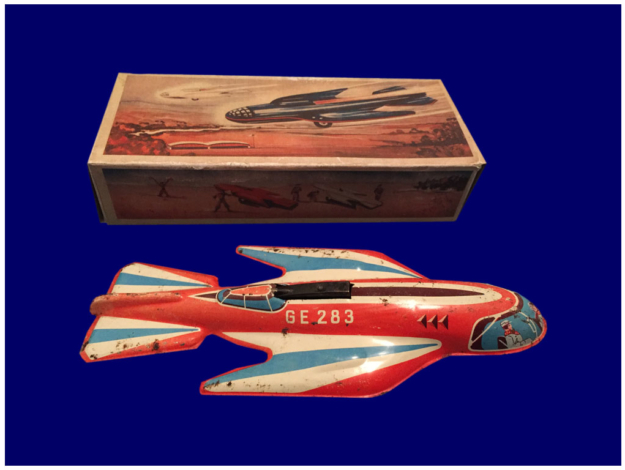 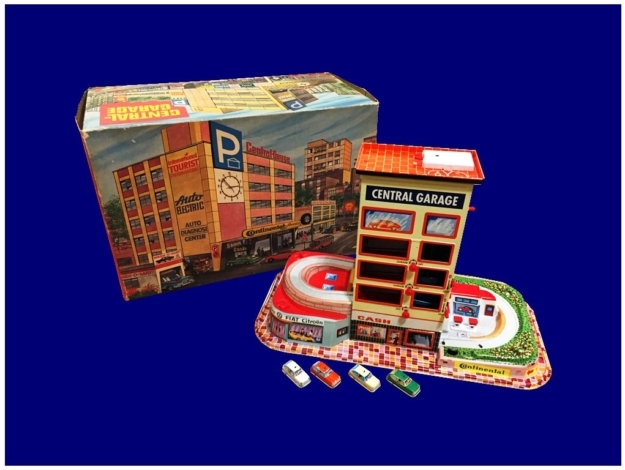 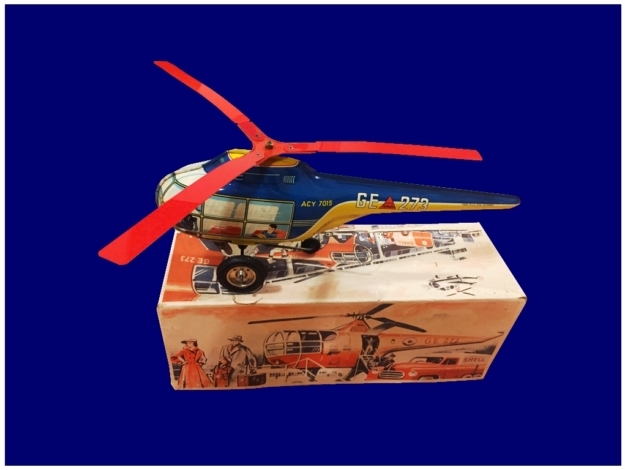 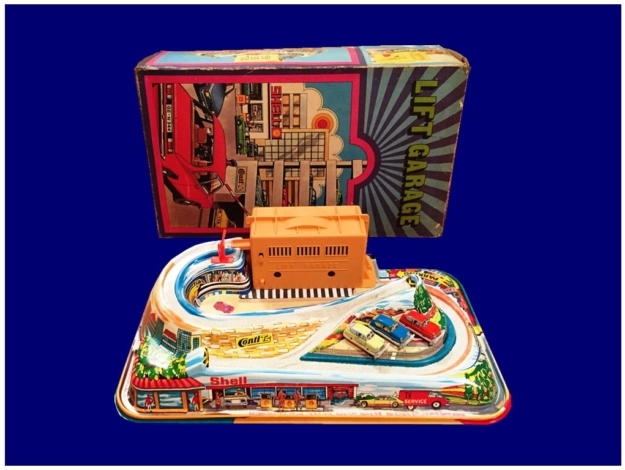 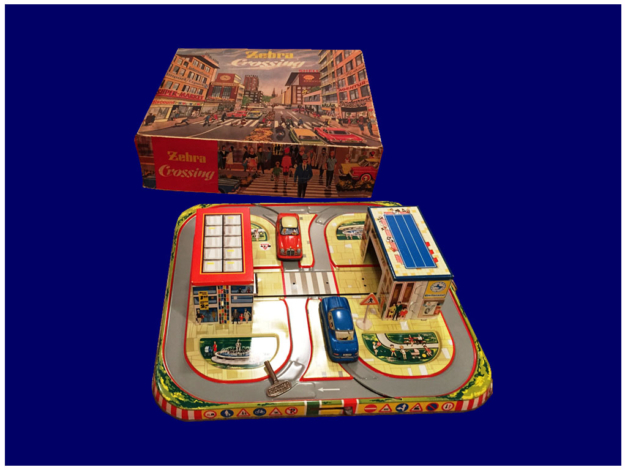 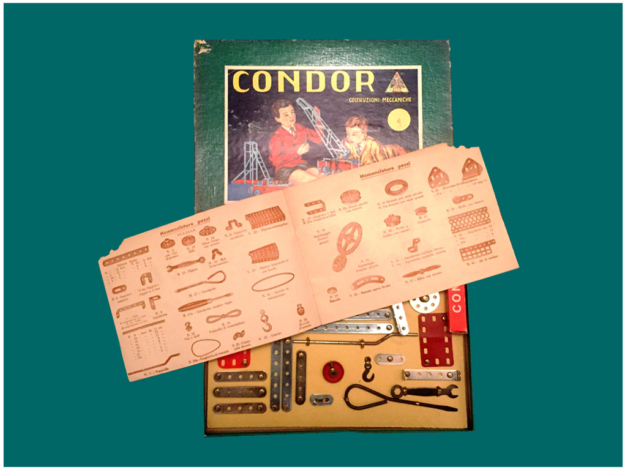 In 1929, to cope with the Great Depression, Christiansen reduced the costs of production by manufacturing miniature models of its creations that were the inspiration for the production of toys that would begin shortly thereafter. 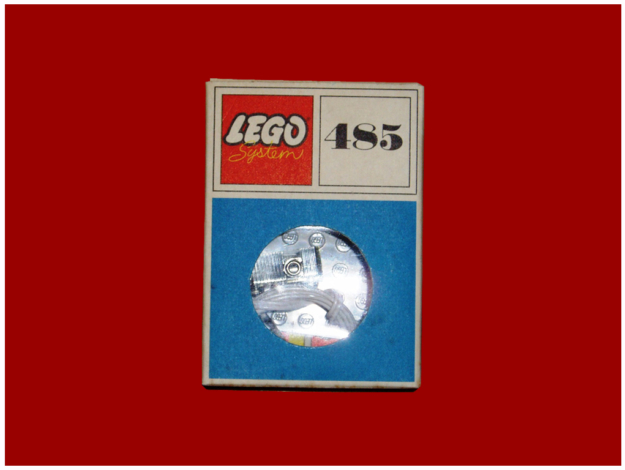 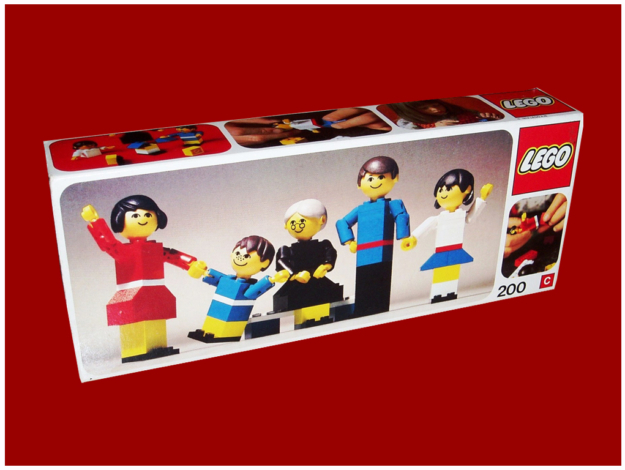 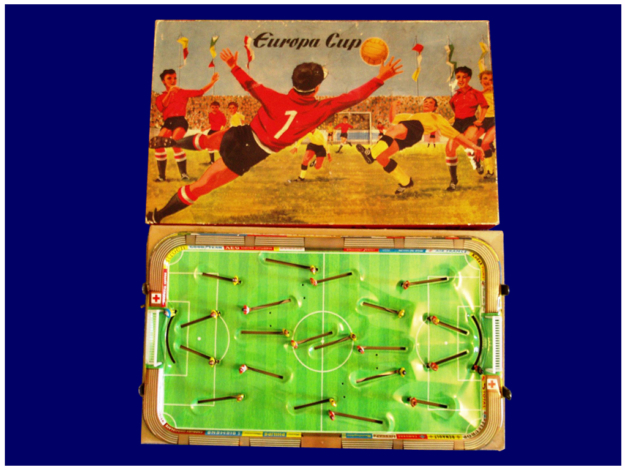 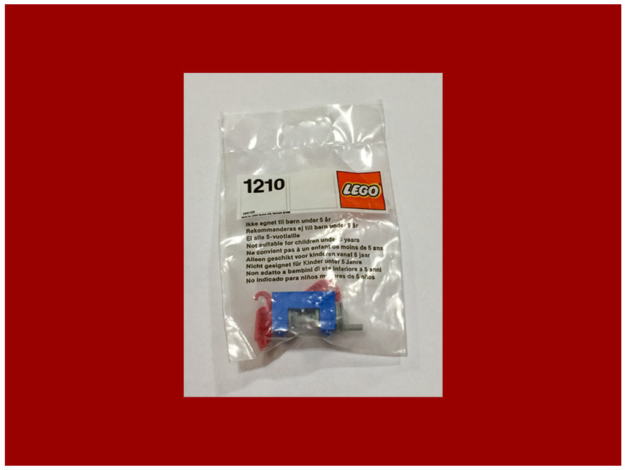 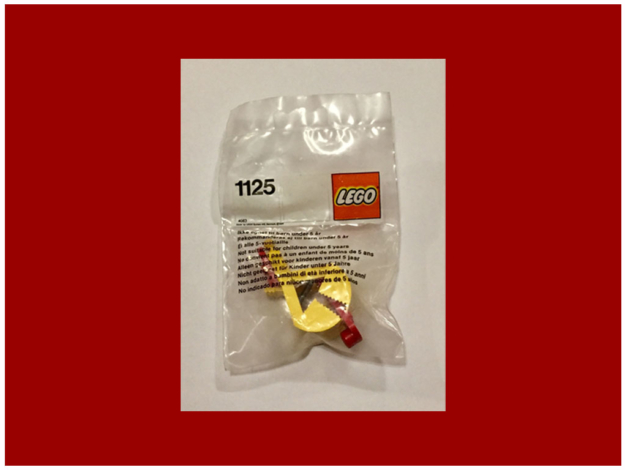 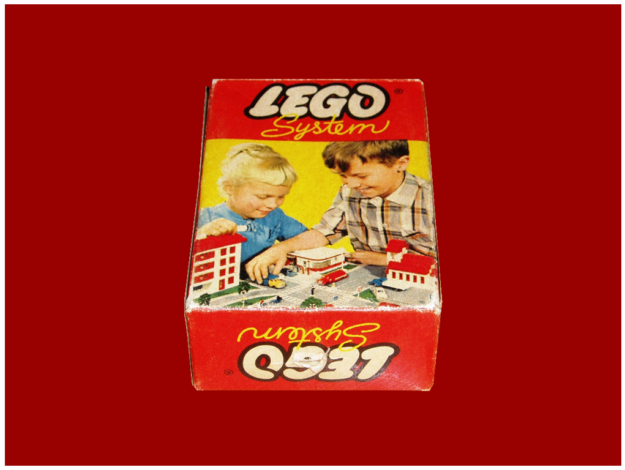 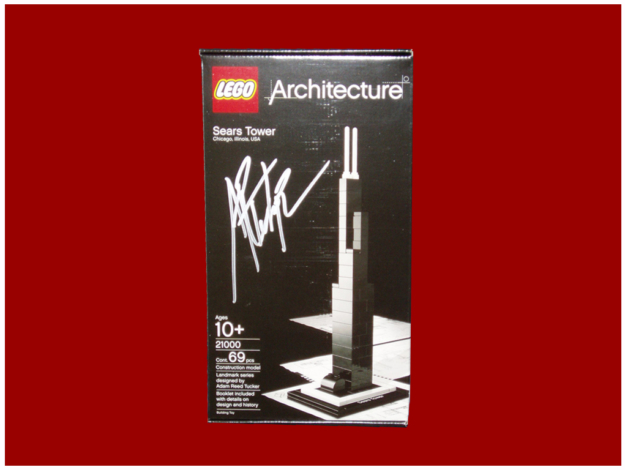 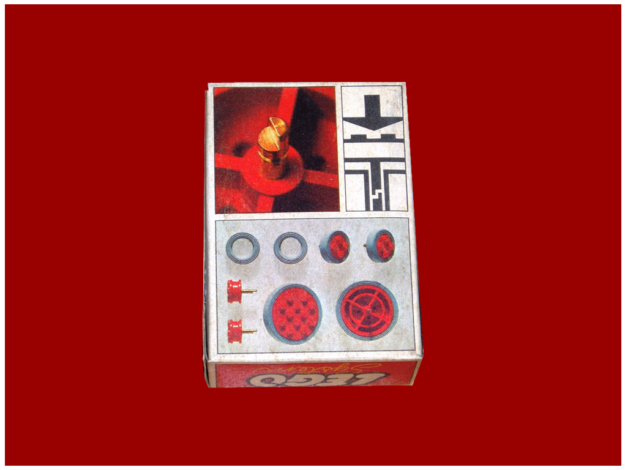 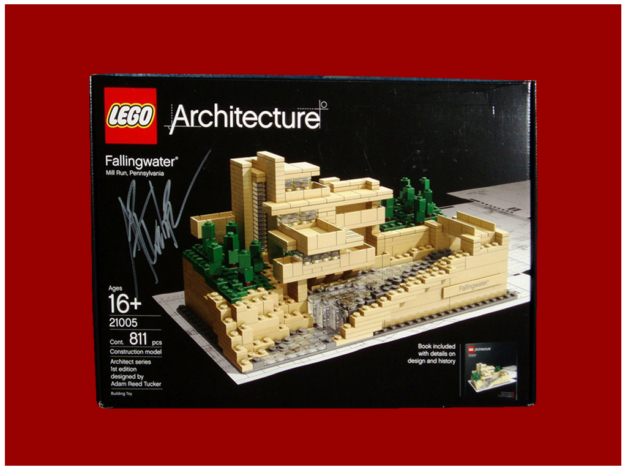 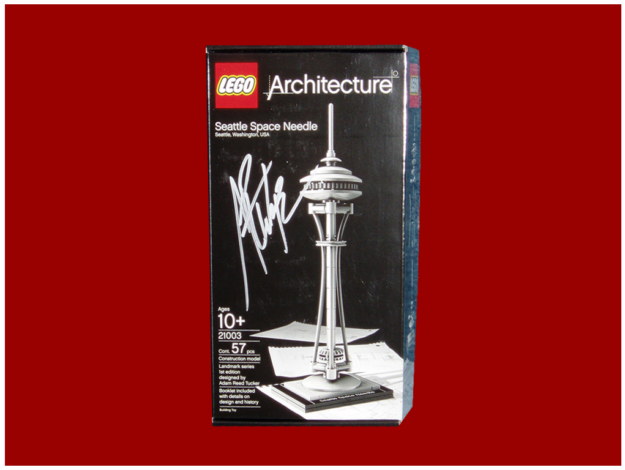 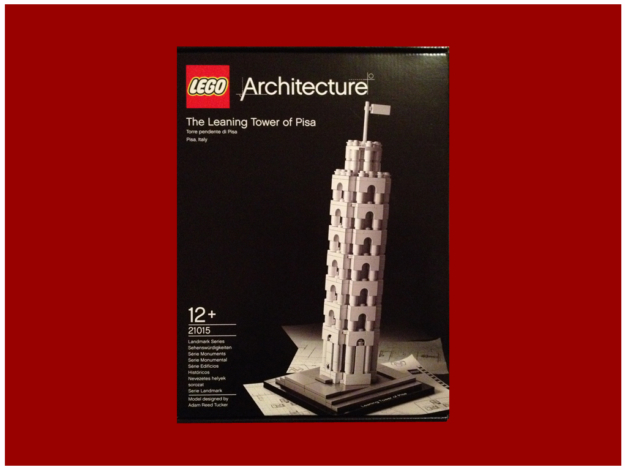 In 1934 Christiansen invented the name LEGO for his toys, inspired by the Danish phrase “leg godt” (play well). 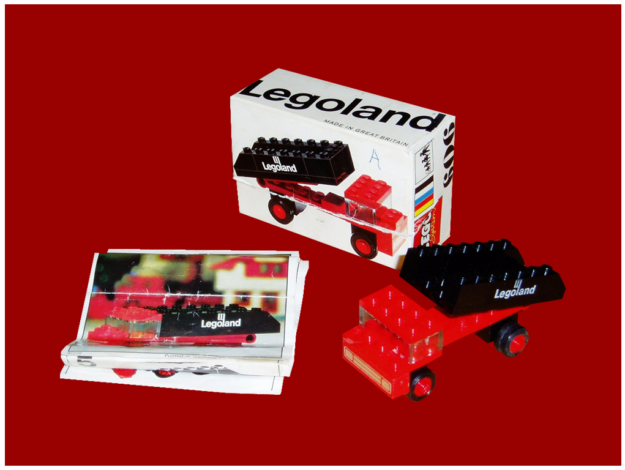 When the use of plastic spread out, Christiansen introduced it in its own production and one of the first modular toys he built was a truck that could be broke down. 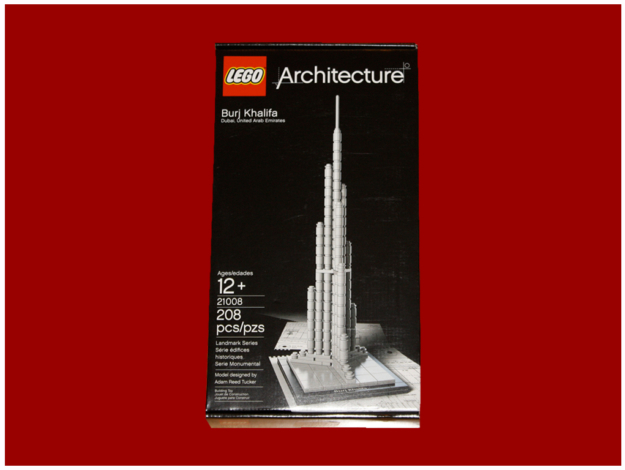 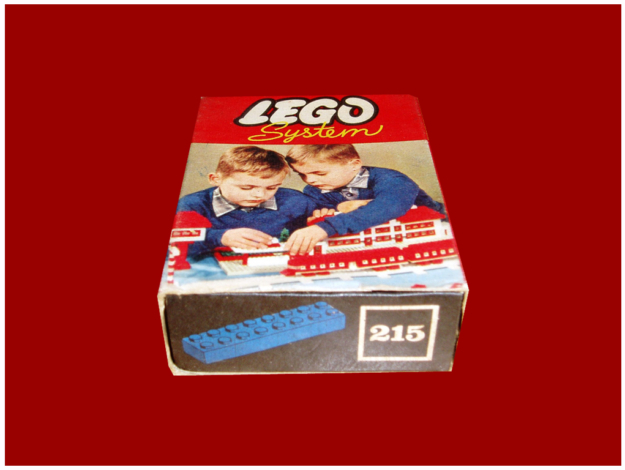 In 1947, Ole Kirk and Godtfred created the first models of assembled plastic bricks that, in 1949, Lego Company began to produce under the name of Automatic Binding Bricks. 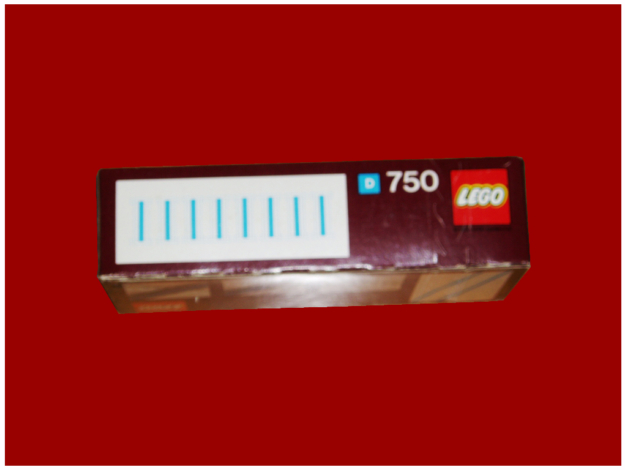 The bricks, made of cellulose acetate, were developed following the tradition of the overlapping wooden blocks already produced by the company but the new ones could be assembled and disassembled with each other, by matching the round protrusions on the top face to the rectangular cavity on the bottom. 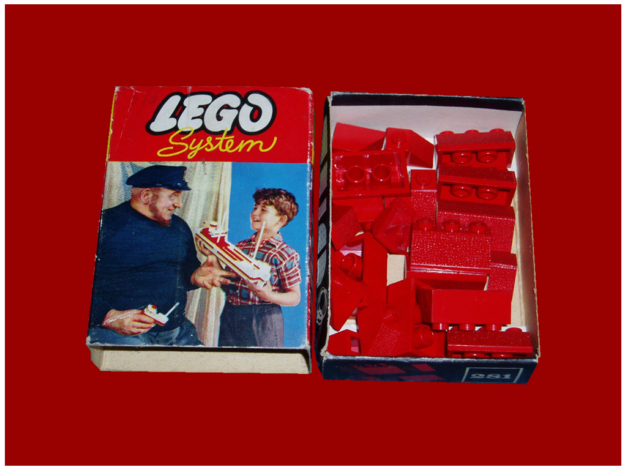 In 1953, the brick was given a new name: “LEGO Mursten” or “LEGO Bricks” or “LEGO”. 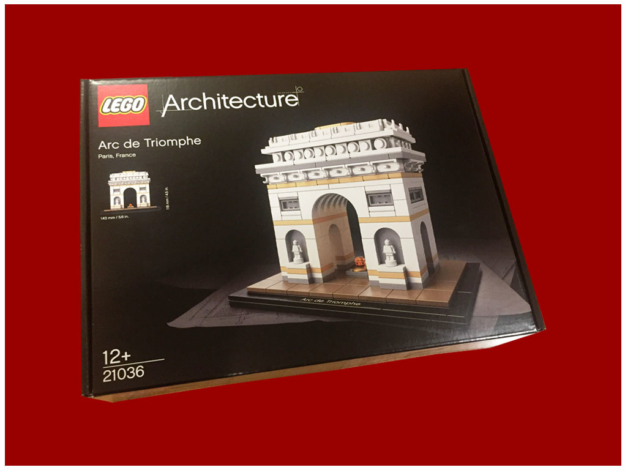 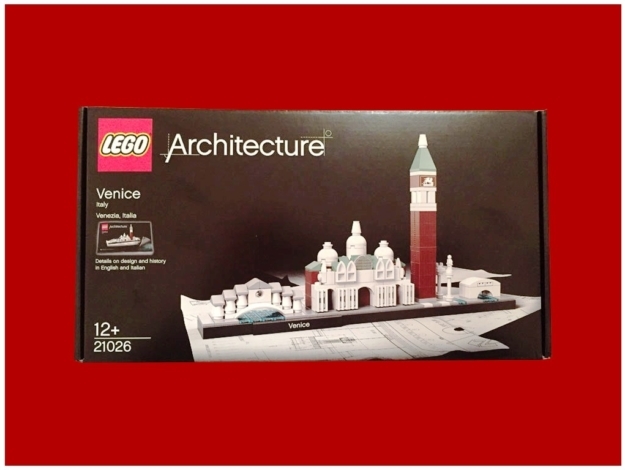 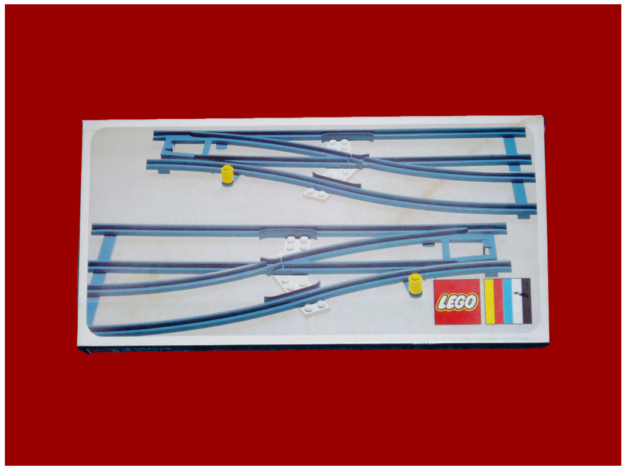 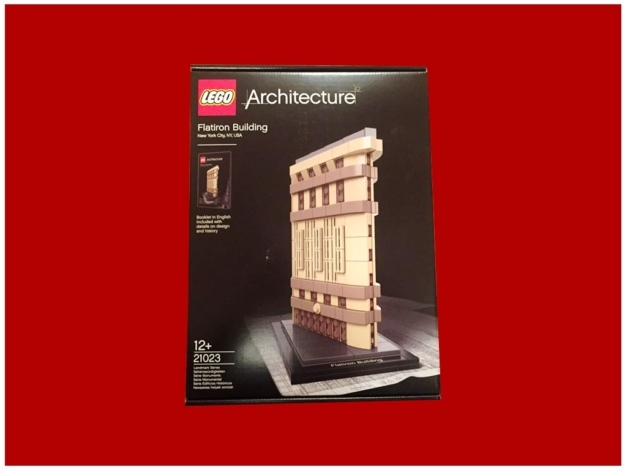 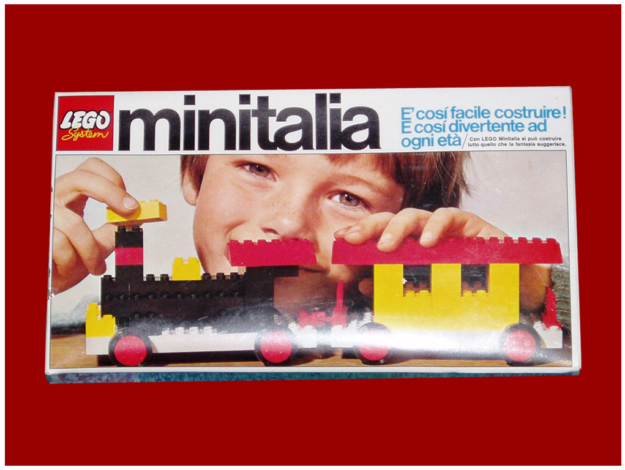 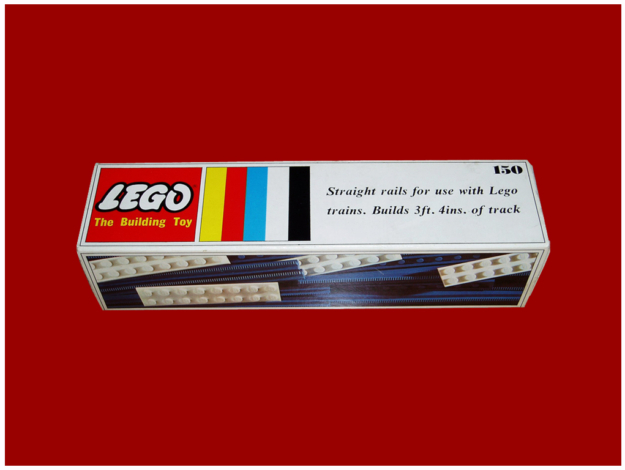 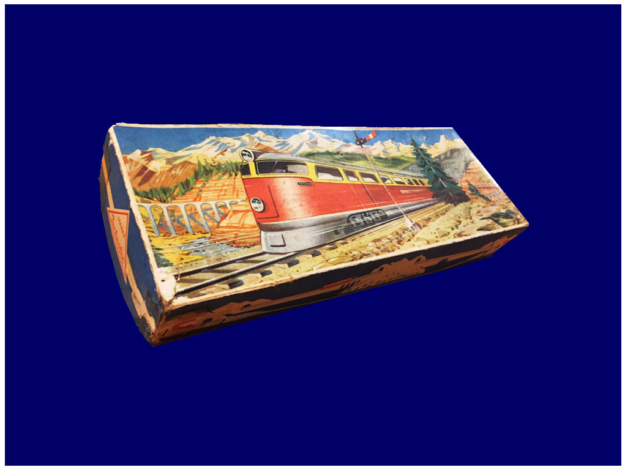 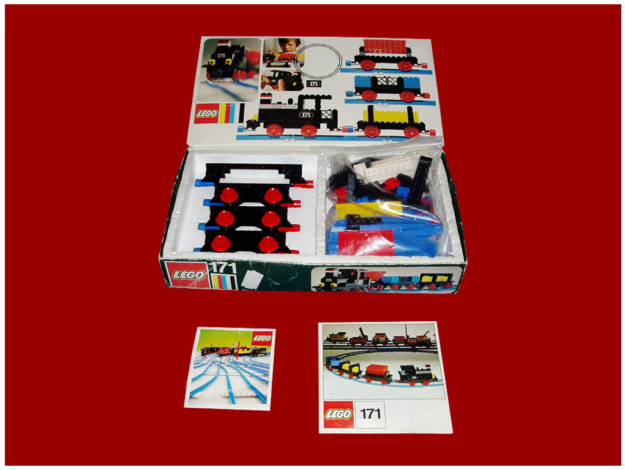 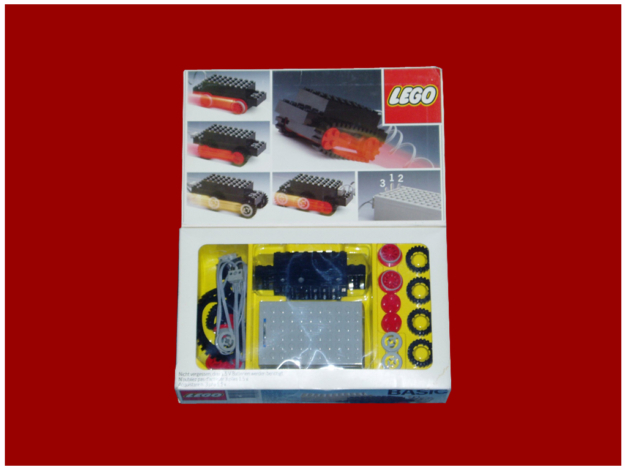 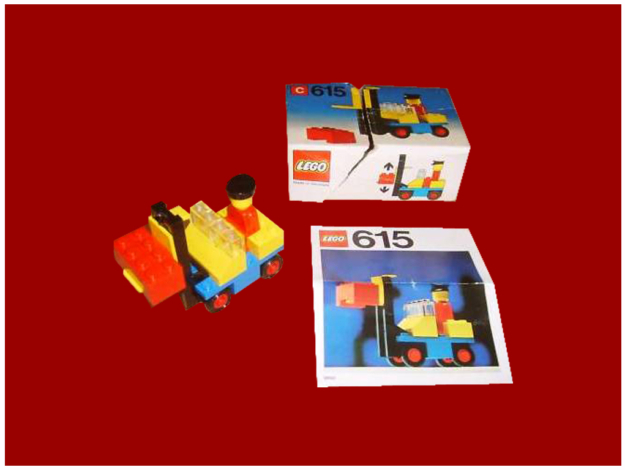 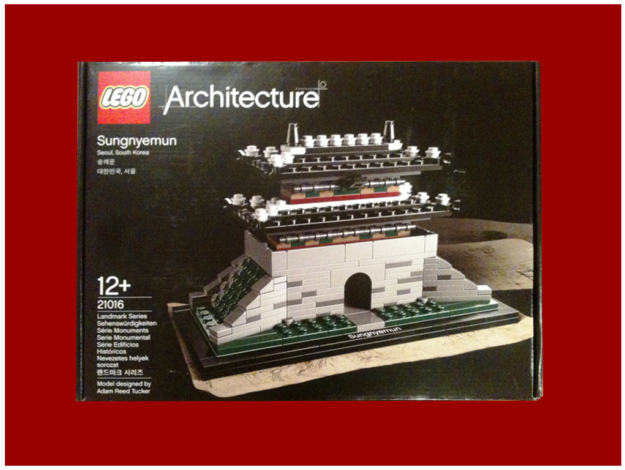 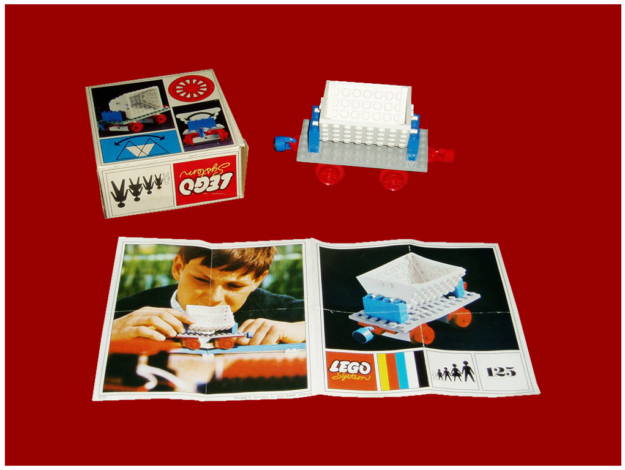 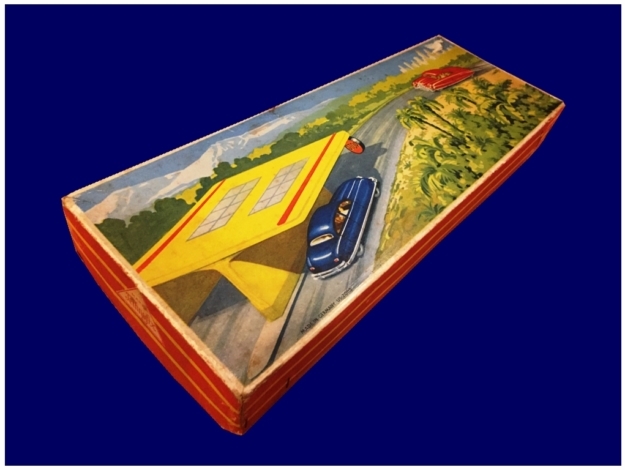 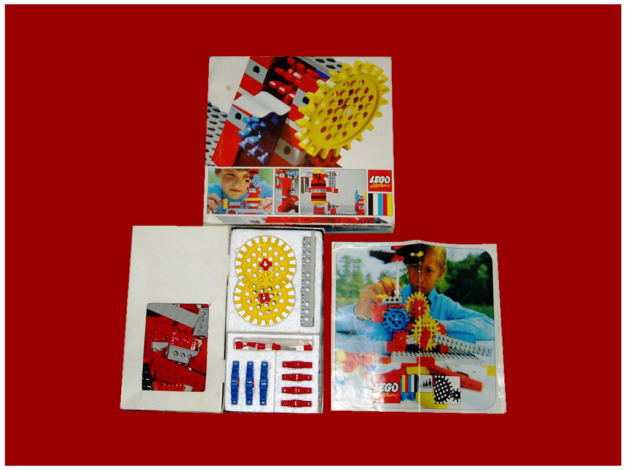 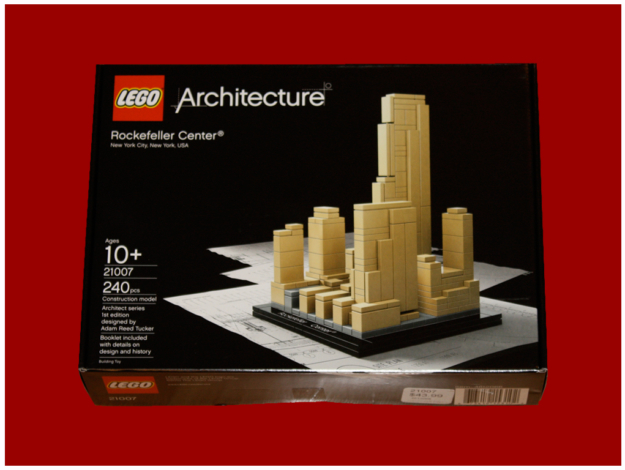 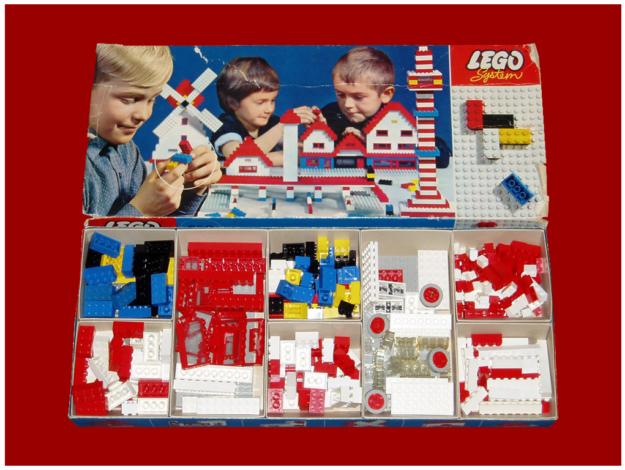 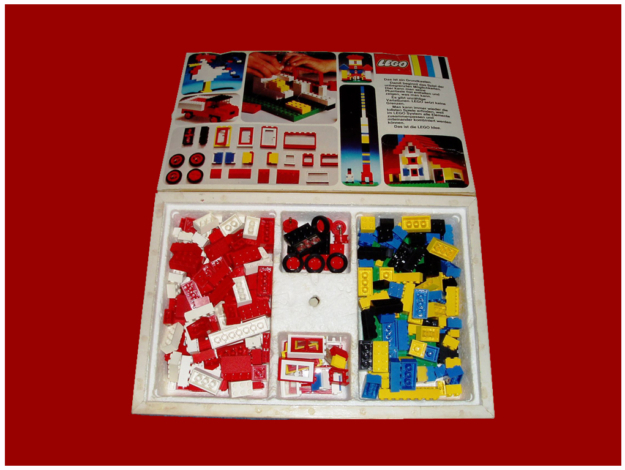 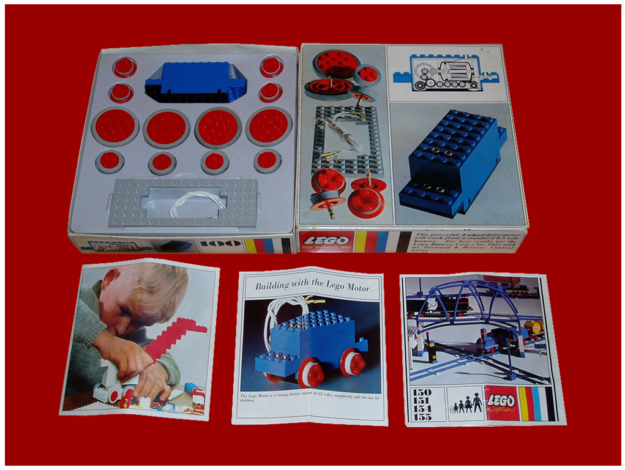 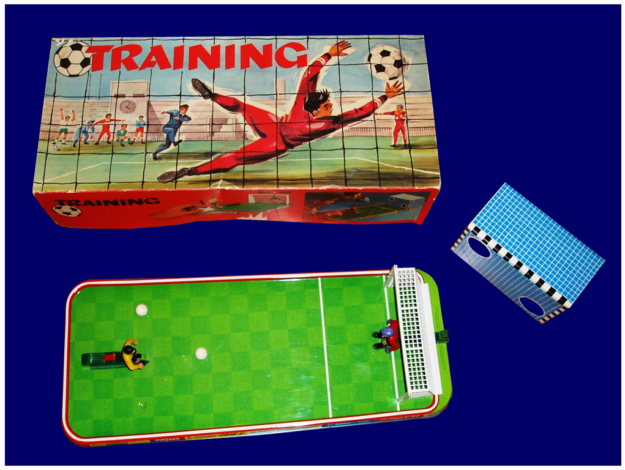 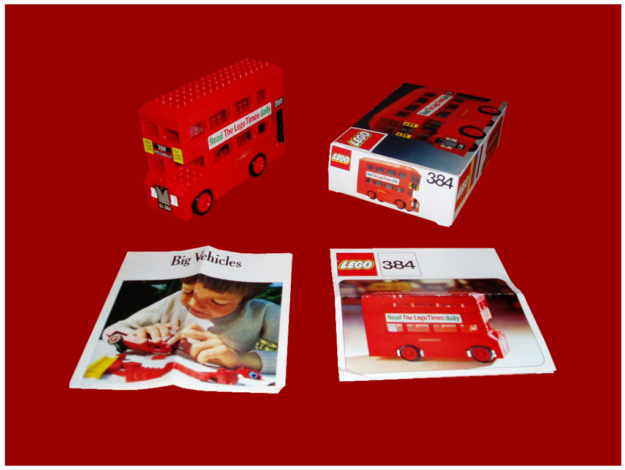 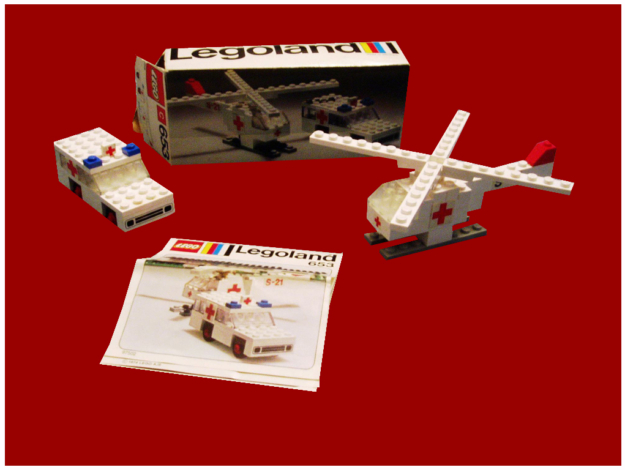 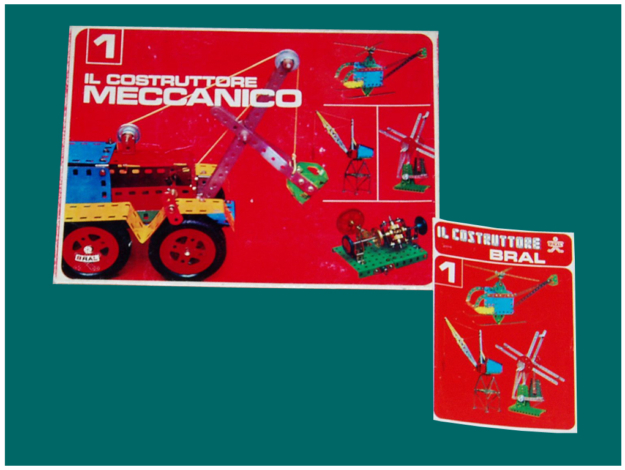 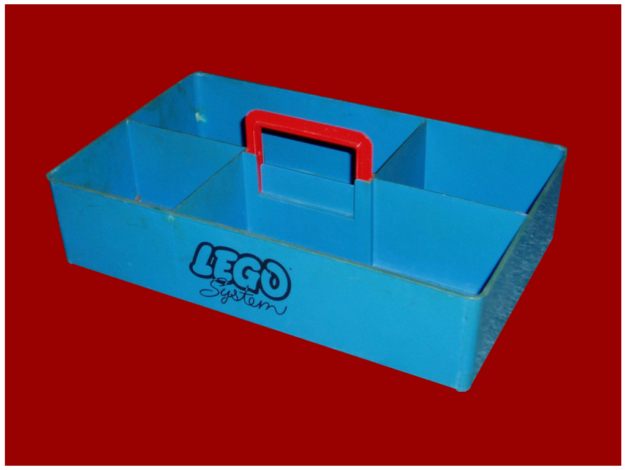 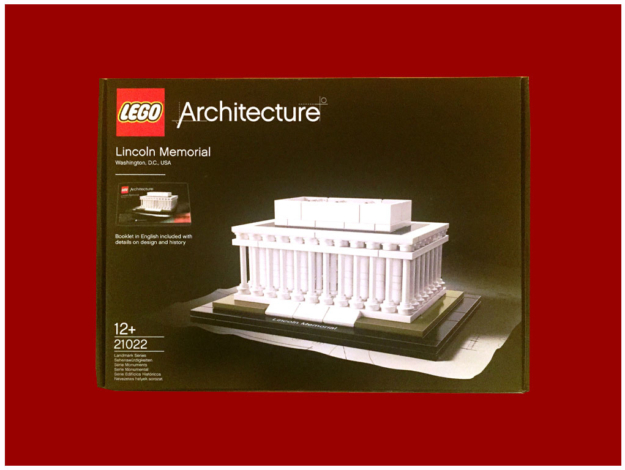 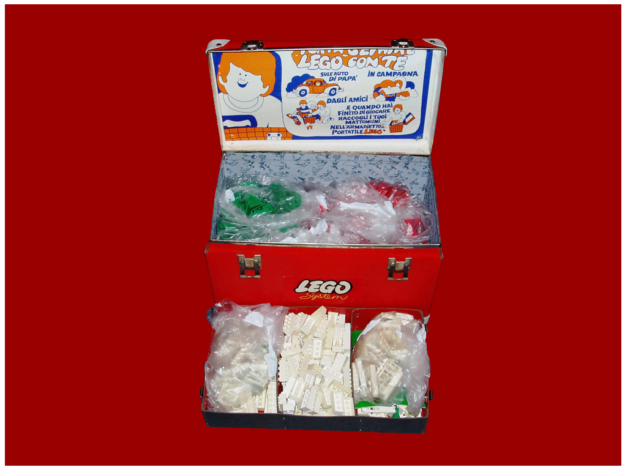 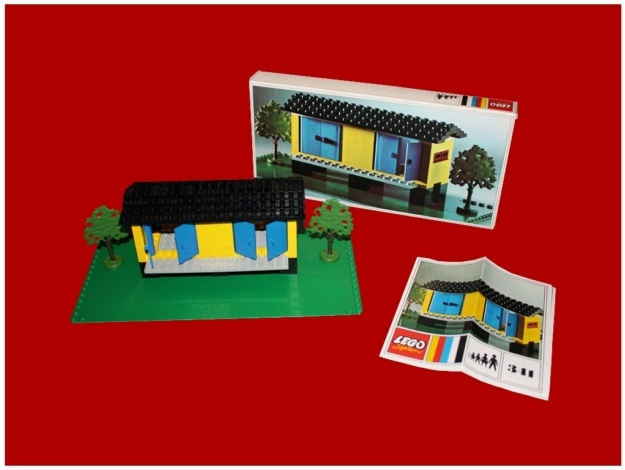 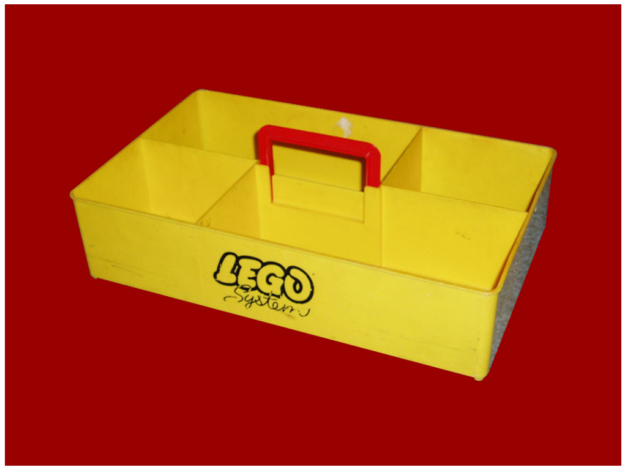 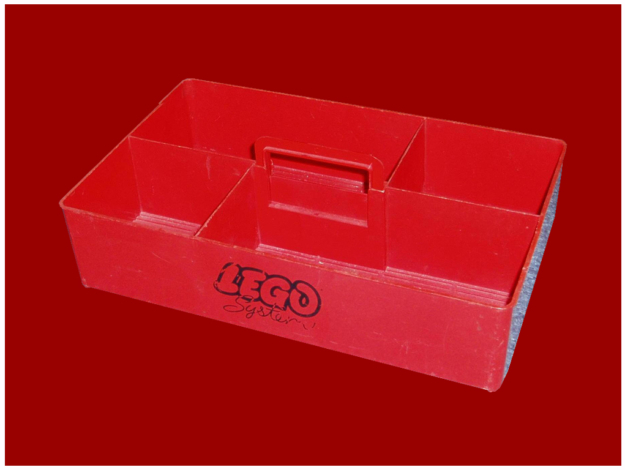 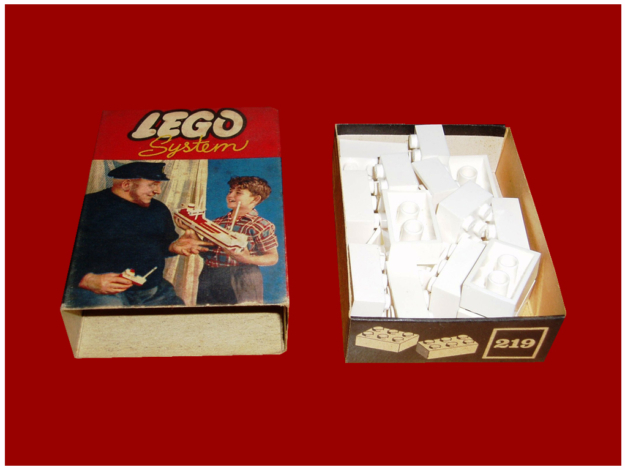 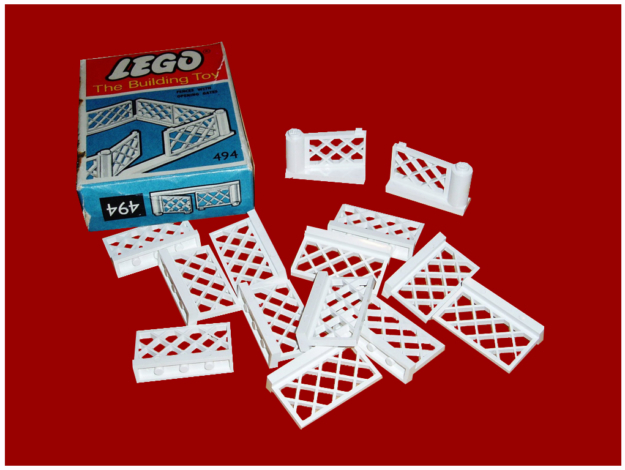 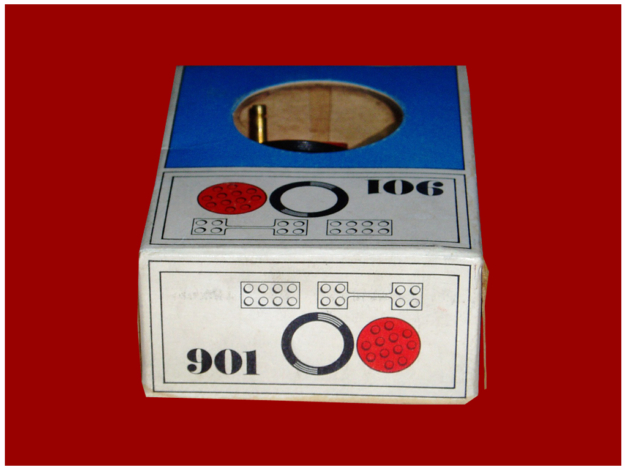 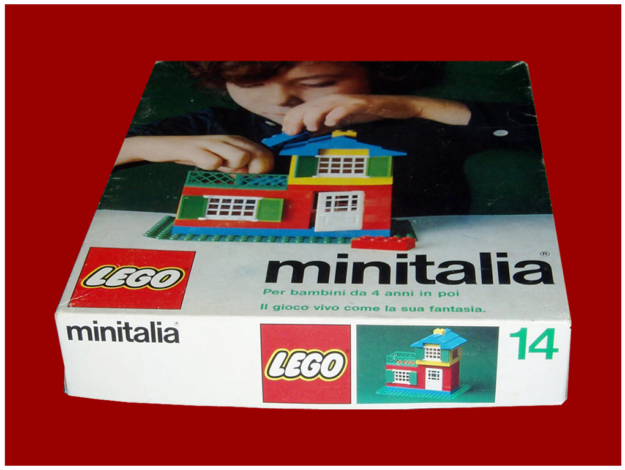 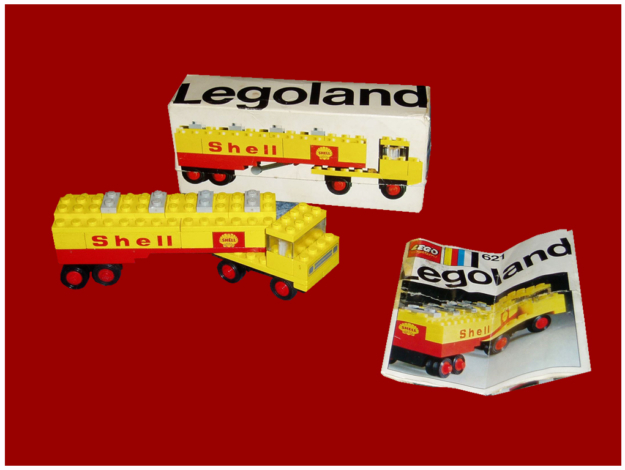 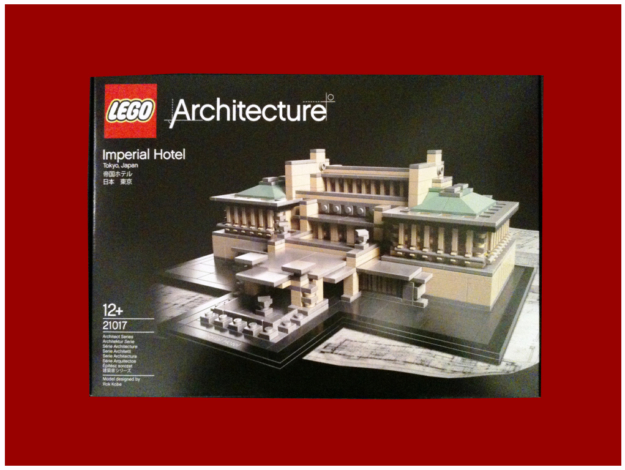 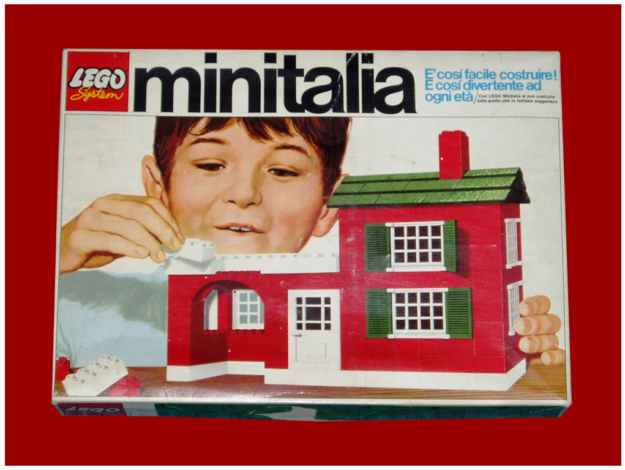 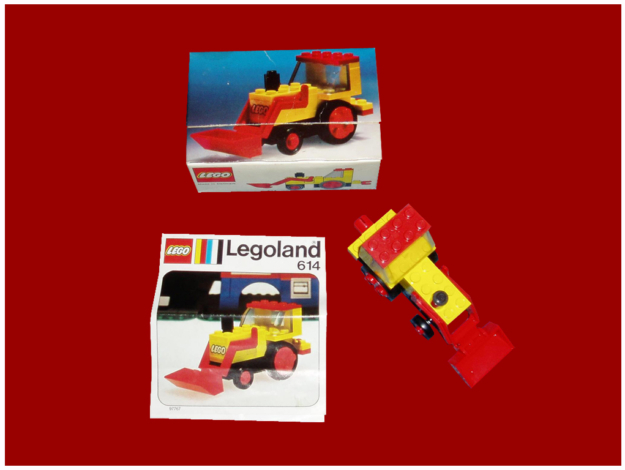 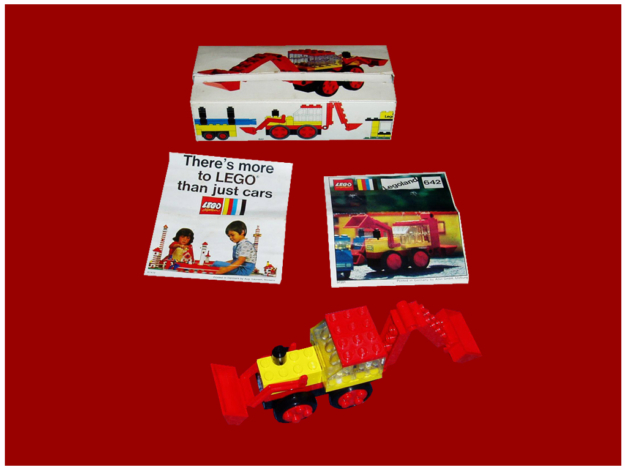 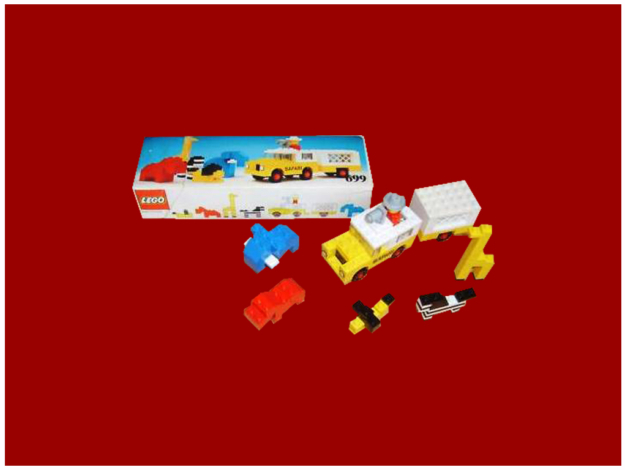 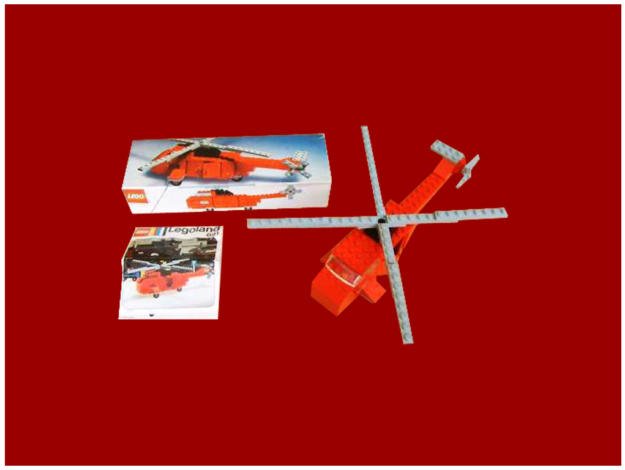 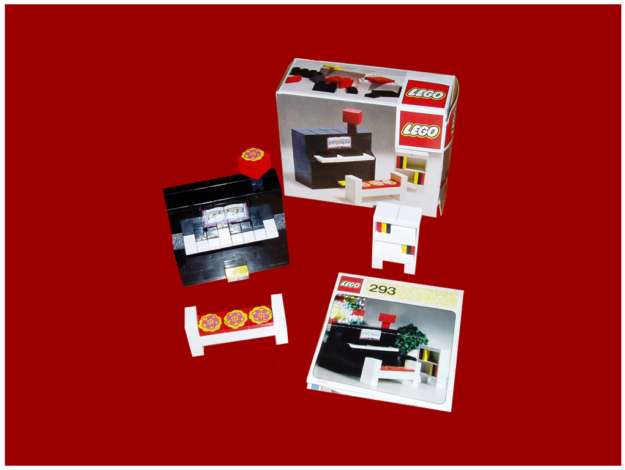 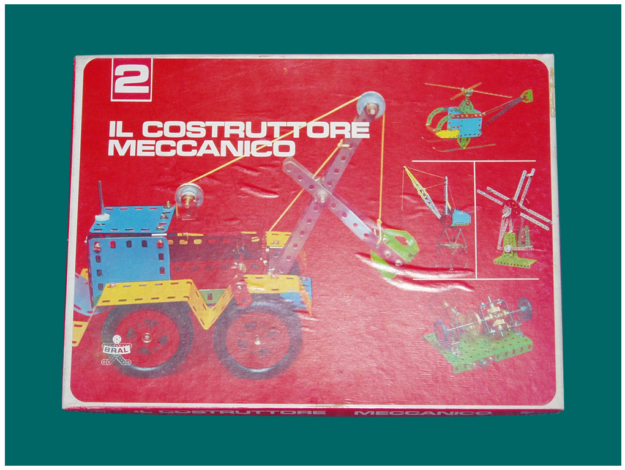 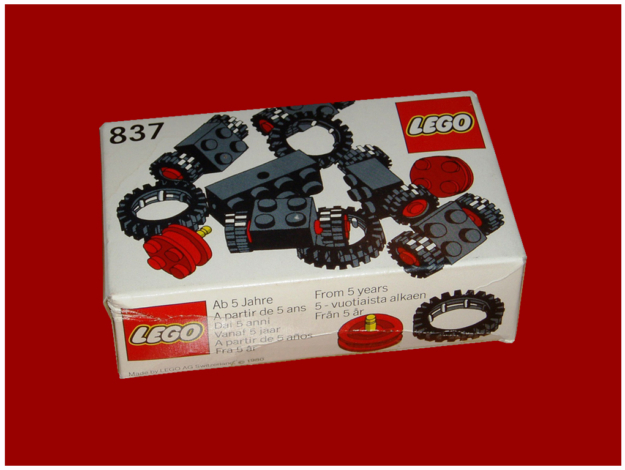 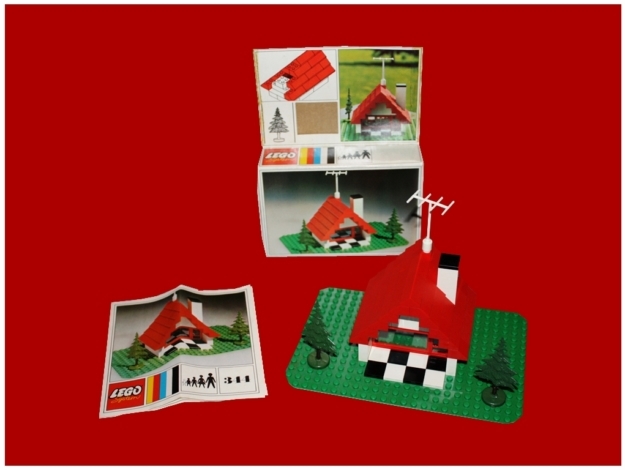 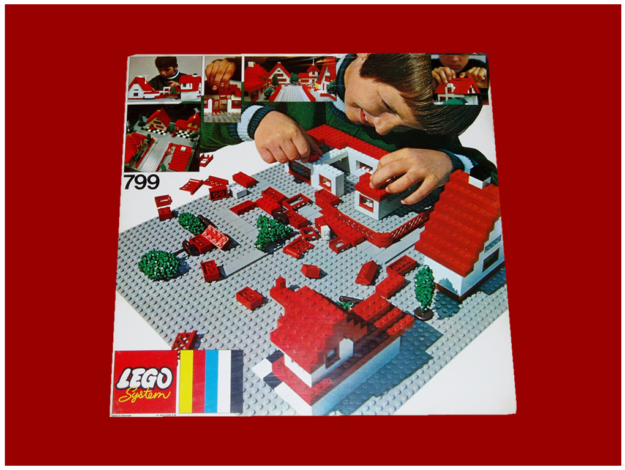 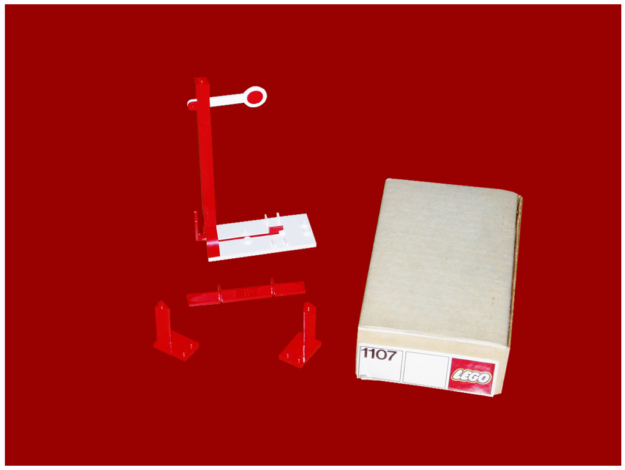 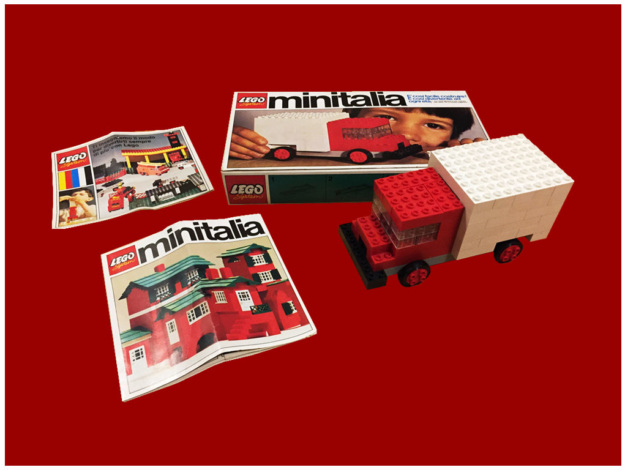 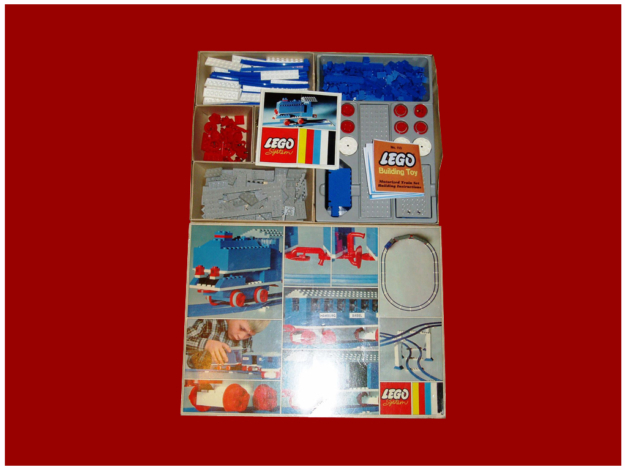 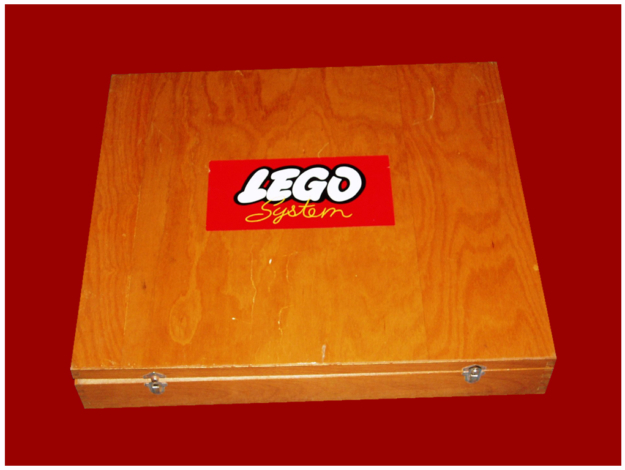 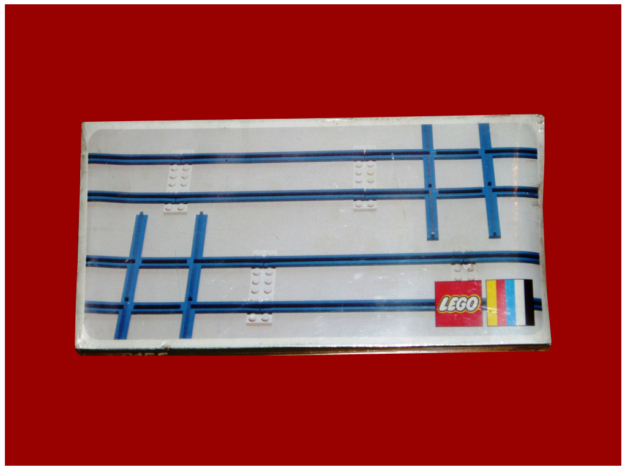 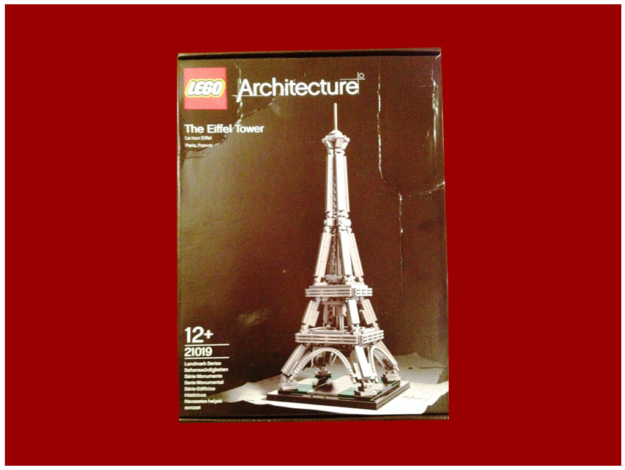 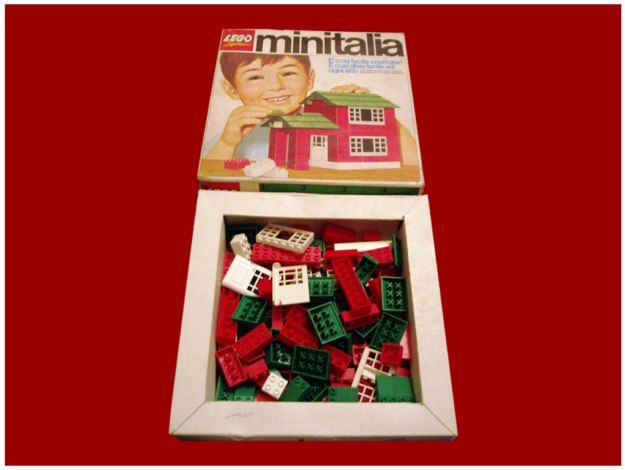 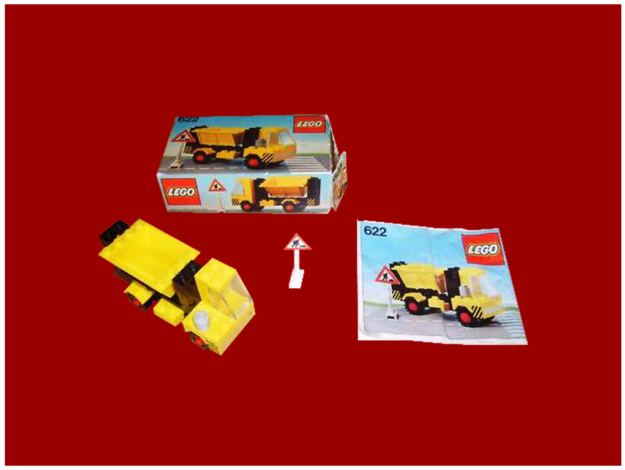 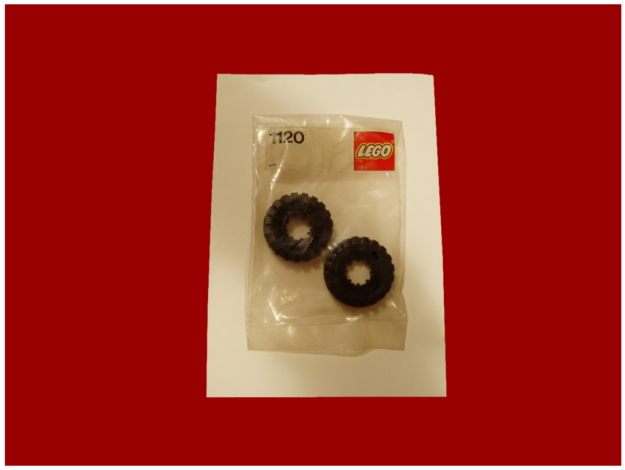 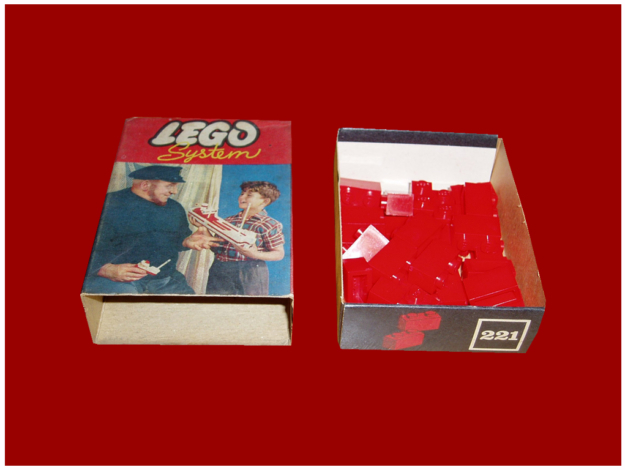 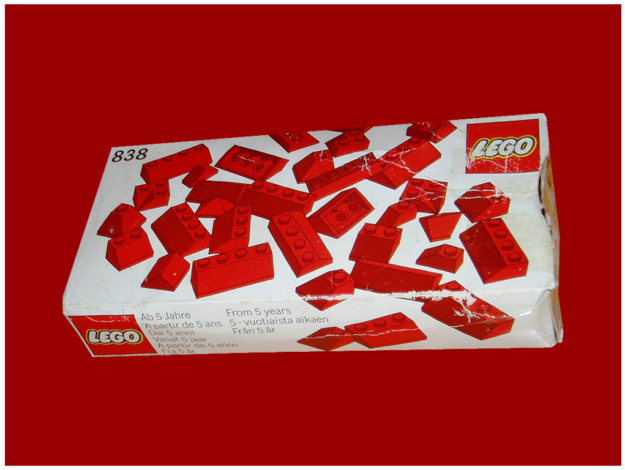 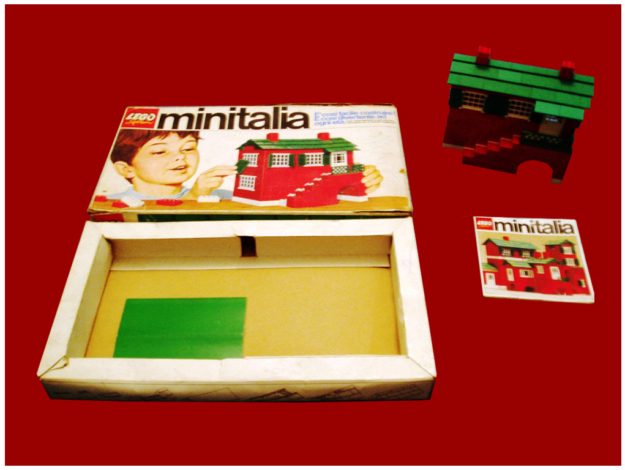 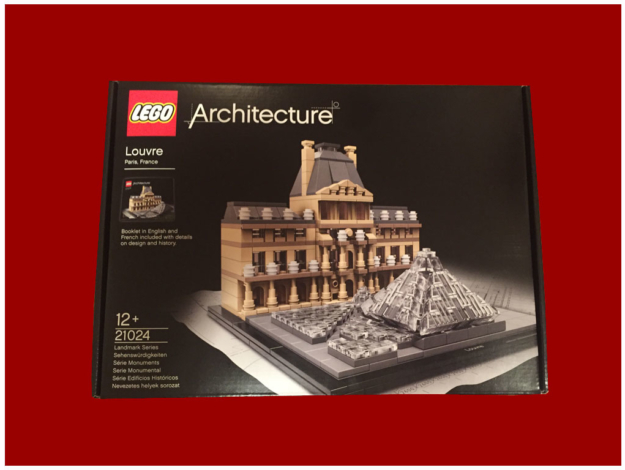 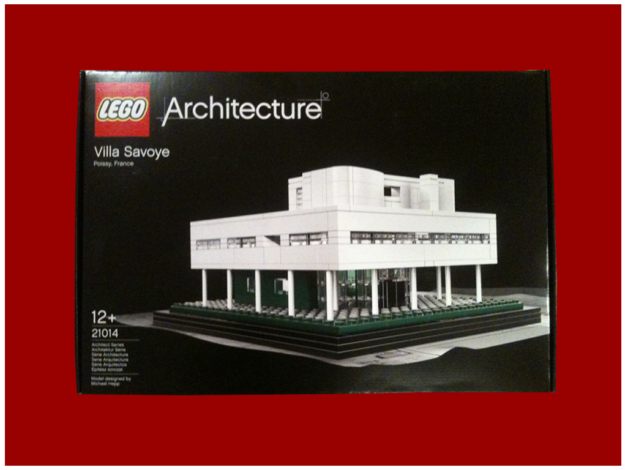 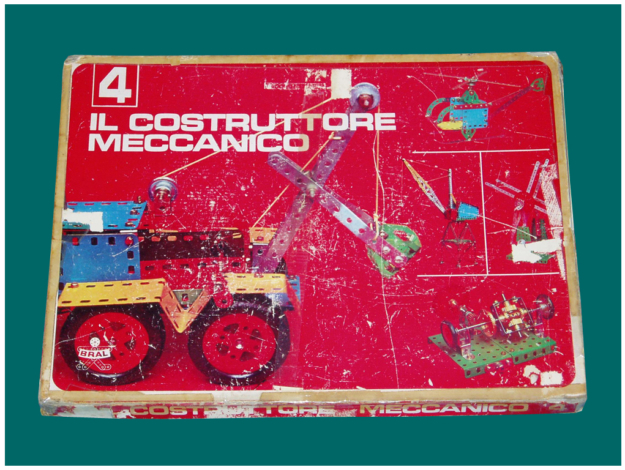 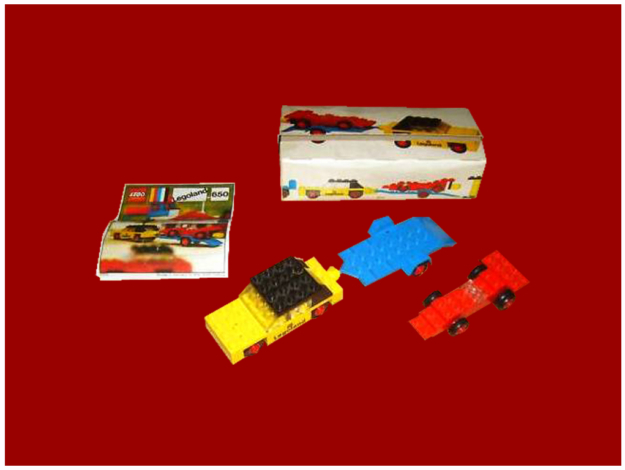 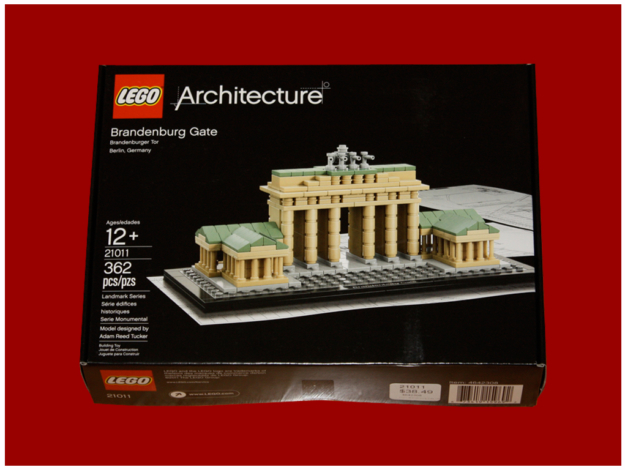 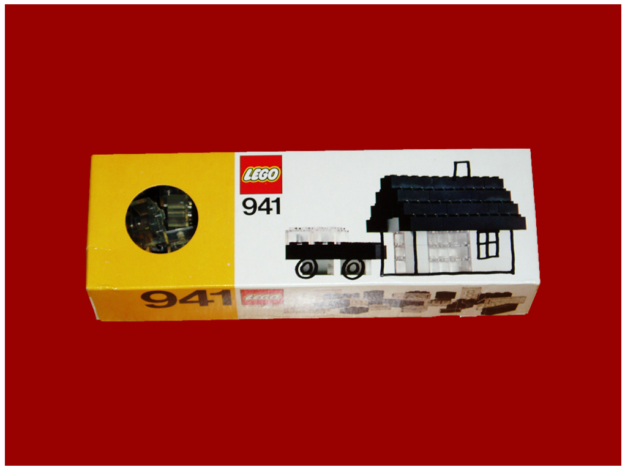 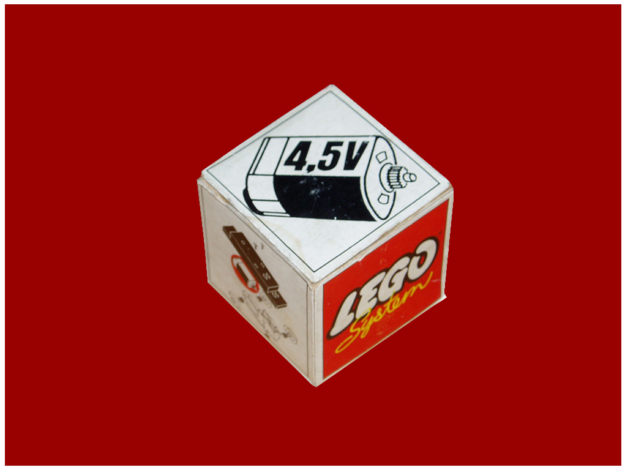 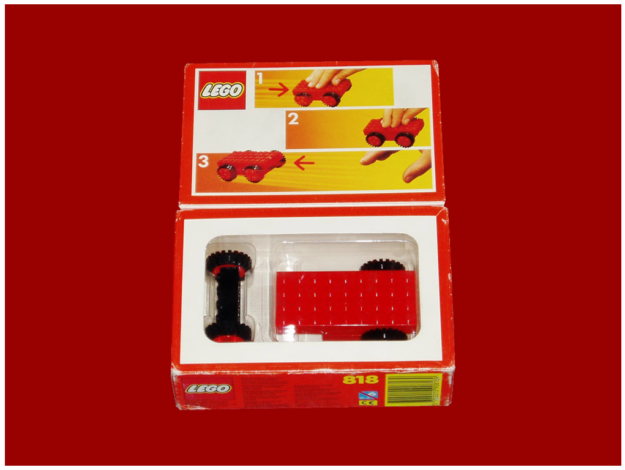 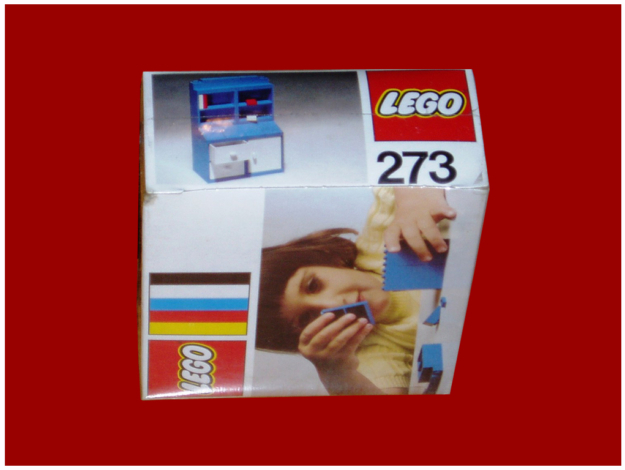 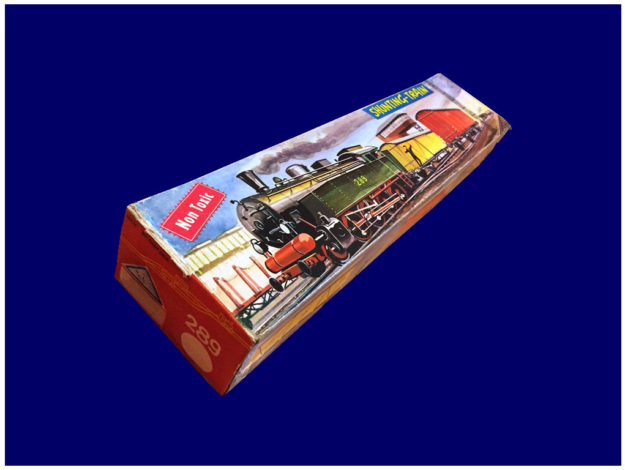 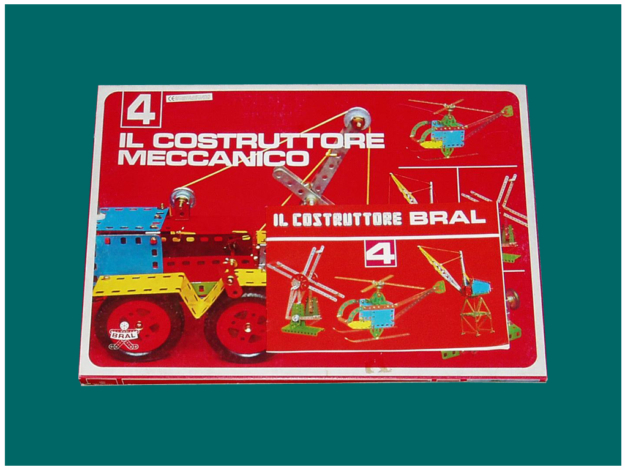 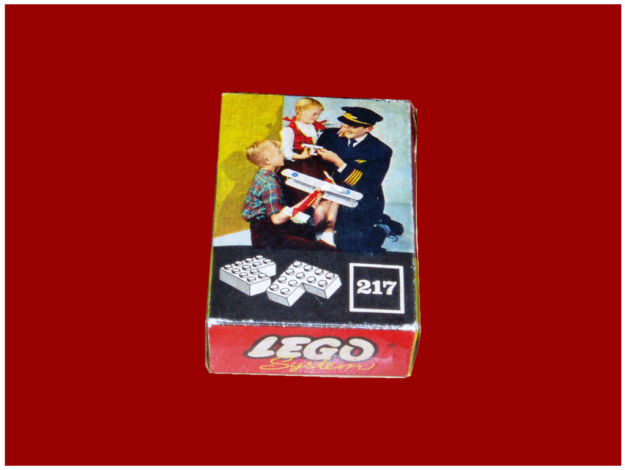 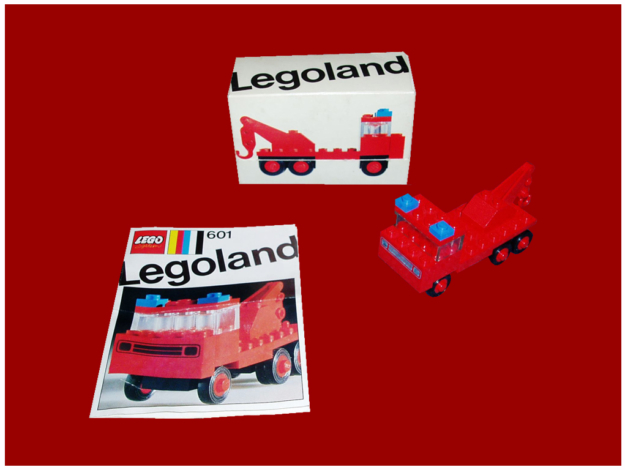 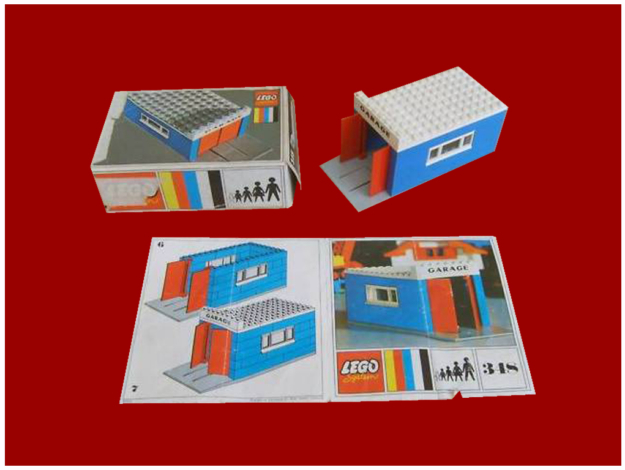 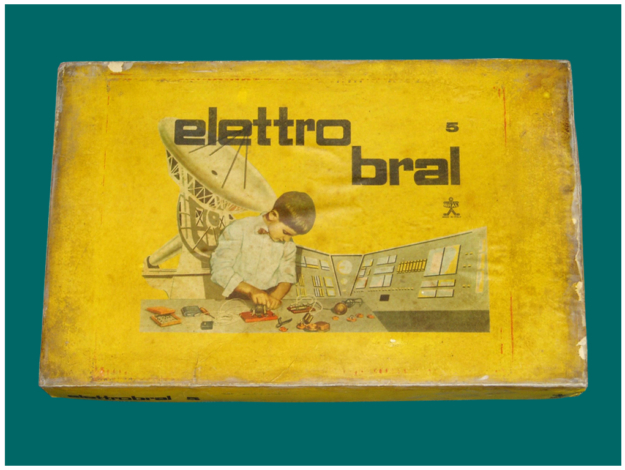 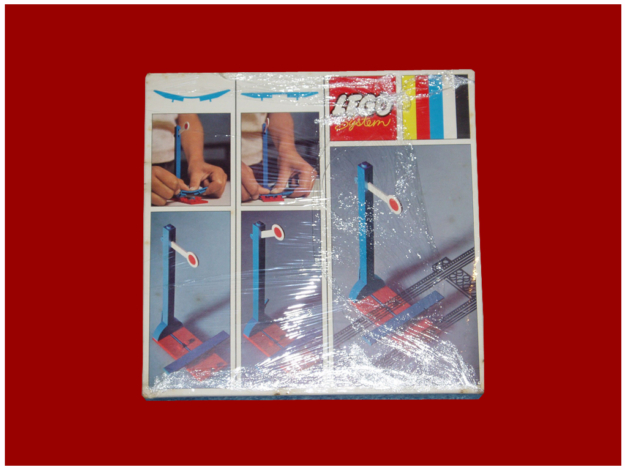 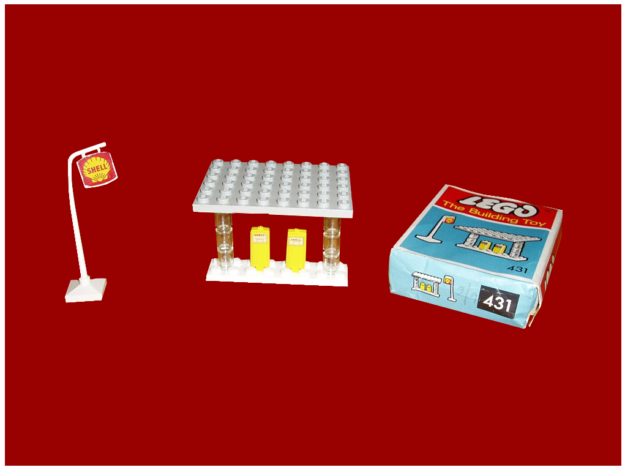 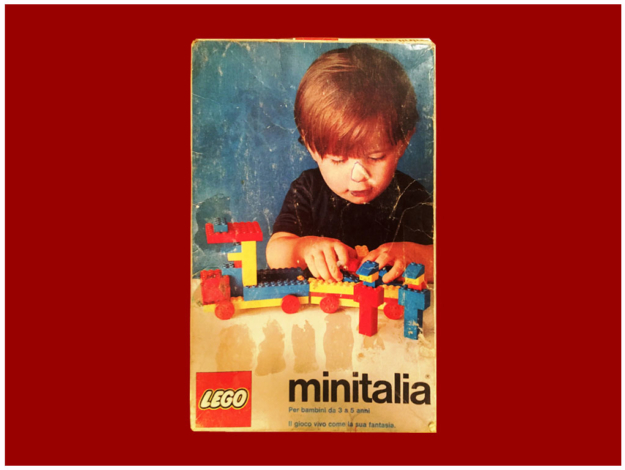 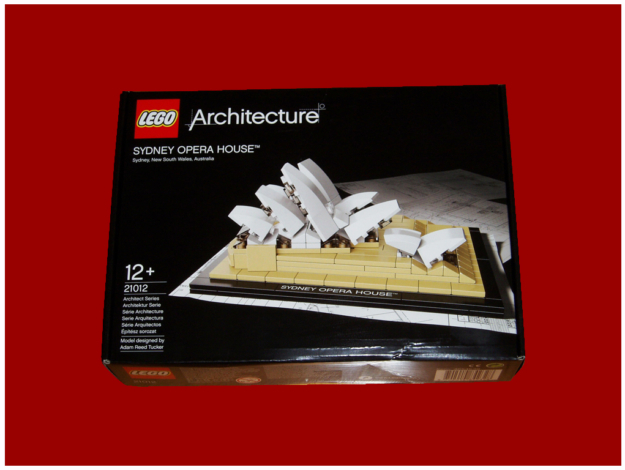 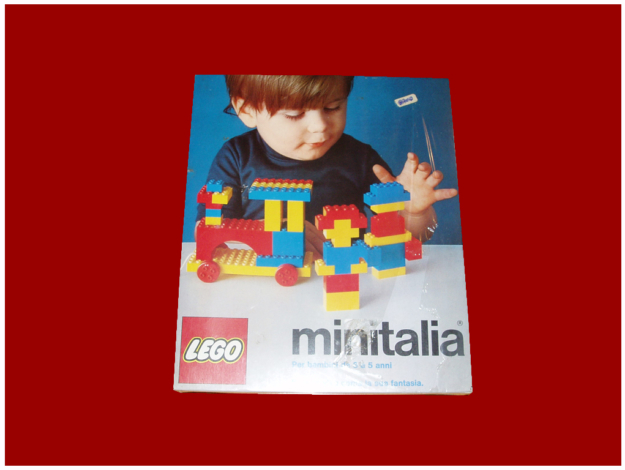 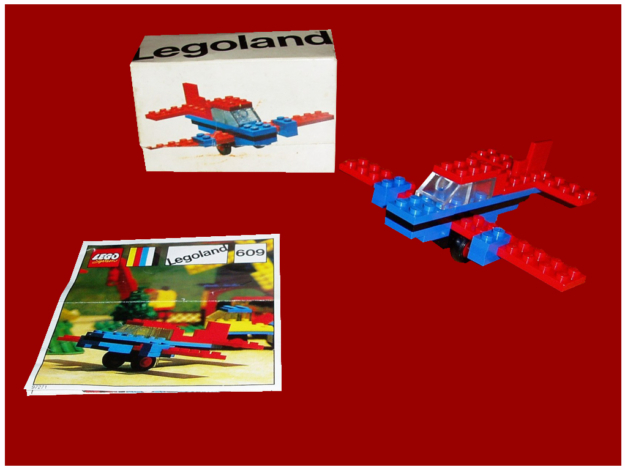 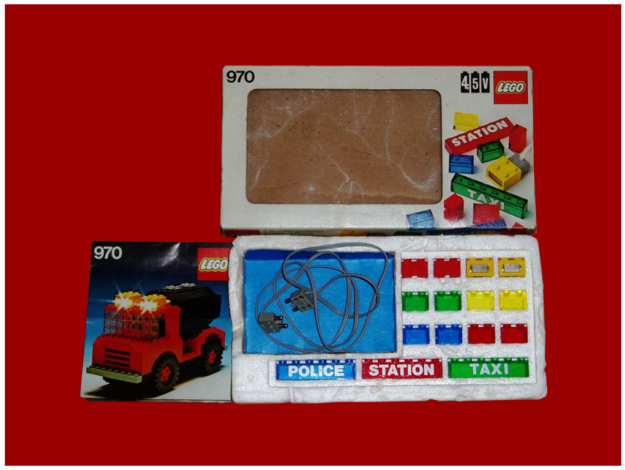 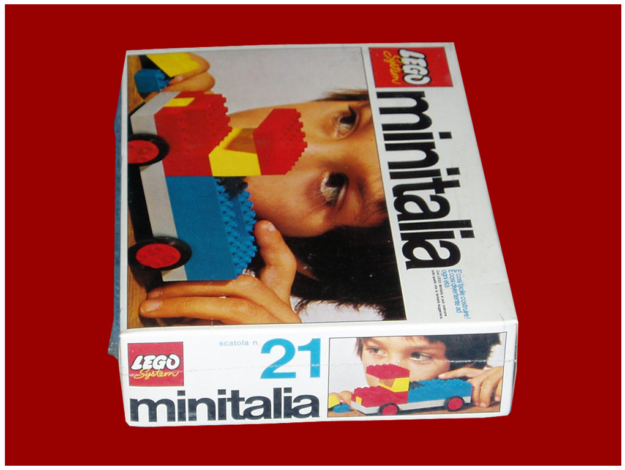 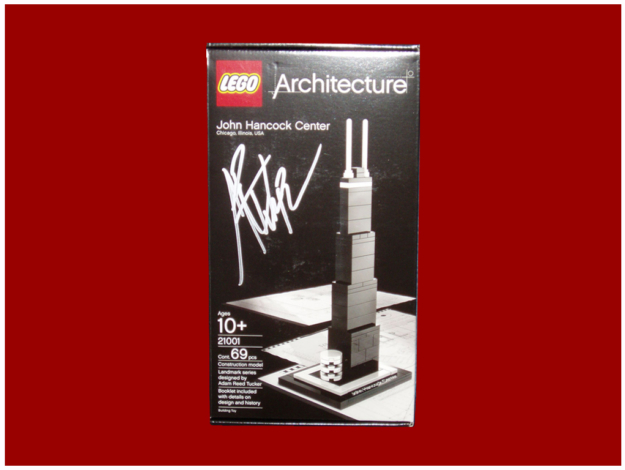 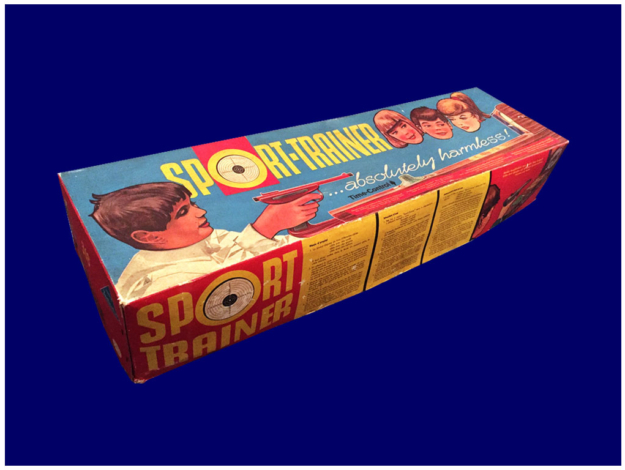 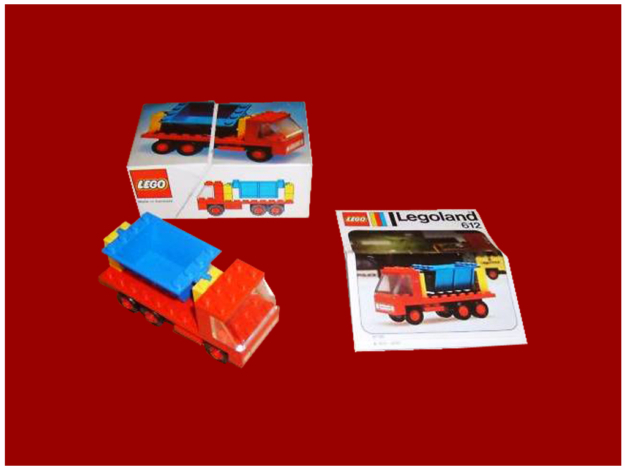 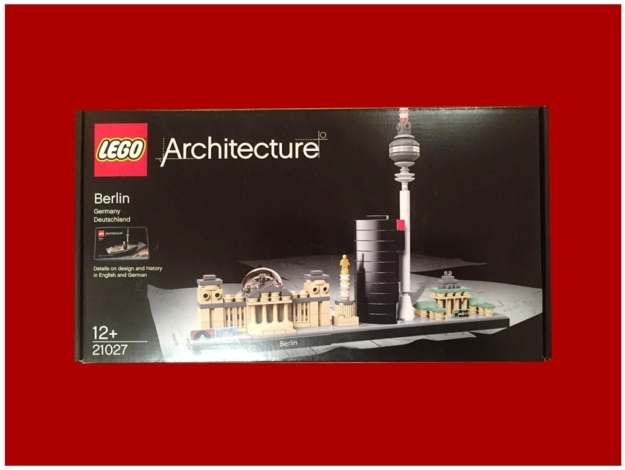 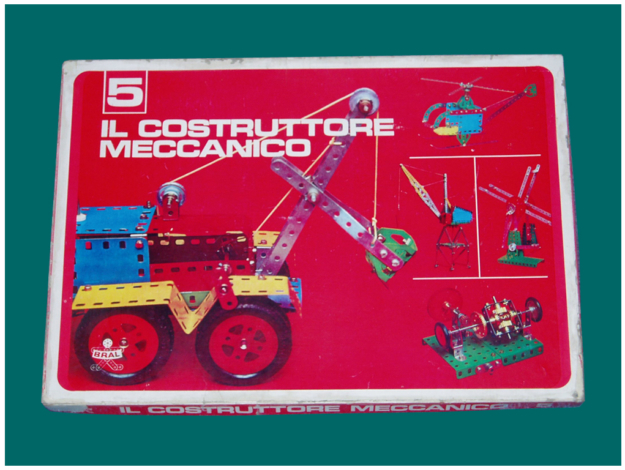 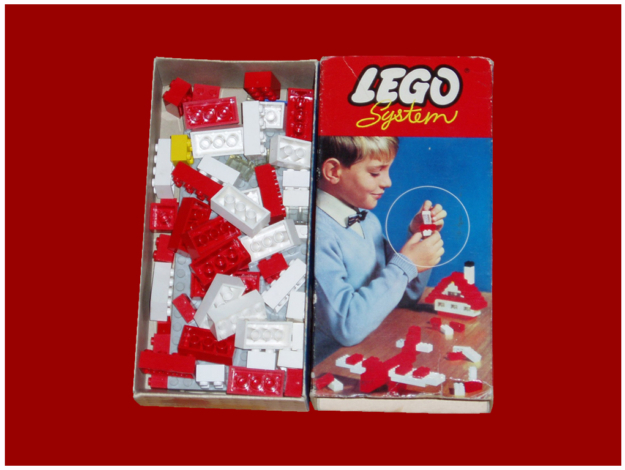 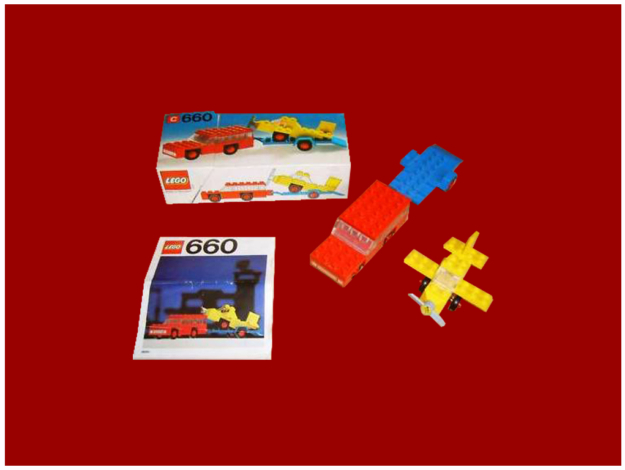 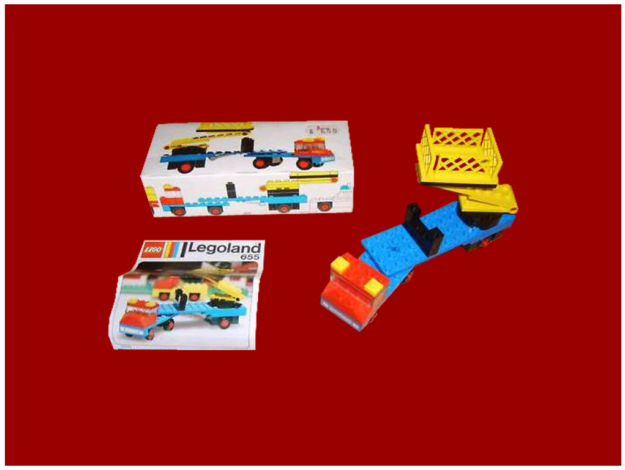 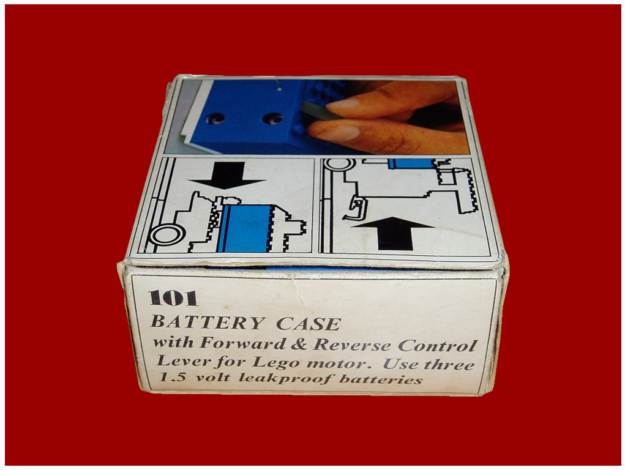 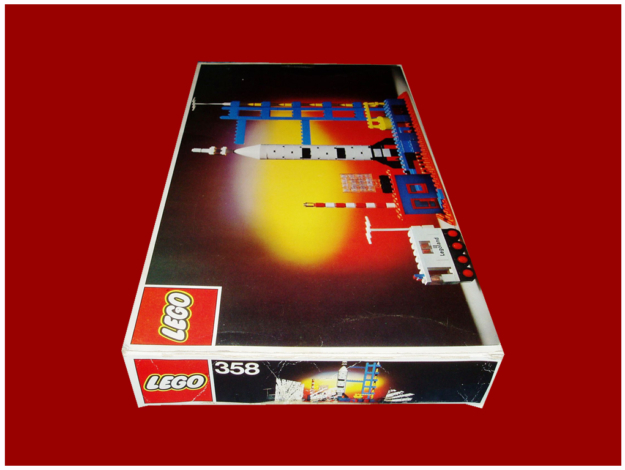 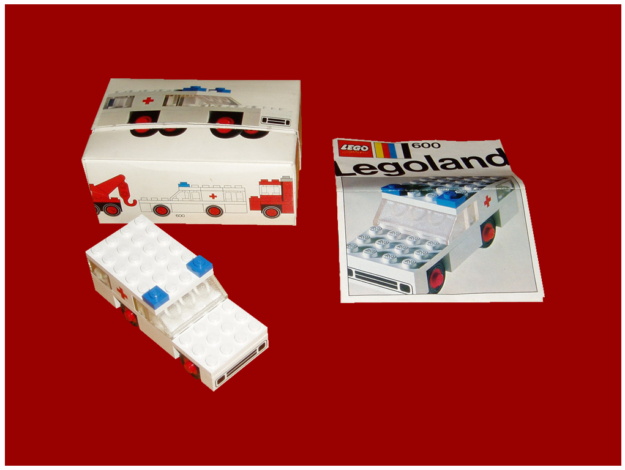 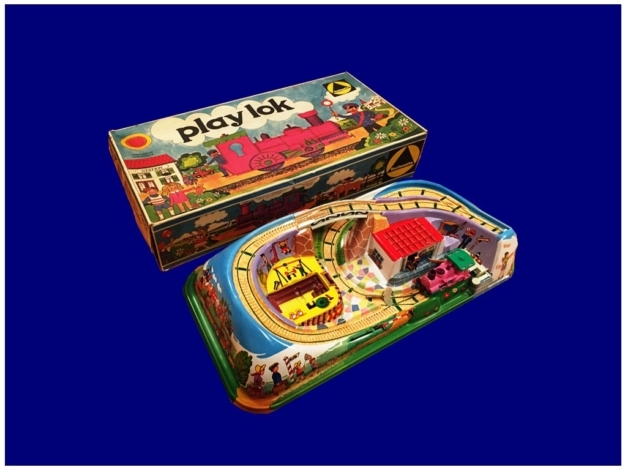 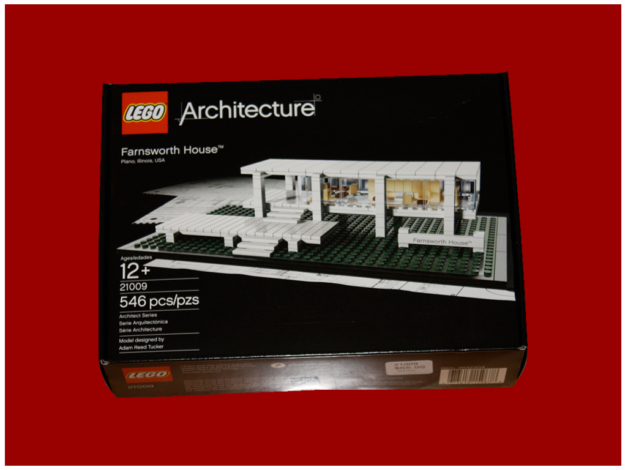 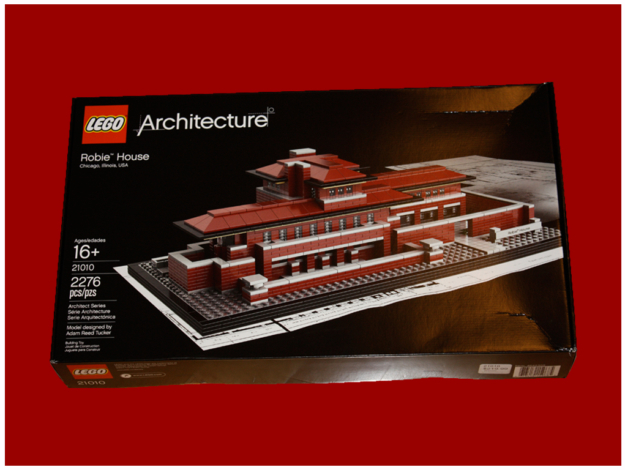 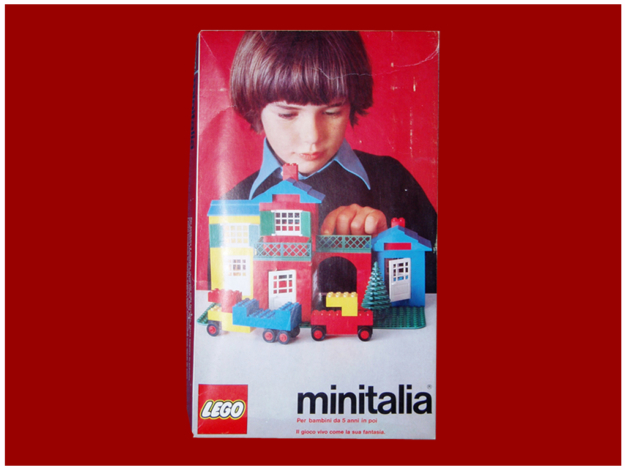 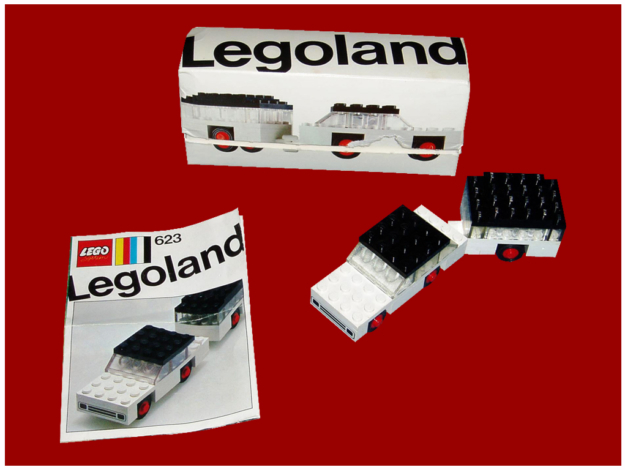 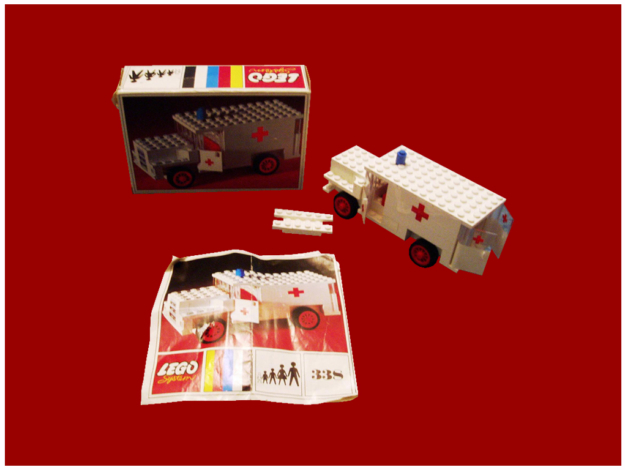 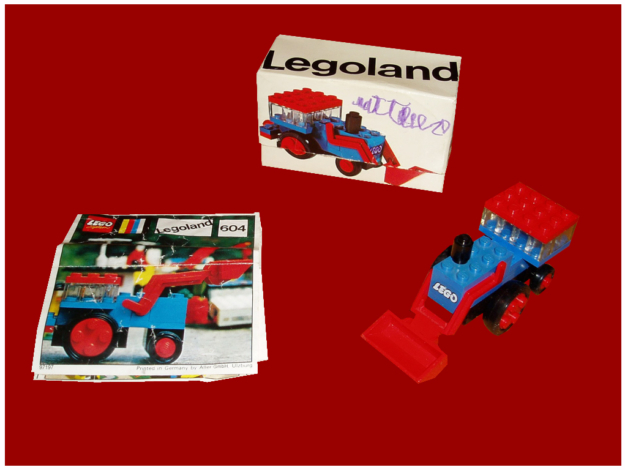 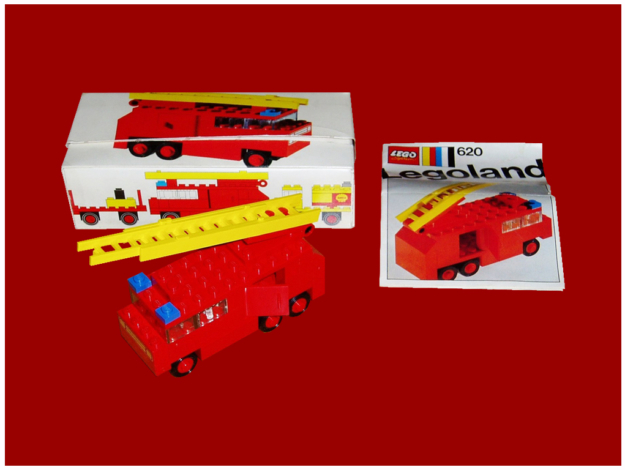 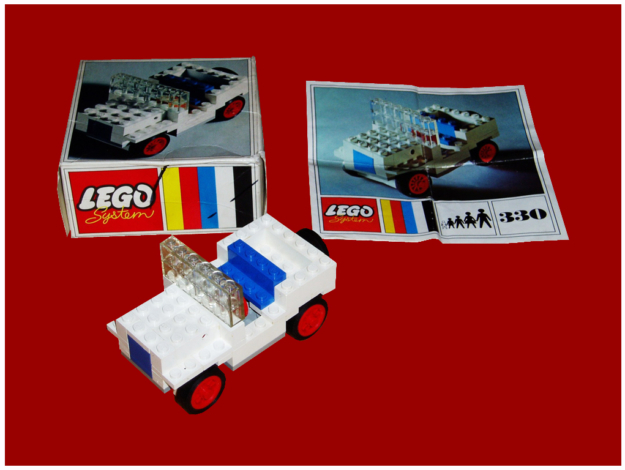 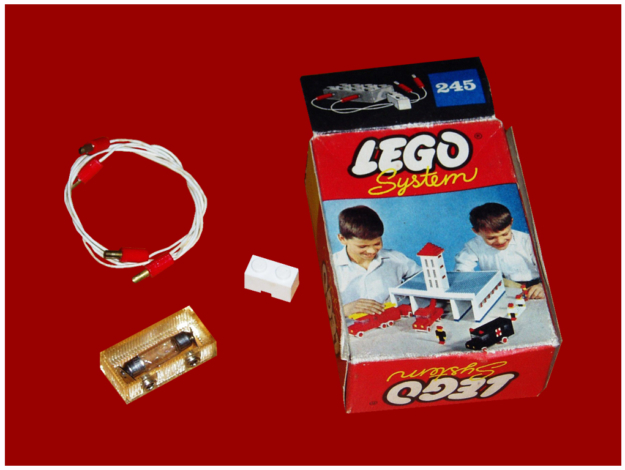 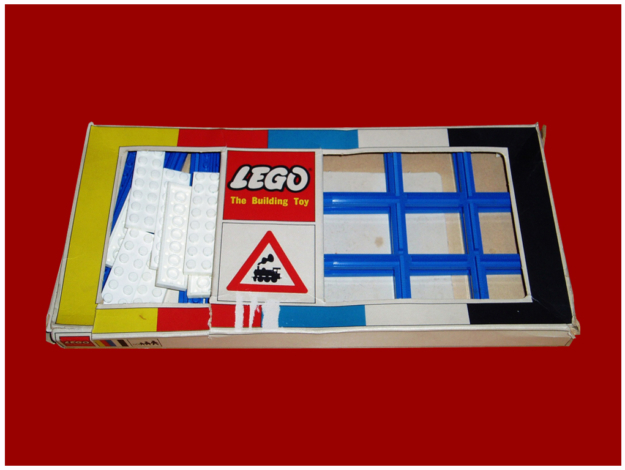 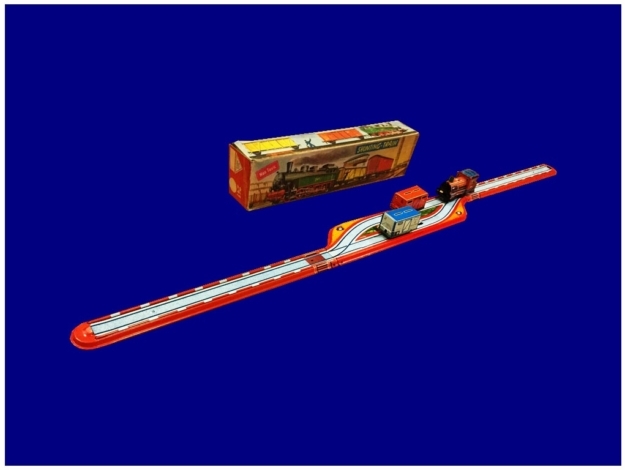 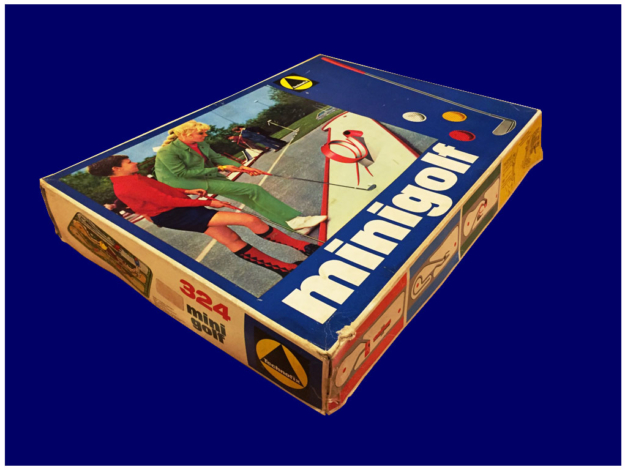 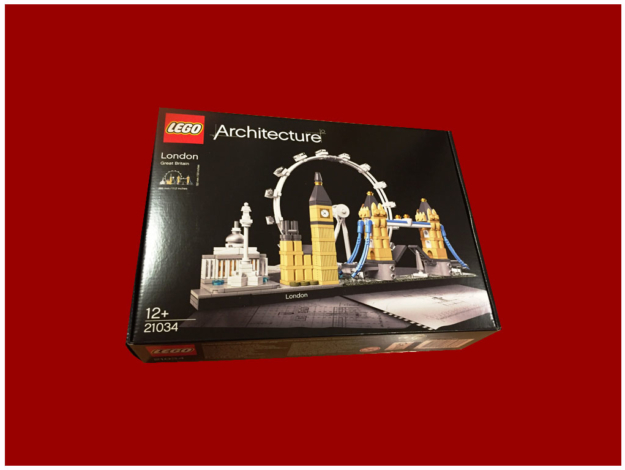 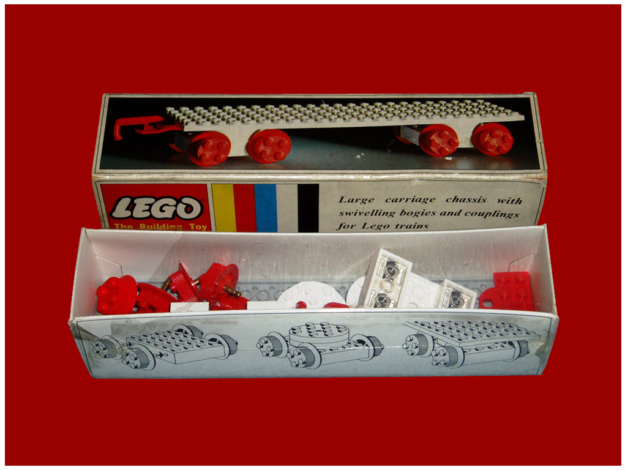 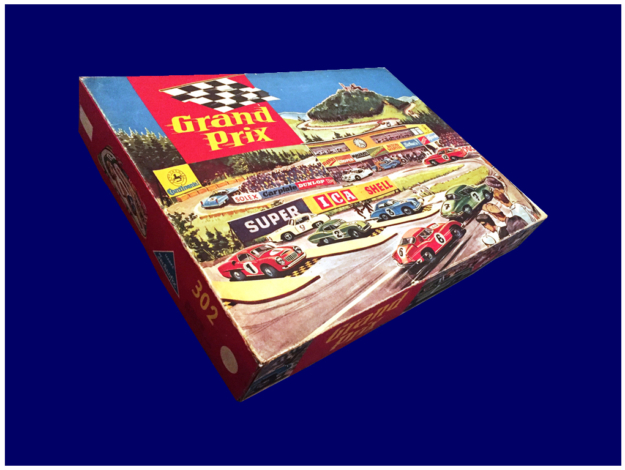 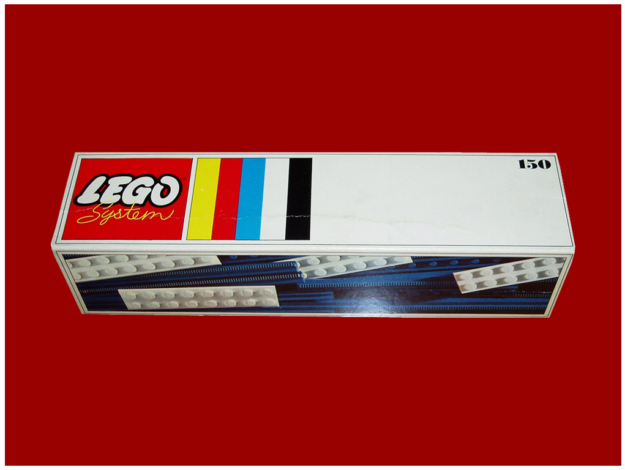 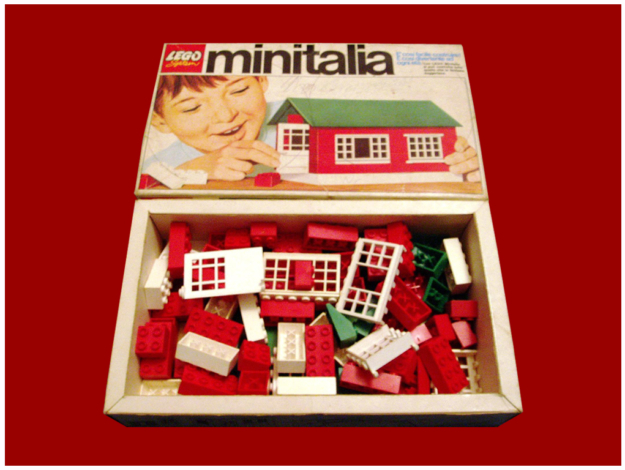 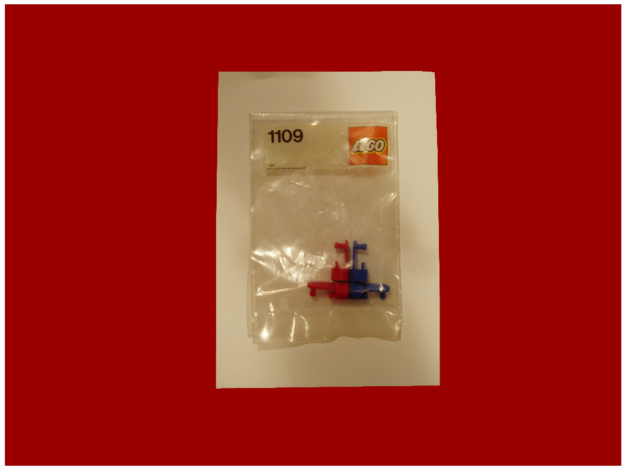 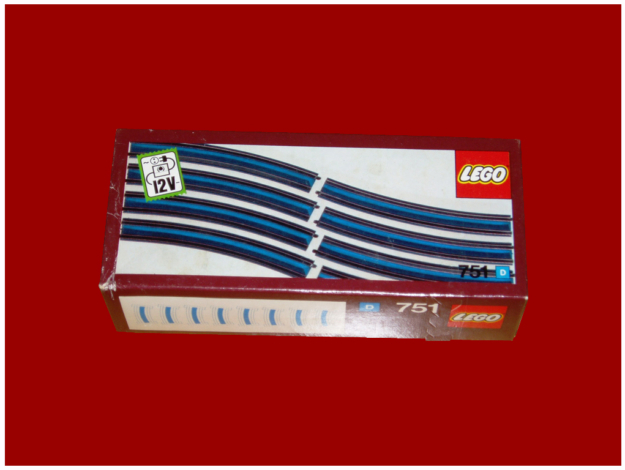 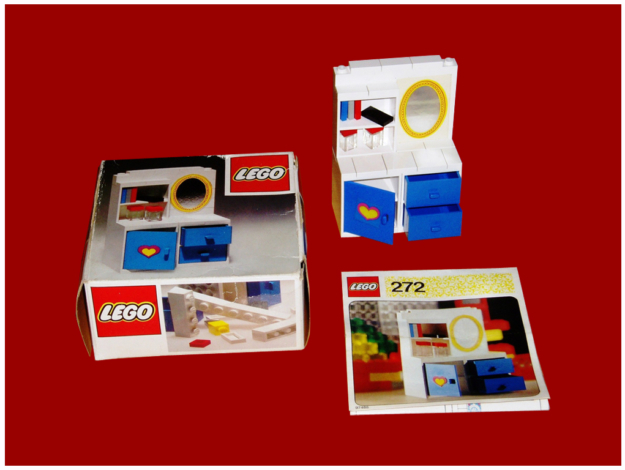 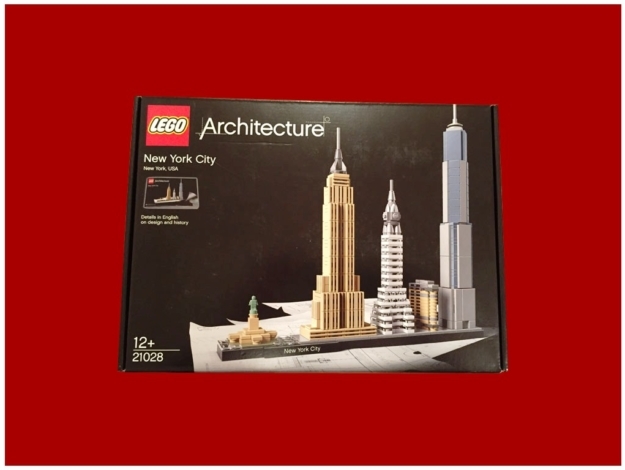 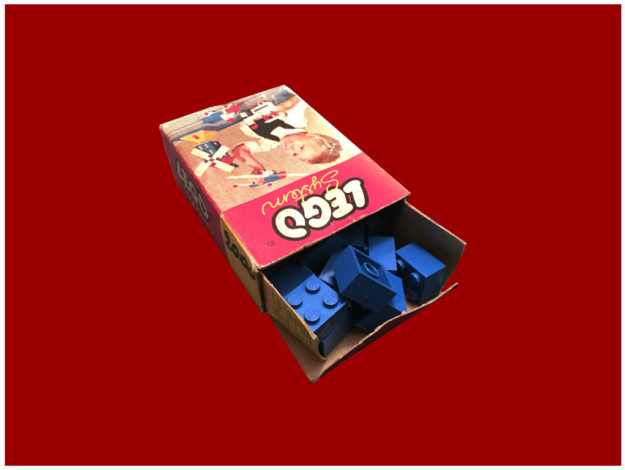 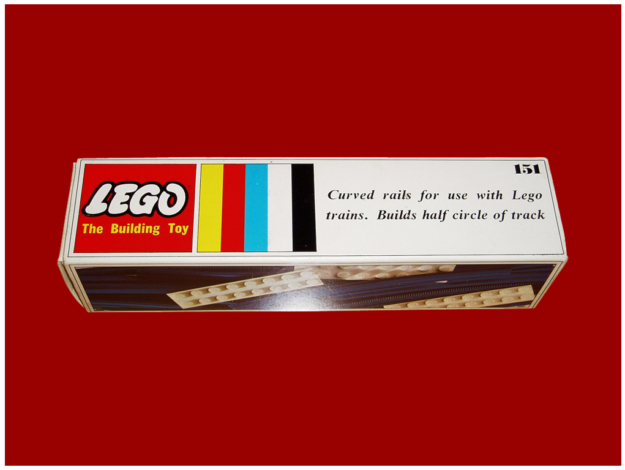 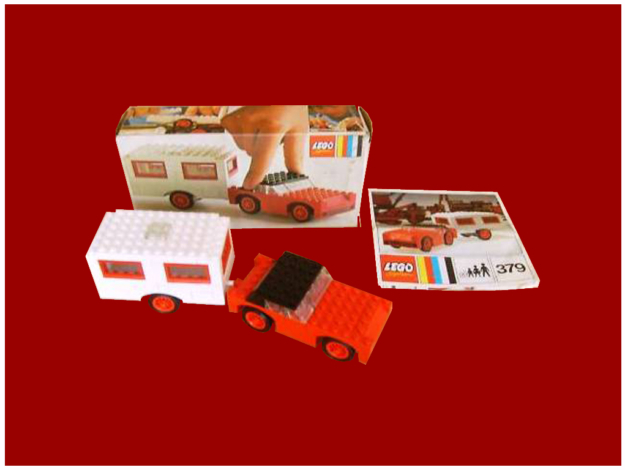 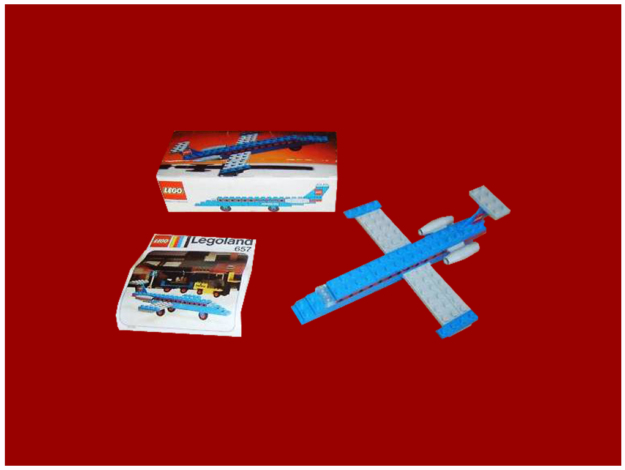 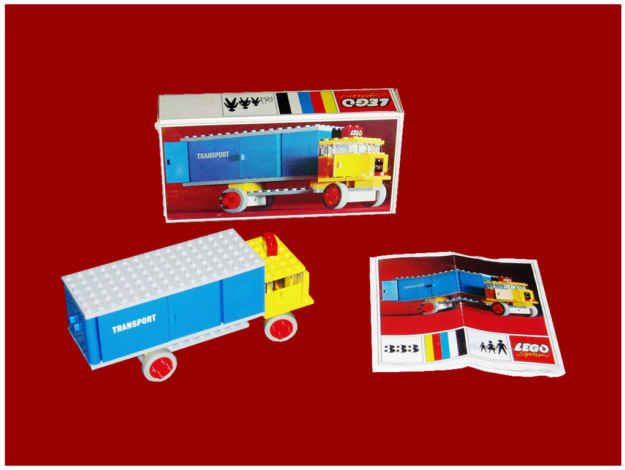 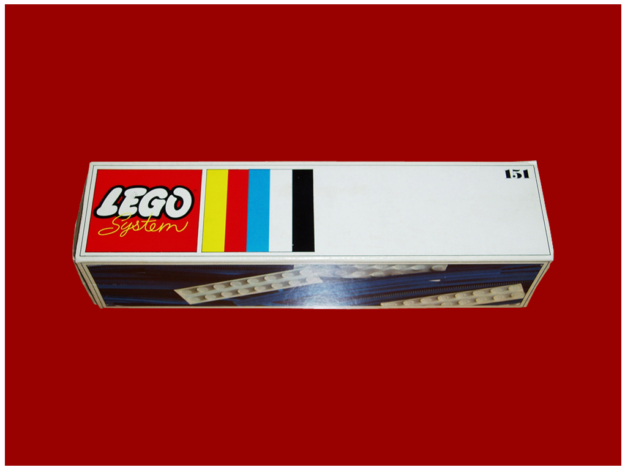 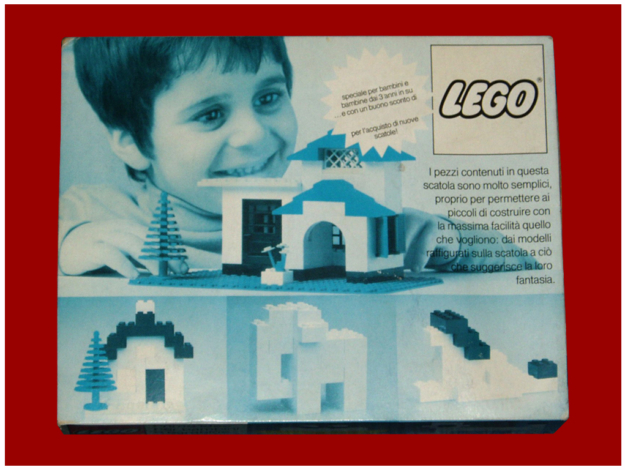 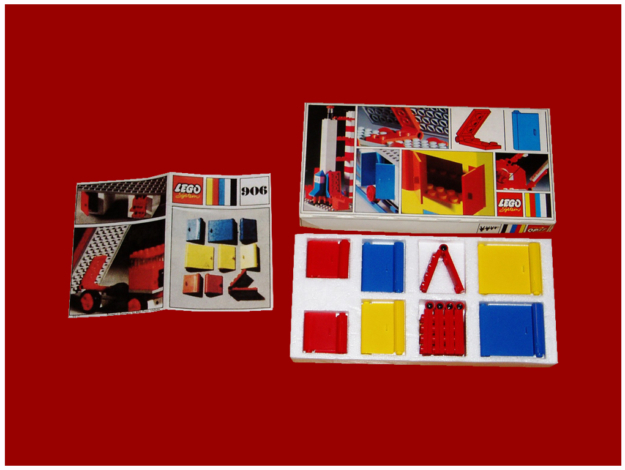 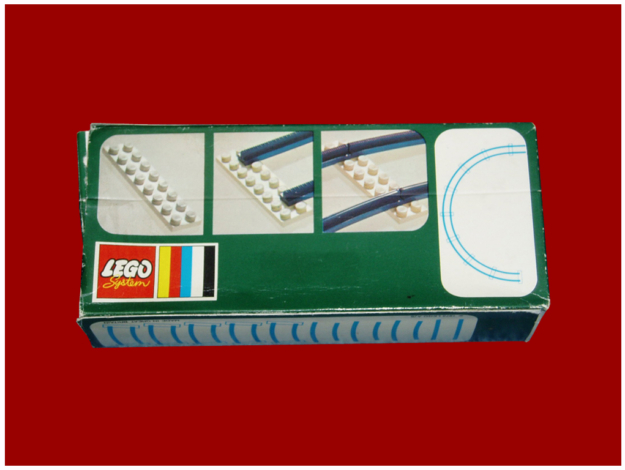 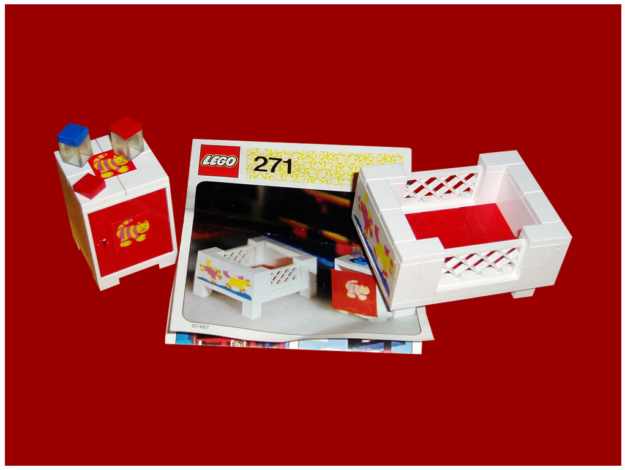 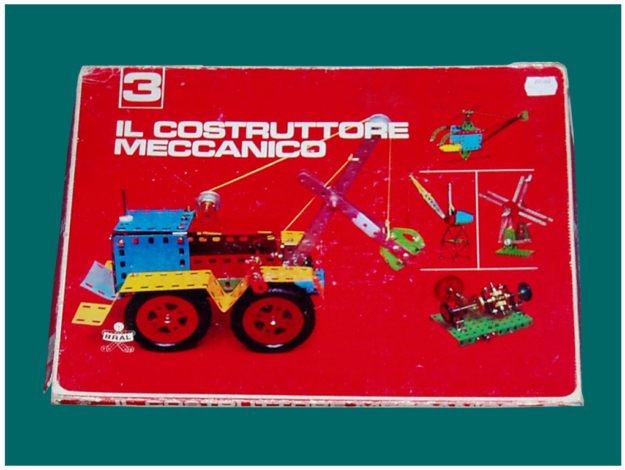 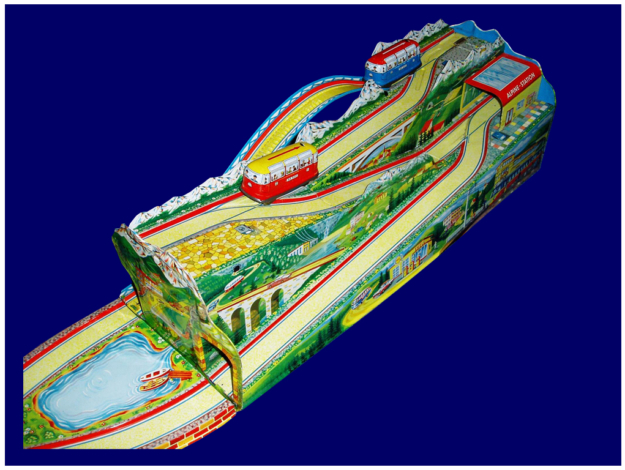 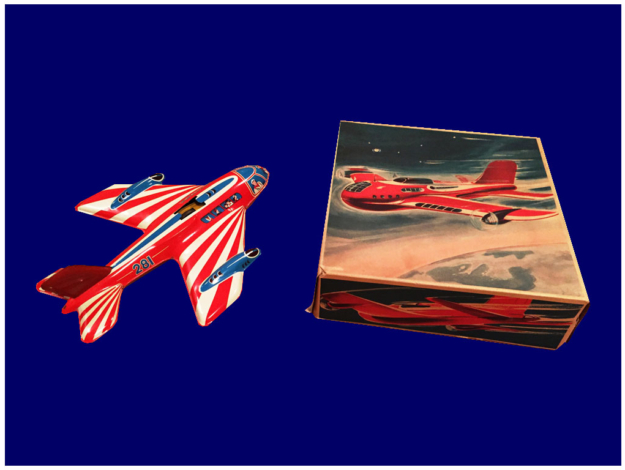 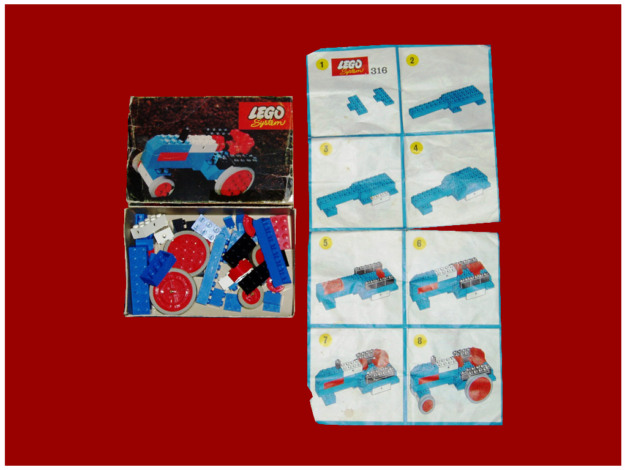 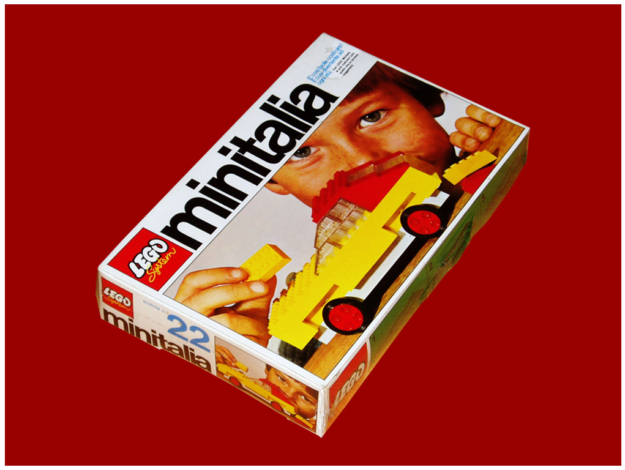 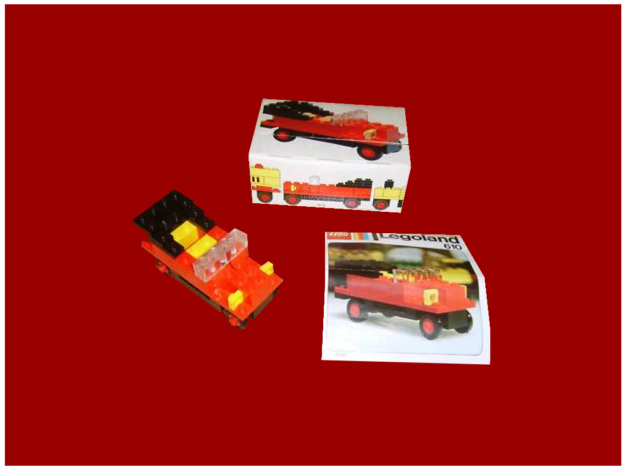 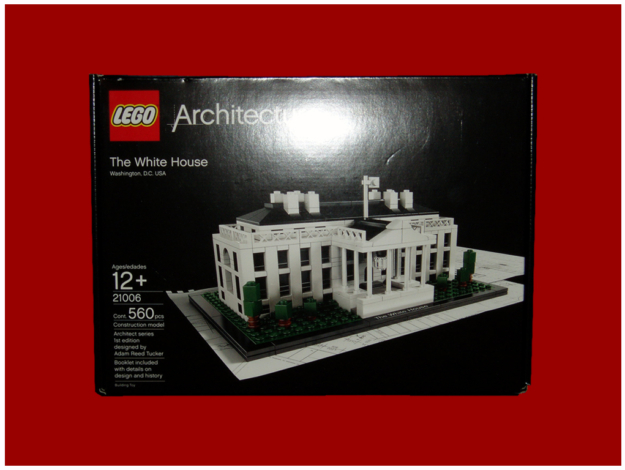 At that time the use of plastic for toy manufacture was not very much welcomed by retailers and consumers so that many of the LEGO boxes were returned for lack of sales; the bricks also had problems of flexibility, their connection options were quite limited and were not very versatile. 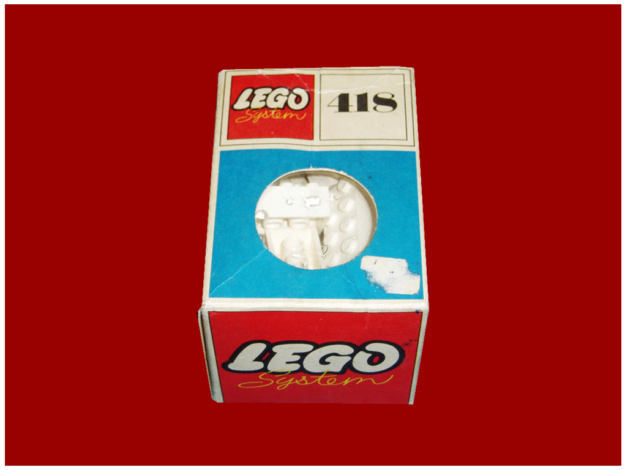 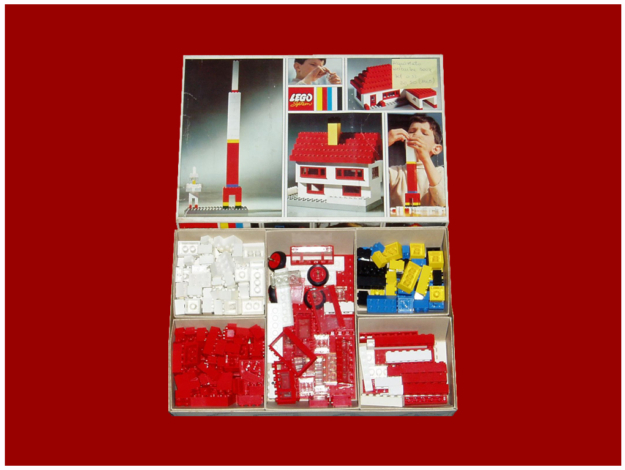 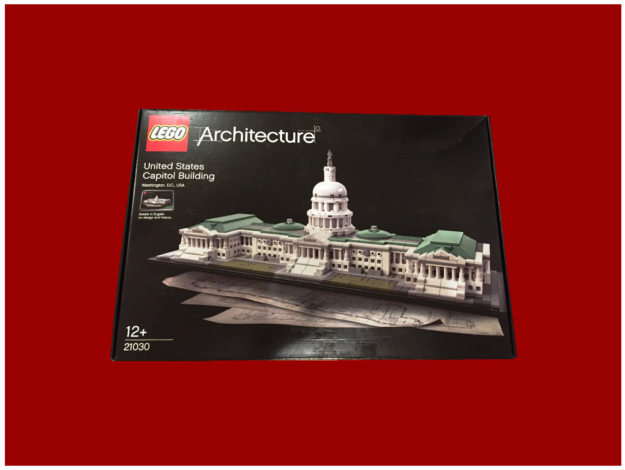 In 1958 the LEGO brick was best studied to reach the final form and the pieces were improved by inserting a cylinder into the lower cavity, which added support to the base allowing more connection options and stability to the pieces. 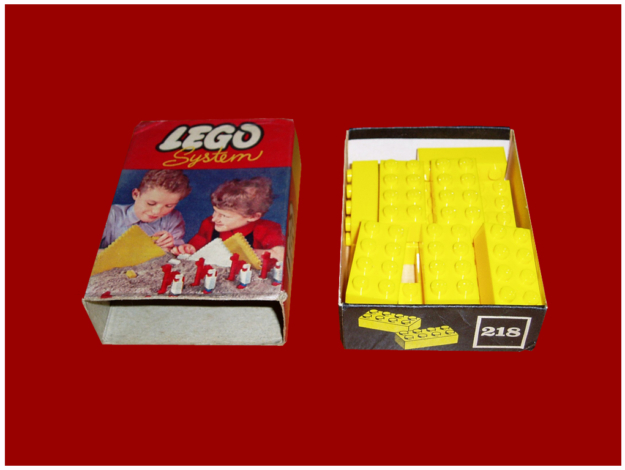 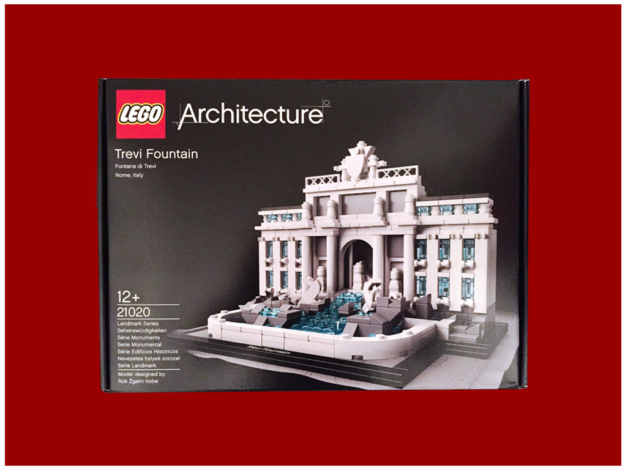 From 1959 onwards, the LEGO grew significantly thanks to the small company staff responsible of new idea creations for the improvement of the creative division. 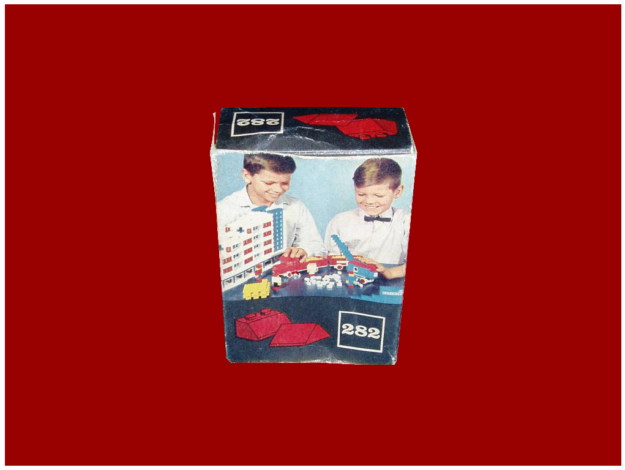 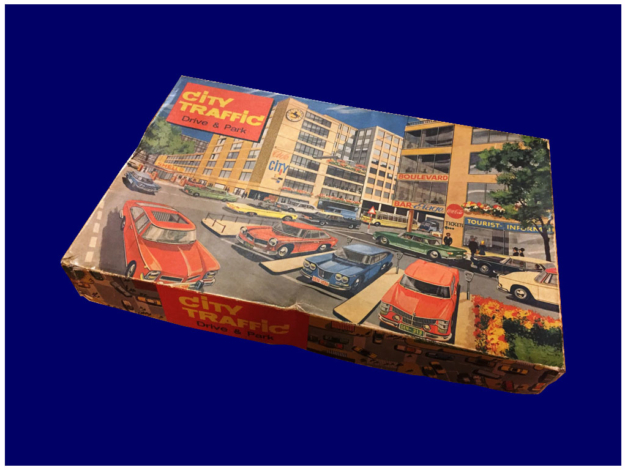 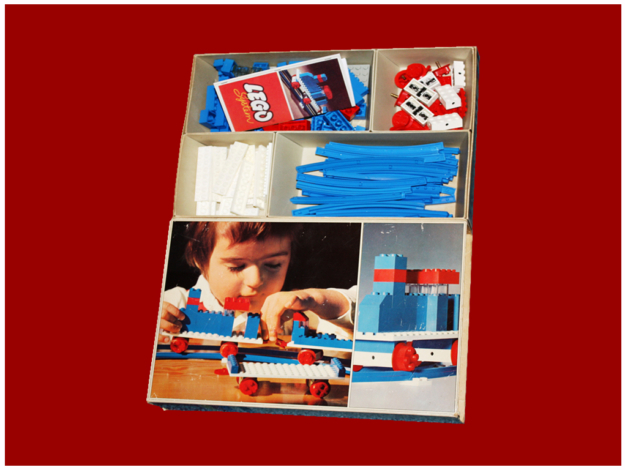 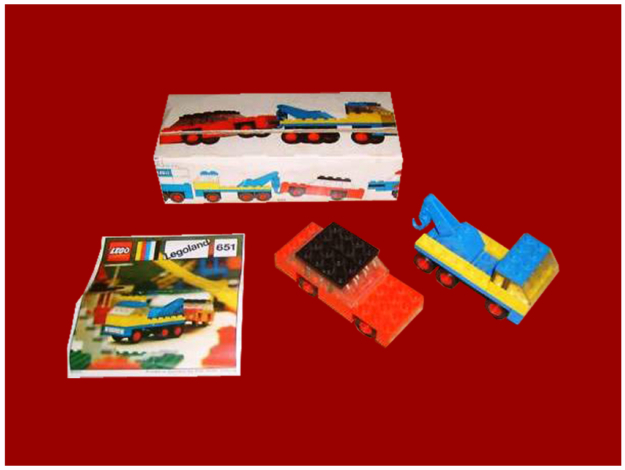 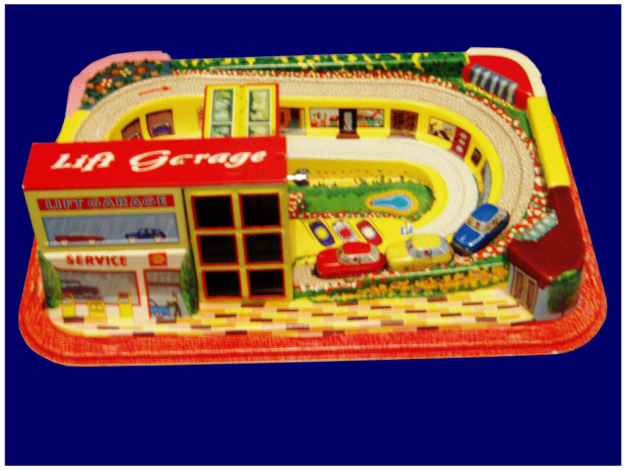 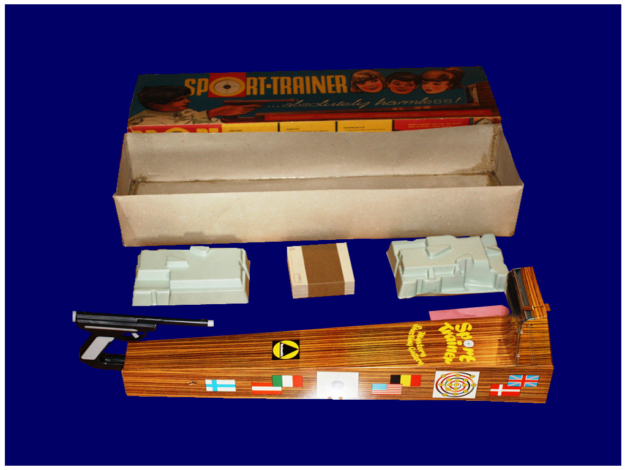 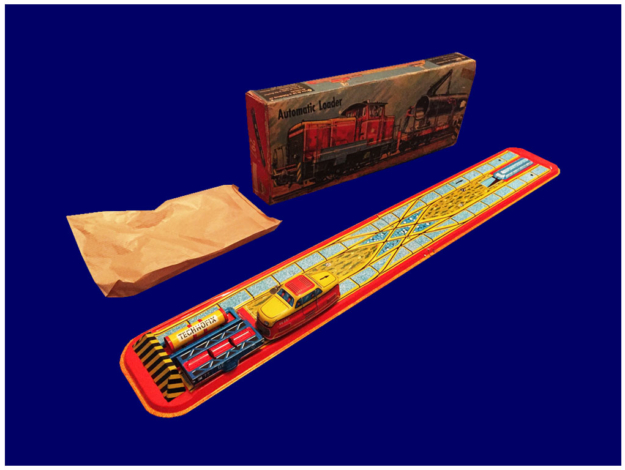 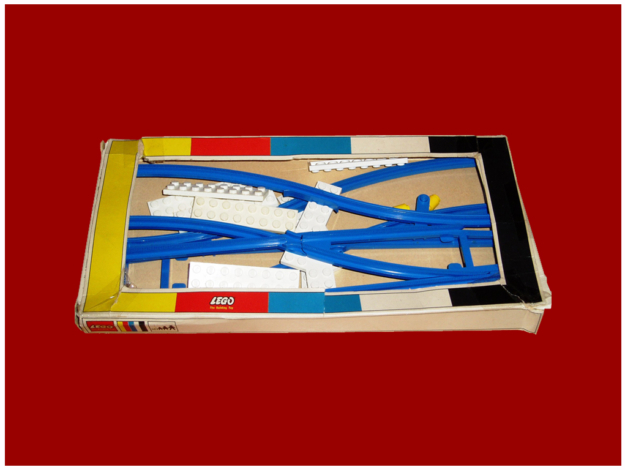 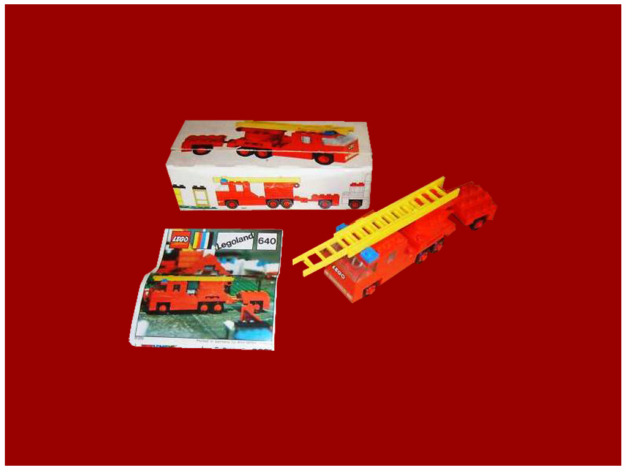 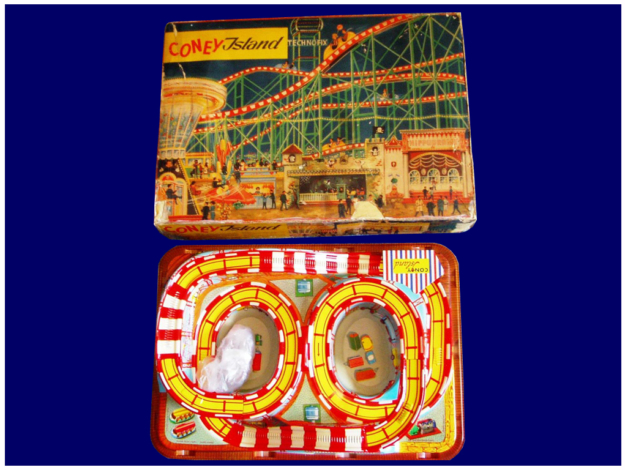 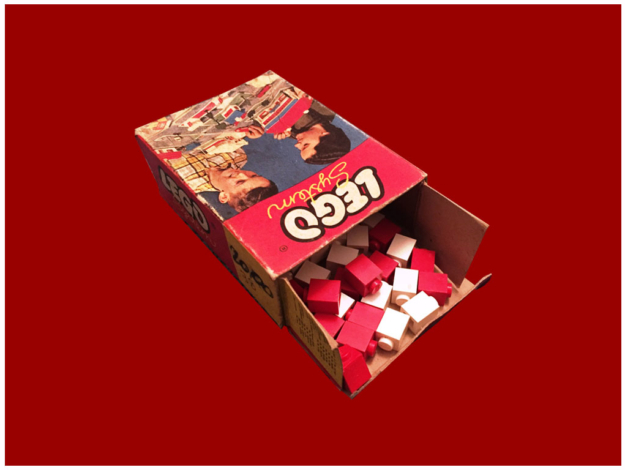 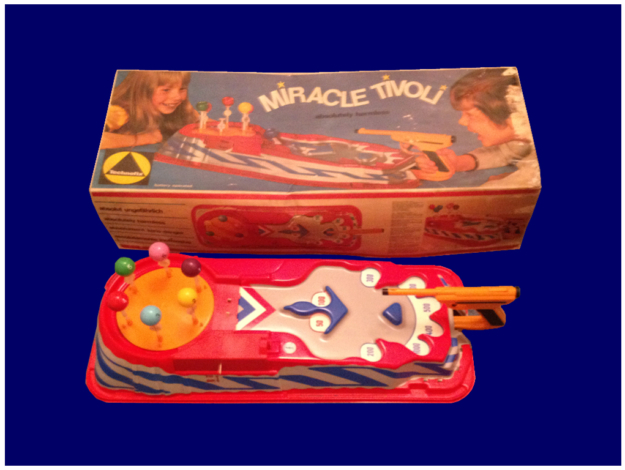 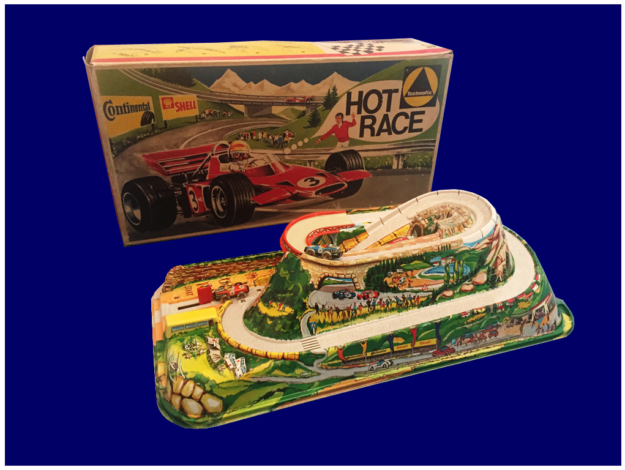 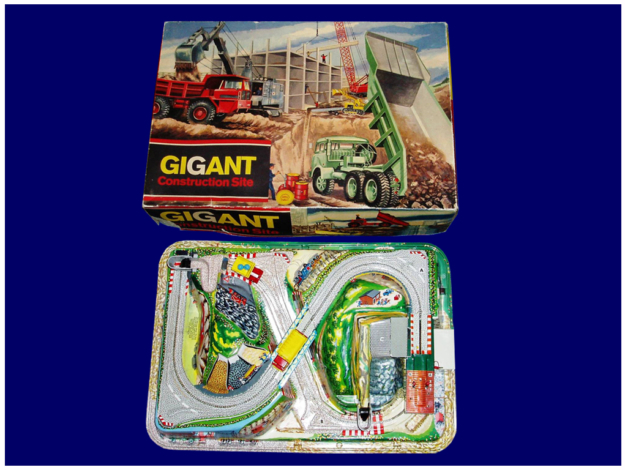 The solid line of plastic bricks allowed the company to give up the wooden toys production and to expand so much that in 1960 it employed 450 people. 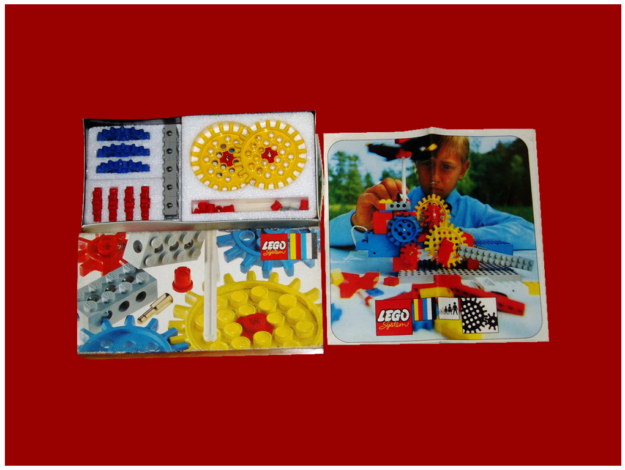 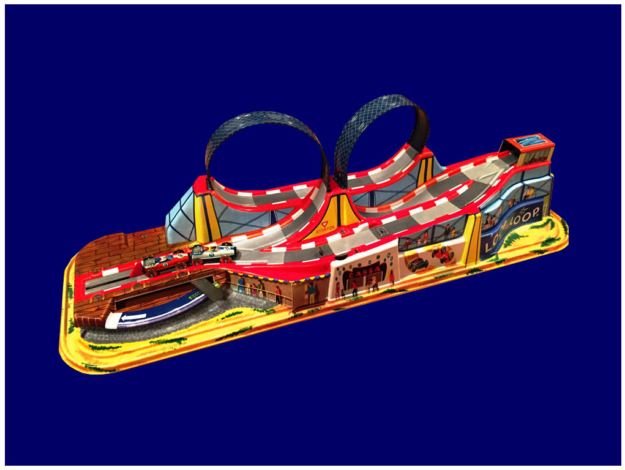 Between 1961 and 1962 was introduced the first wheel, an innovation that made it possible to build cars and other vehicles with the same building blocks. 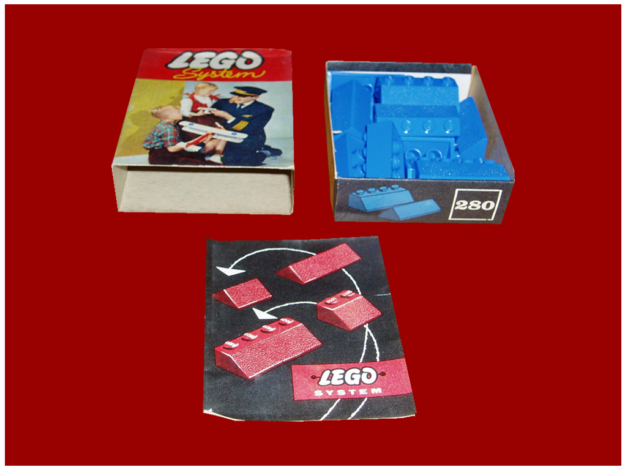 In 1963, the material used for bricks, cellulose acetate, was abandoned in favour of a more stable compound, which is still used: the ABS (acrylonitrile butadiene styrene), a non-toxic, less prone to discoloration and deformation and more resistant to heat, acids and other chemical products so that the bricks from 1963 still retain their shape and colour and can still be connected to the LEGO bricks produced nowadays, ensuring a strong identity and recognition in the market. 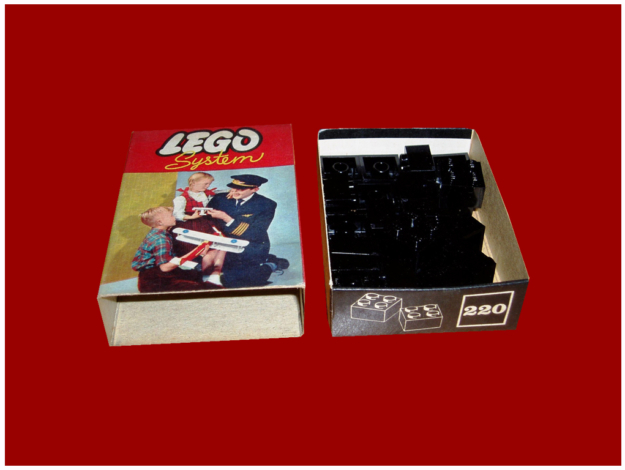 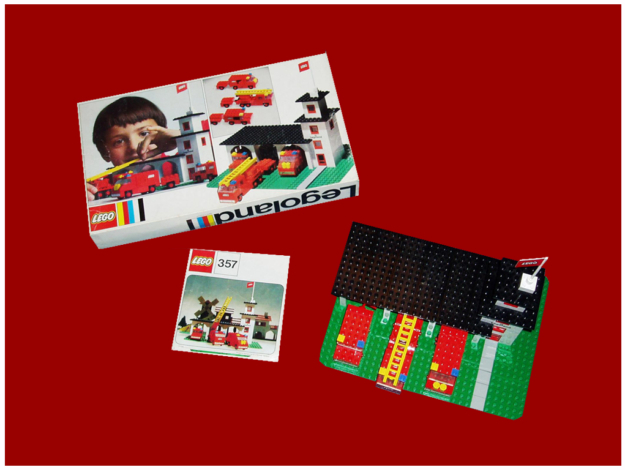 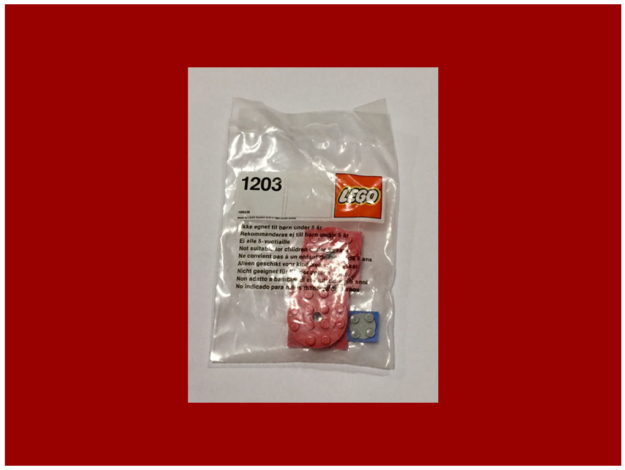 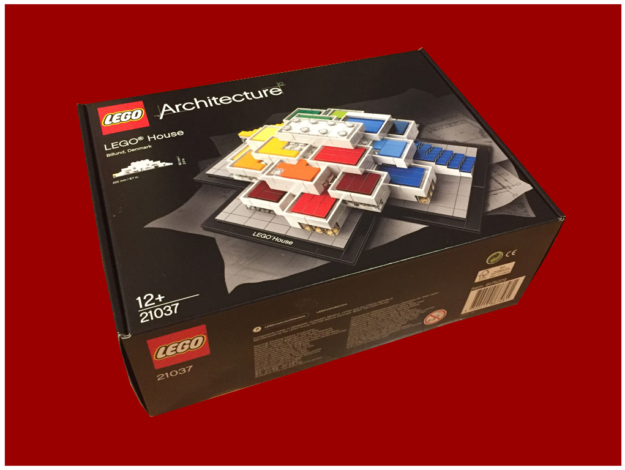 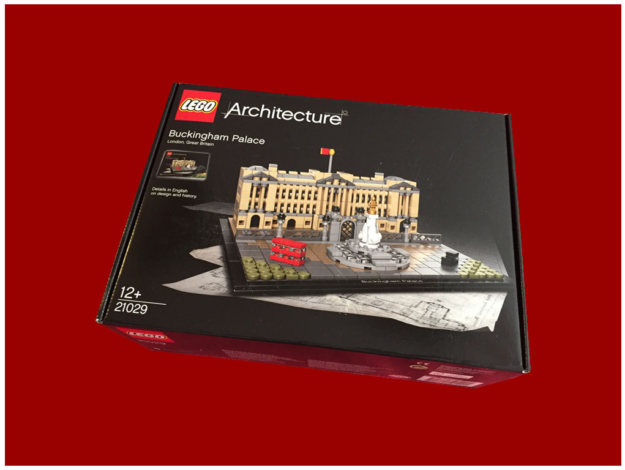 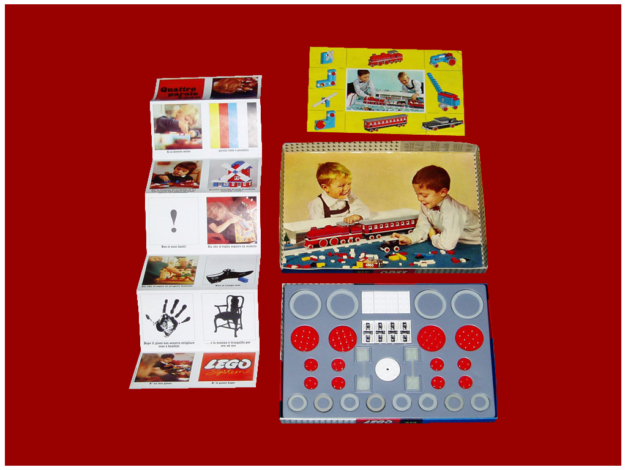 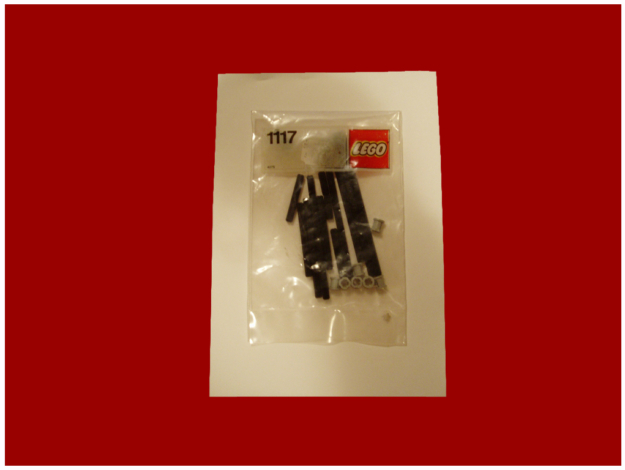 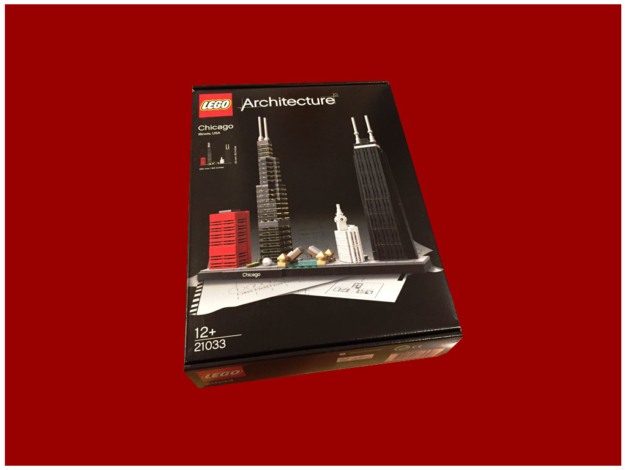 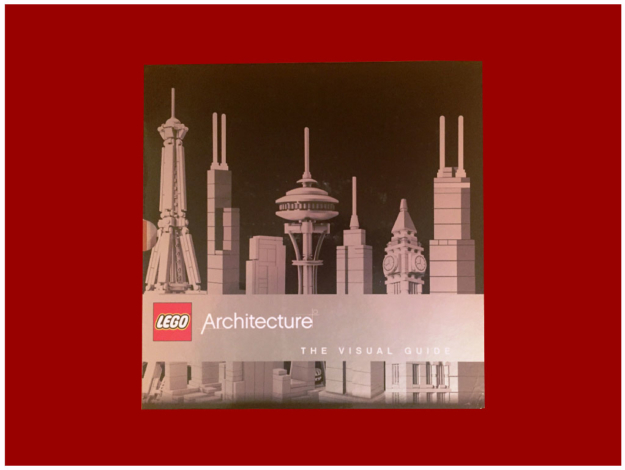 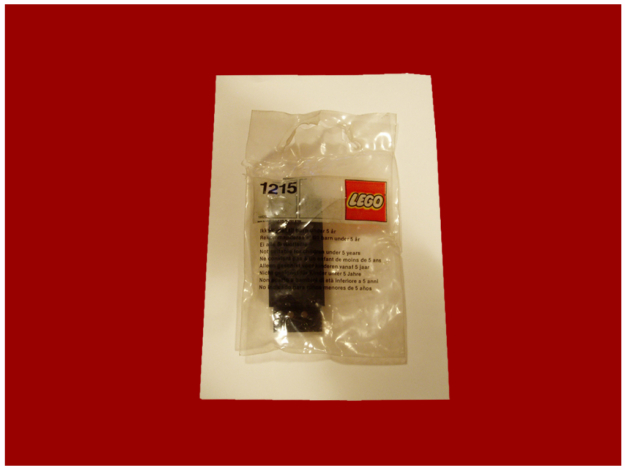 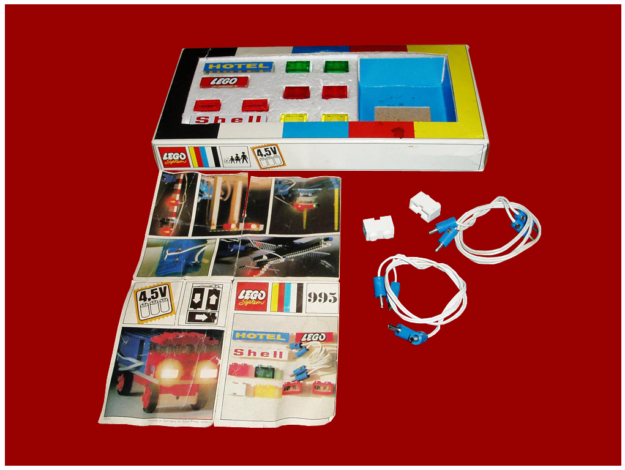 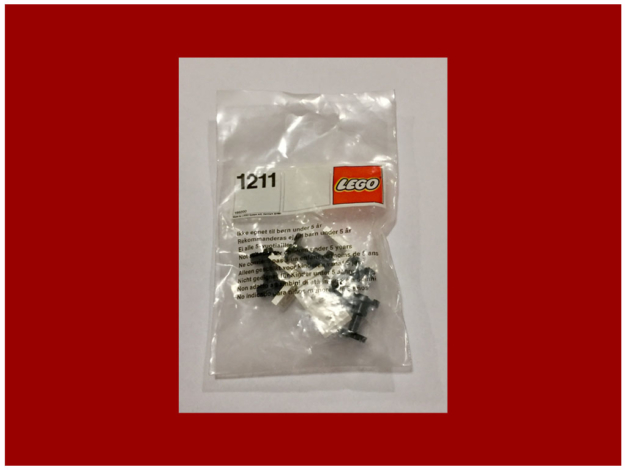 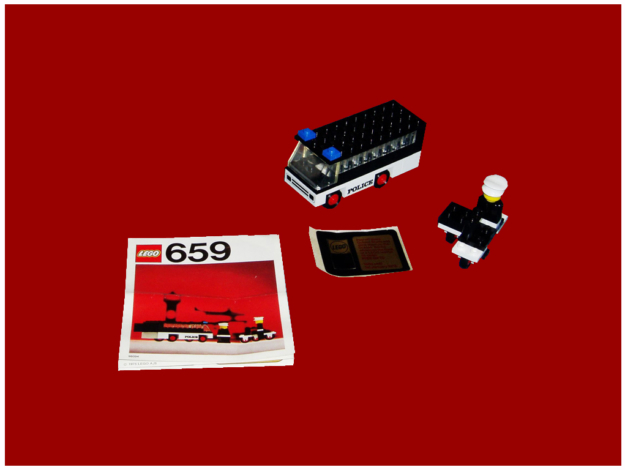 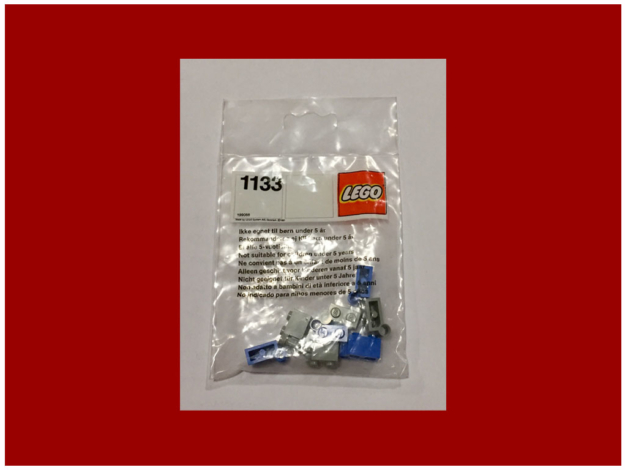 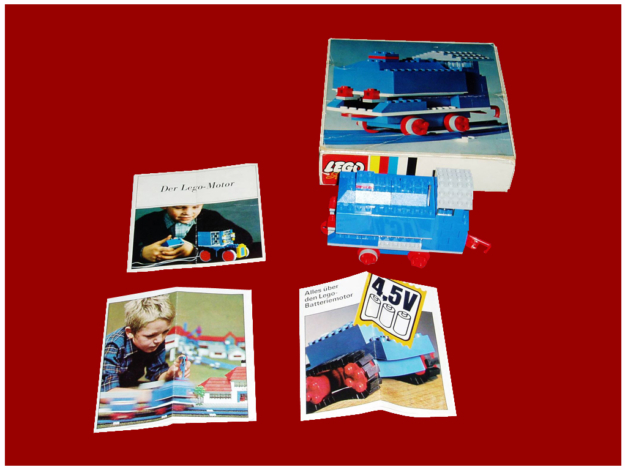 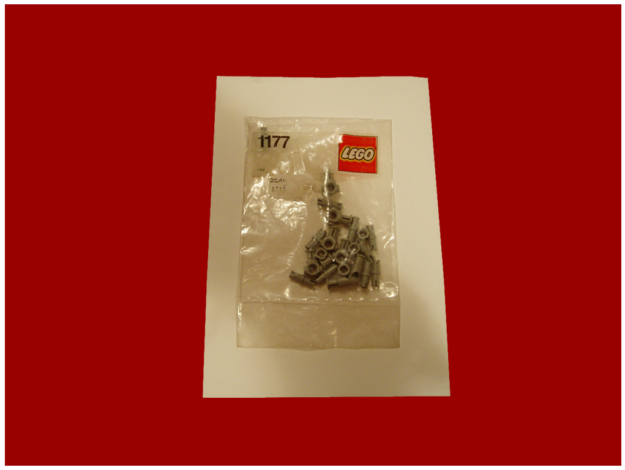 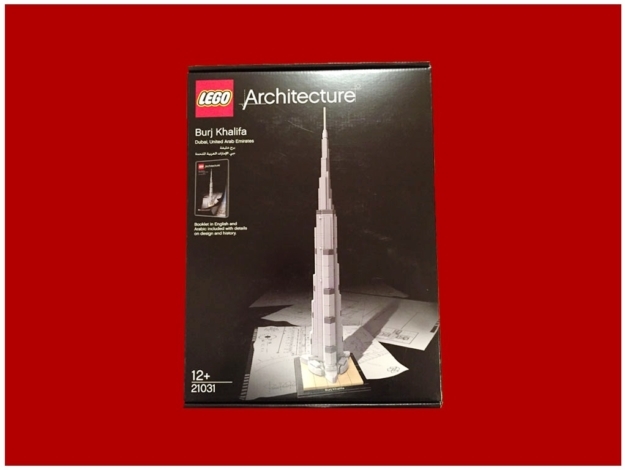 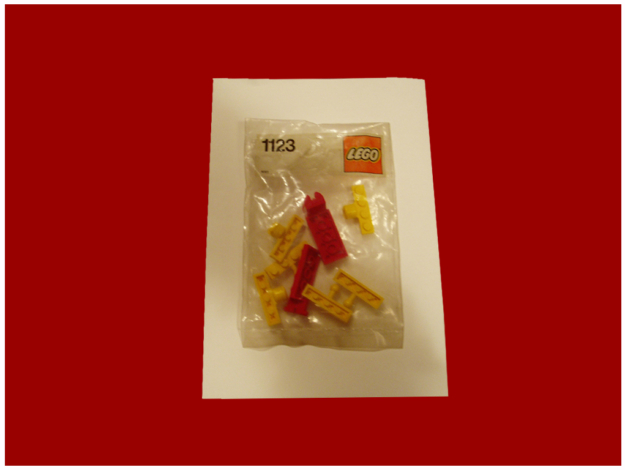 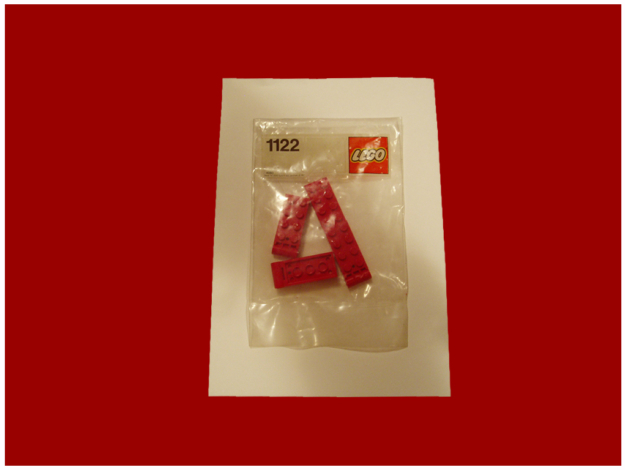 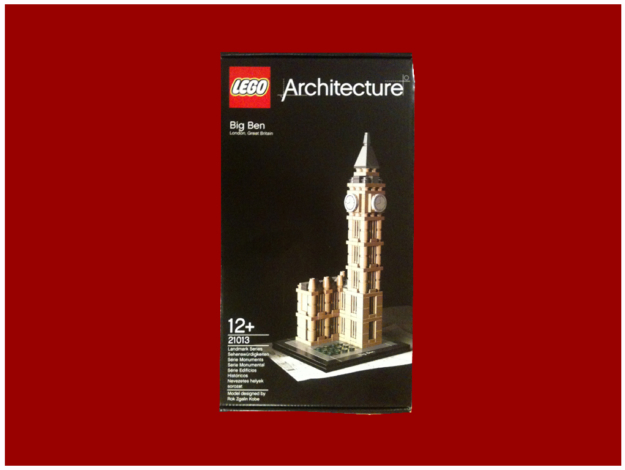 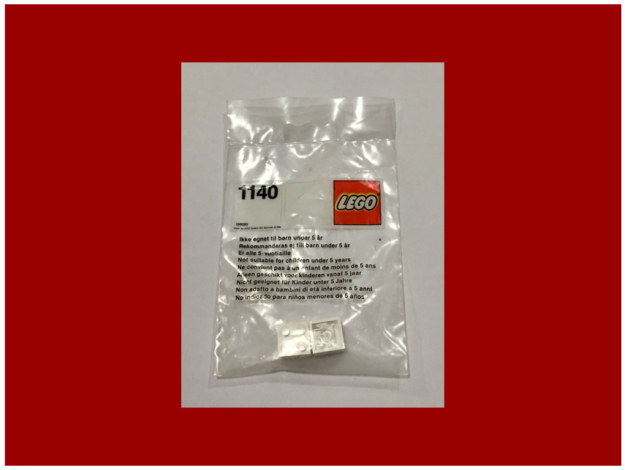 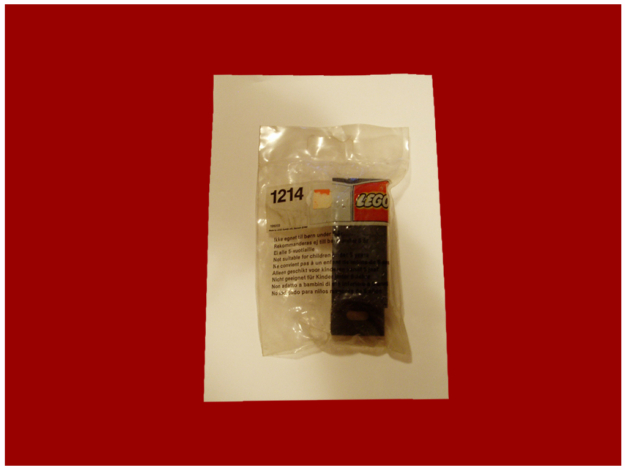 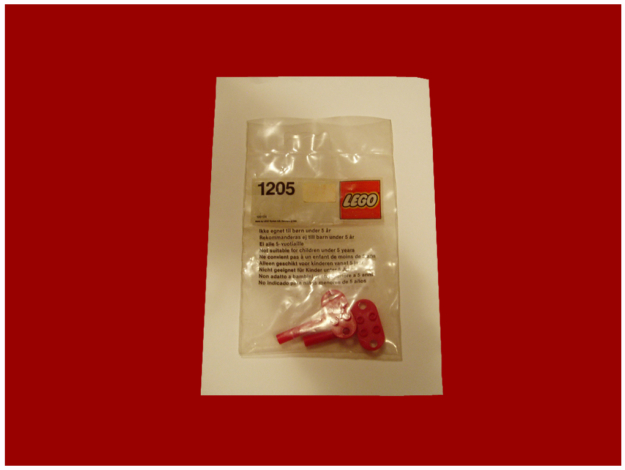 In 1964, for the first time they included instruction manuals in the packaging of LEGO bricks. 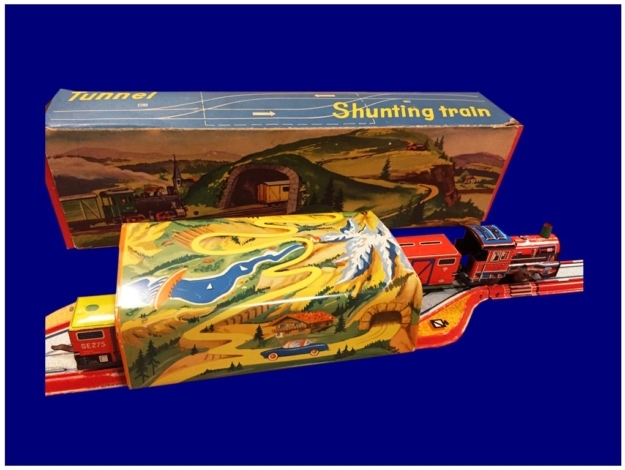 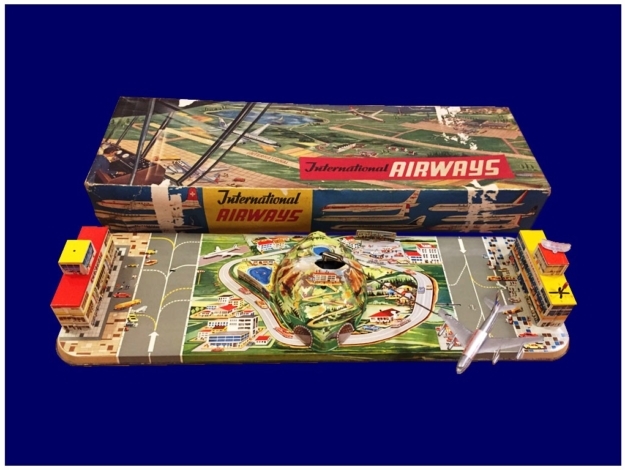 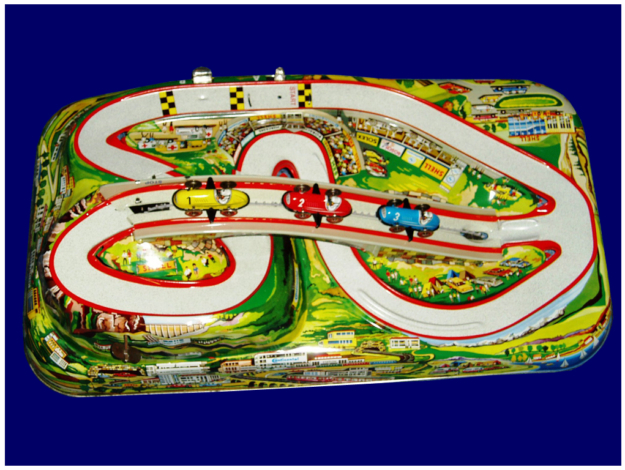 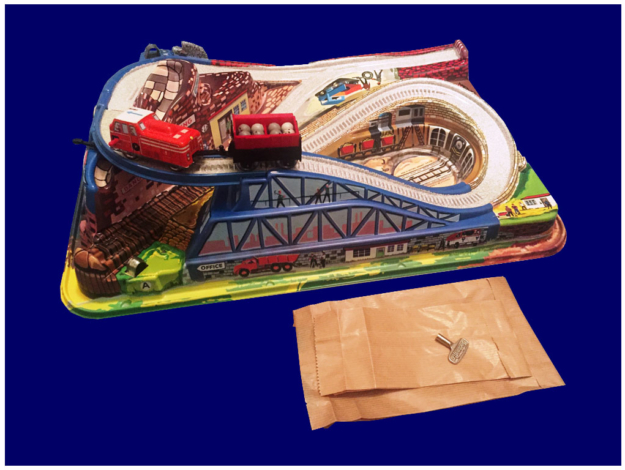 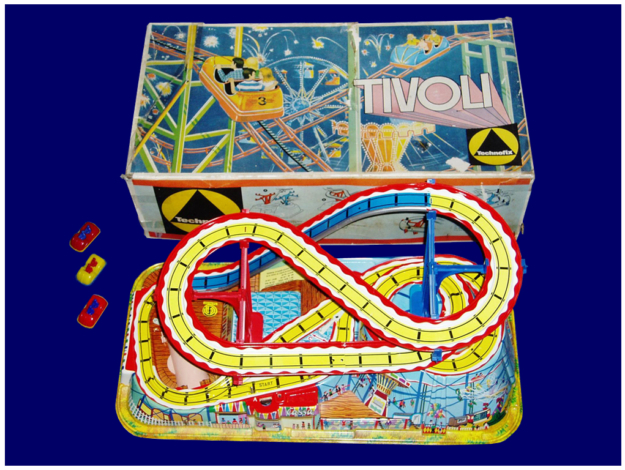 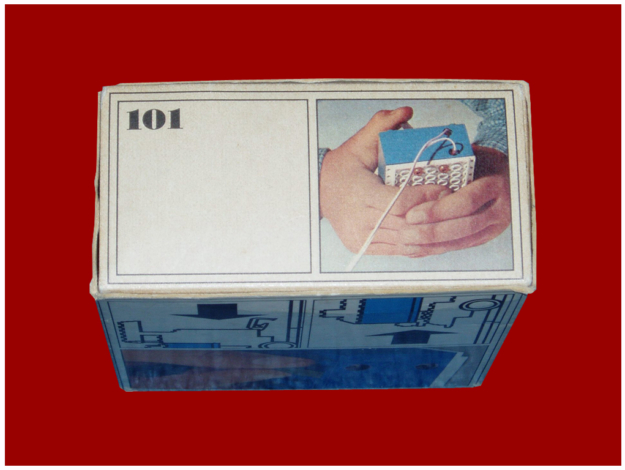 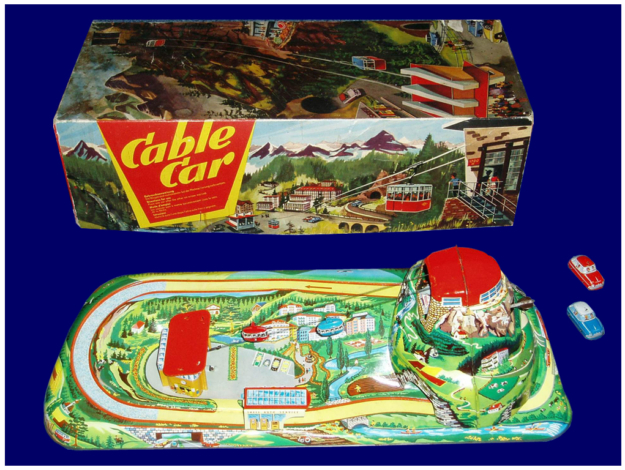 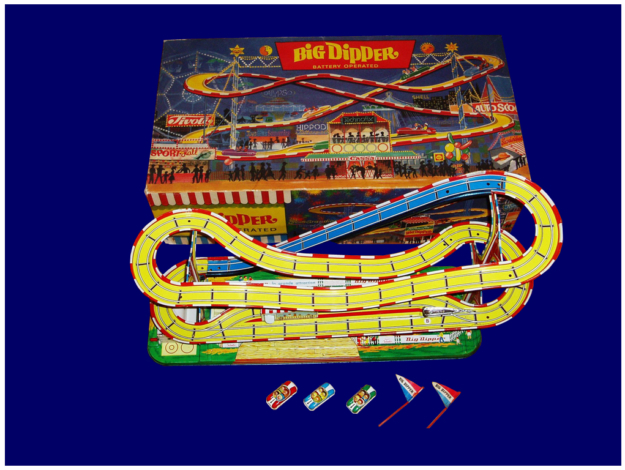 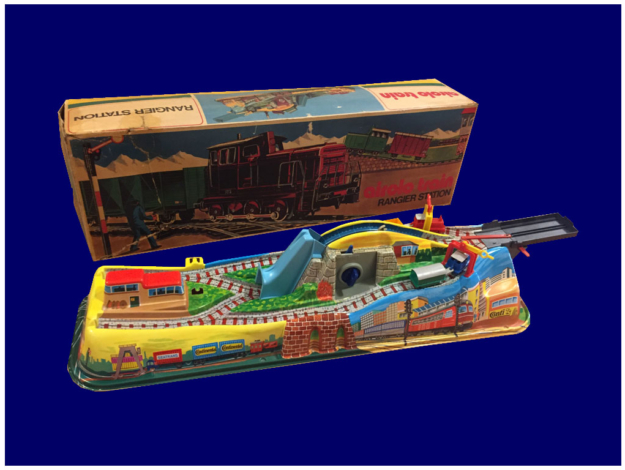 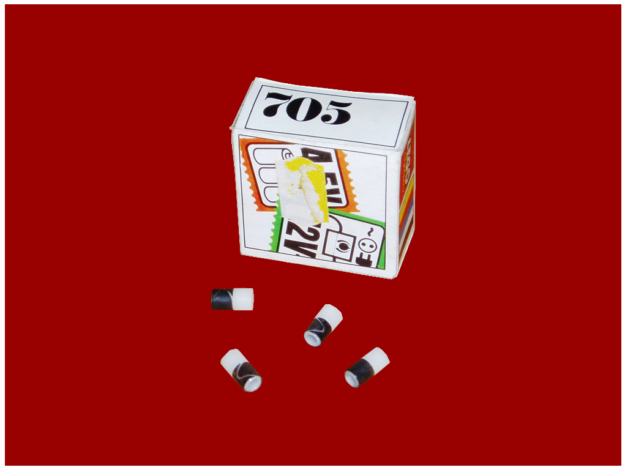 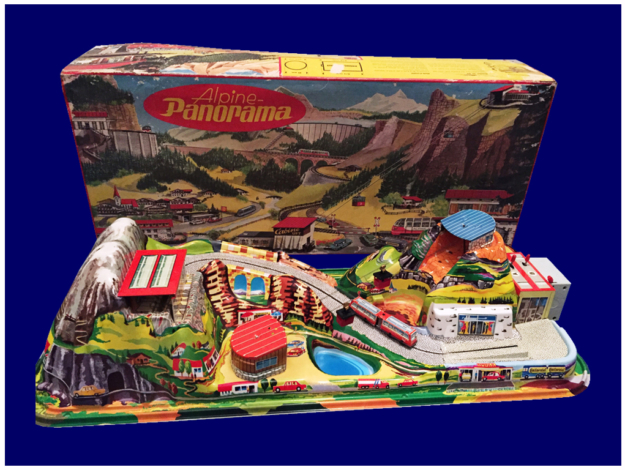 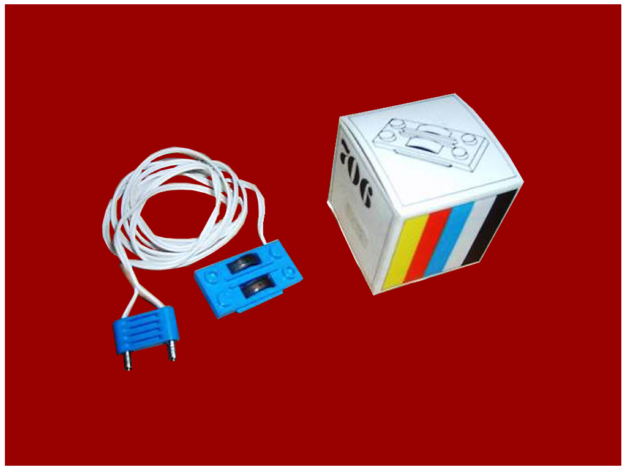 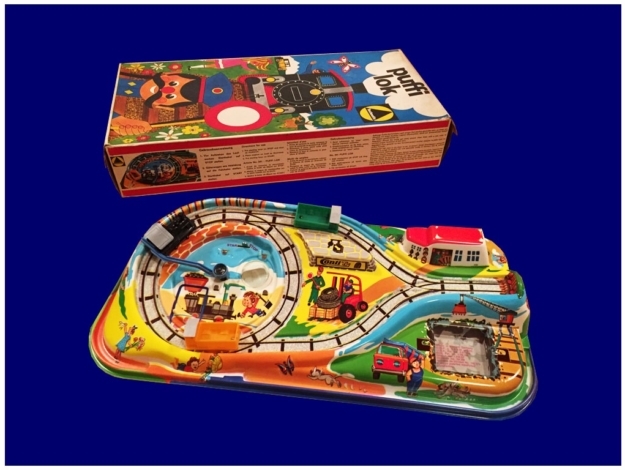 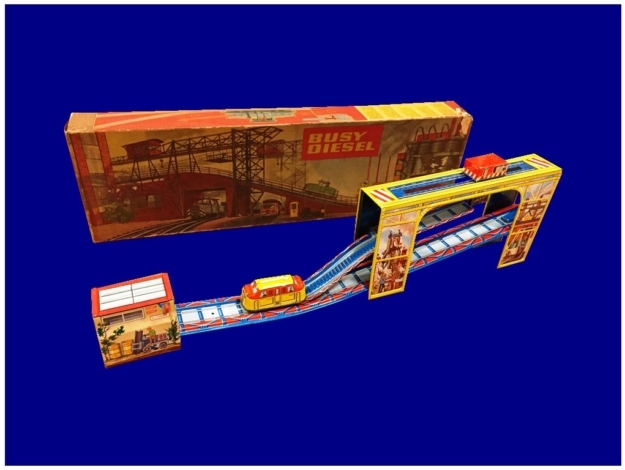 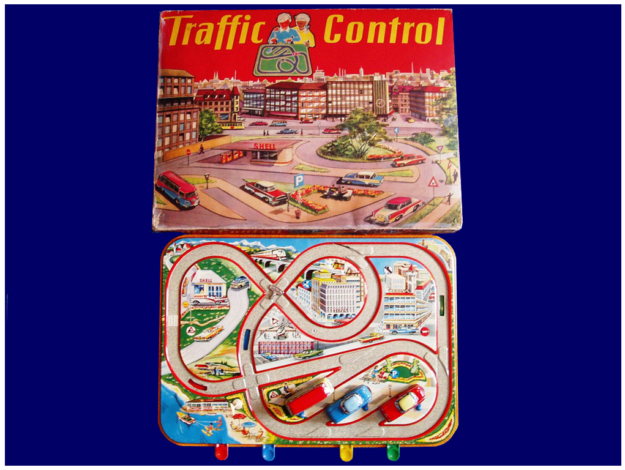 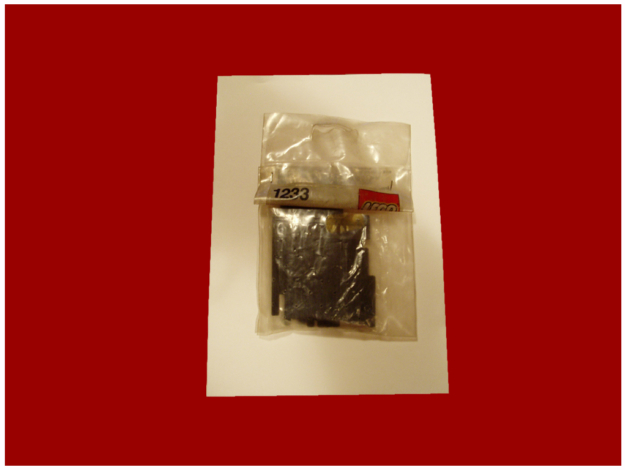 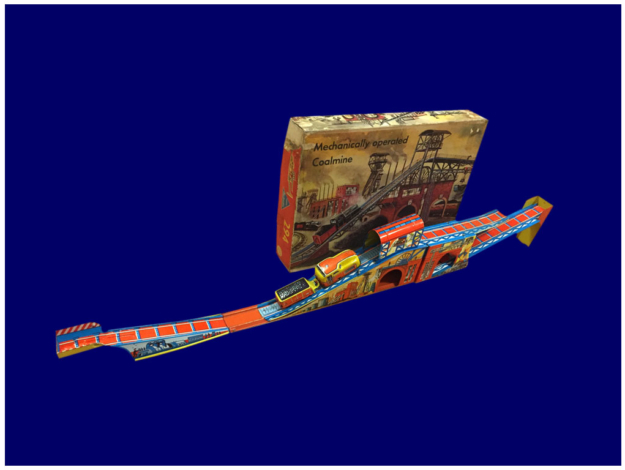 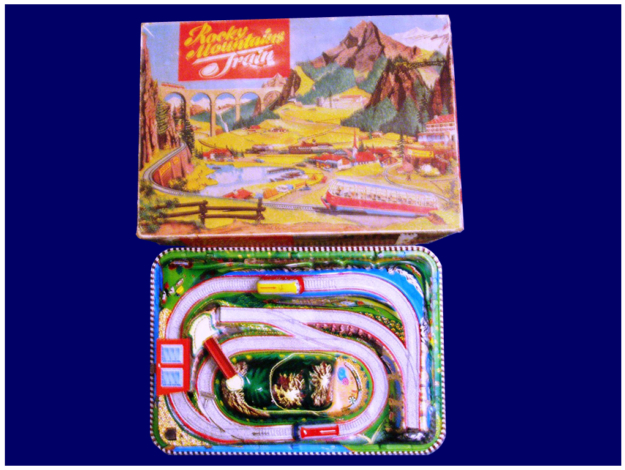 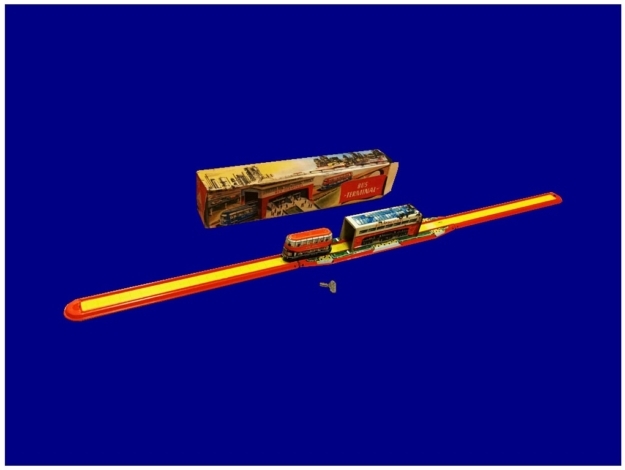 One of the most successful series was the train system, produced since 1966 when the original package included a small 4.5 volts motor, while two years later a 12 volts motor was introduced. 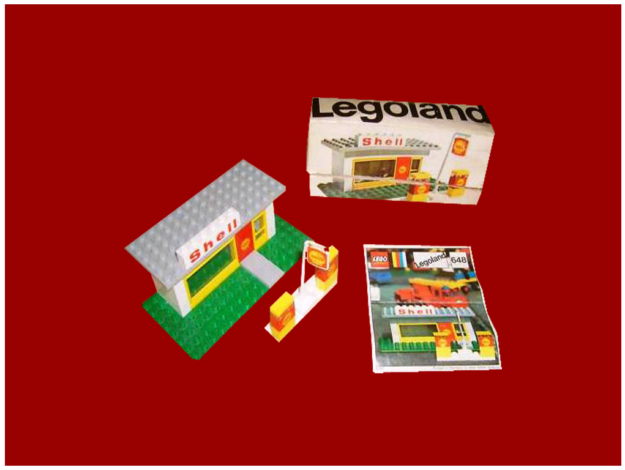 On 7 June 1968 was created the Legoland Park in Billund, where models of miniature towns were completely built with LEGO bricks. 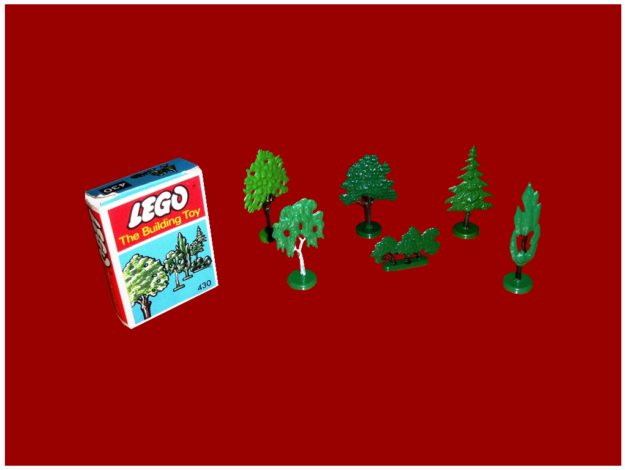 The 12,000 square feet LEGO Park had 625,000 visitors in the first year and in the next twenty years it grew up until it became eight times the original size, and reached about one million visitors a year. 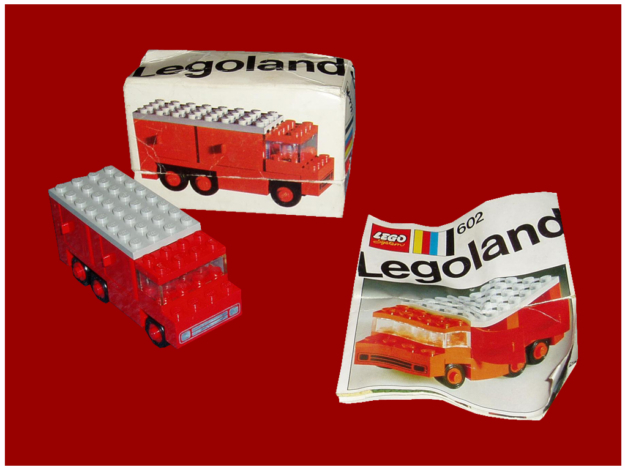 Thanks to this increased visibility, in 1968 over 18 million boxes of LEGO were sold and the company in 1970 employed over 900 employees. 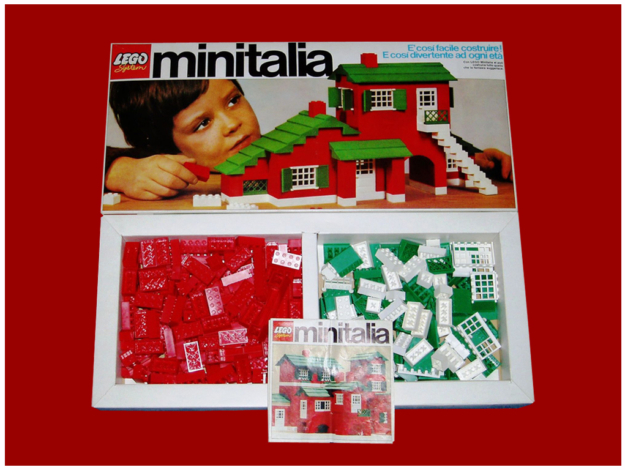 In 1971 they also began to deal specifically with the female market by introducing pieces of furniture and doll’s house. 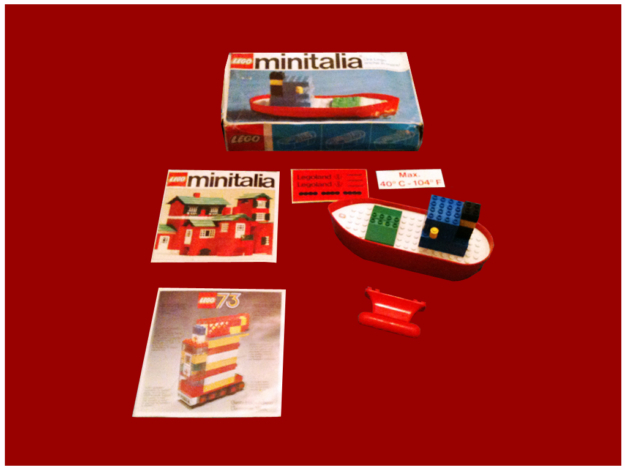 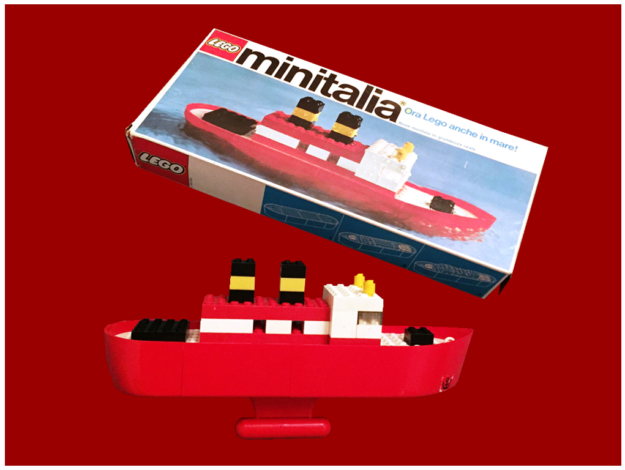 In 1972 the LEGO universe expanded in the transport sector, with the introduction of boxes with ships and boats with hulls that could really float. 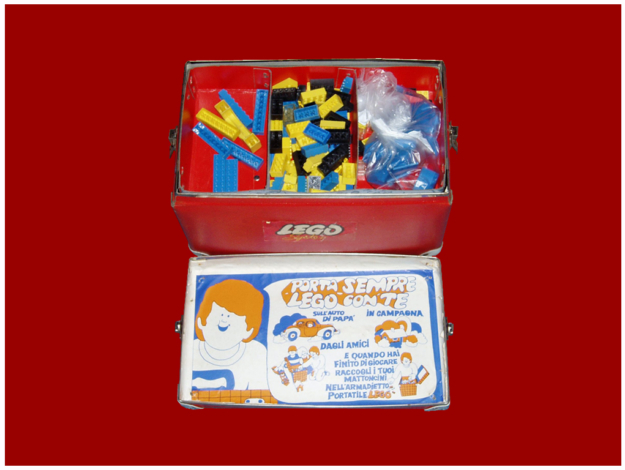 In 1974 the first human figures with movable arms appeared inside the boxes of LEGO family line, which became the bestselling boxes, while the Expert series, dedicated to more experienced LEGO builders, were introduced in 1975. 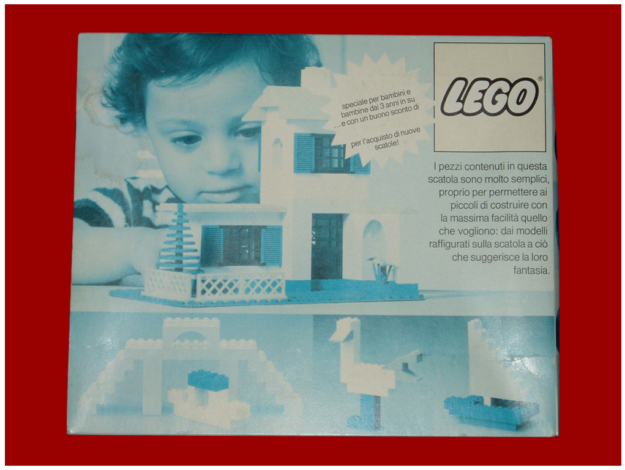 Finally, the LEGO world was completed in 1978 with the addition of the “little men” whose iconography was to become famous. 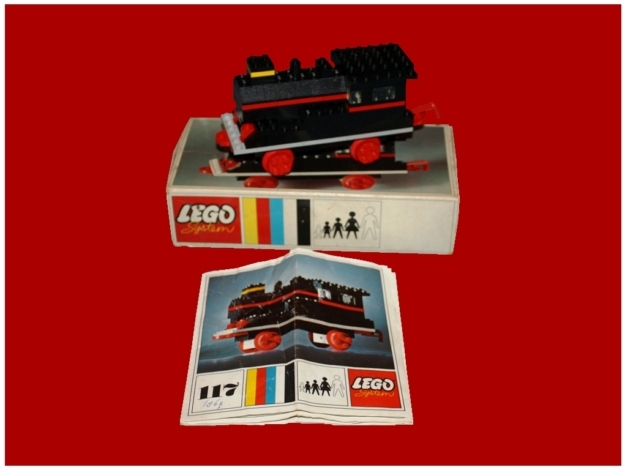 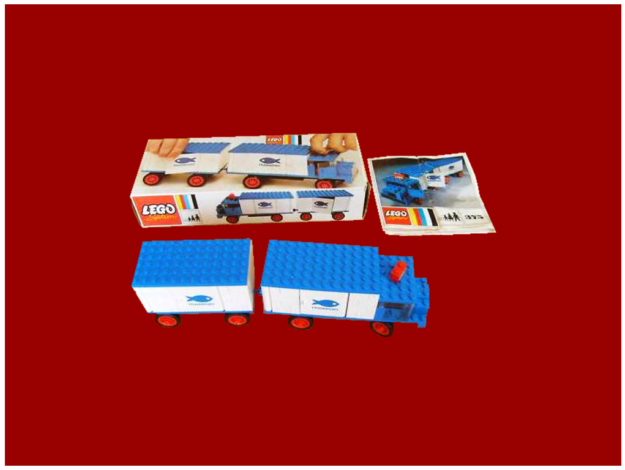 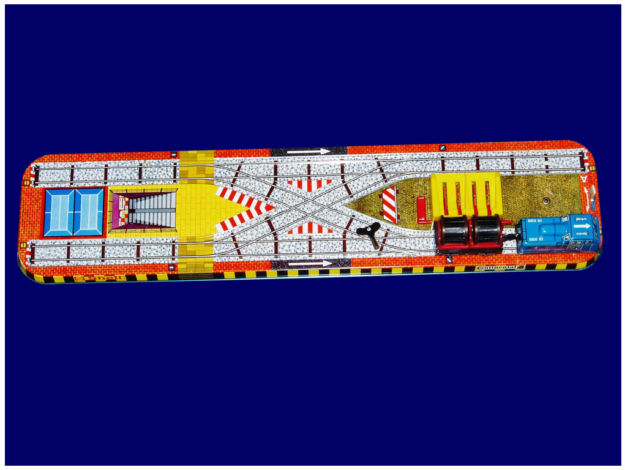 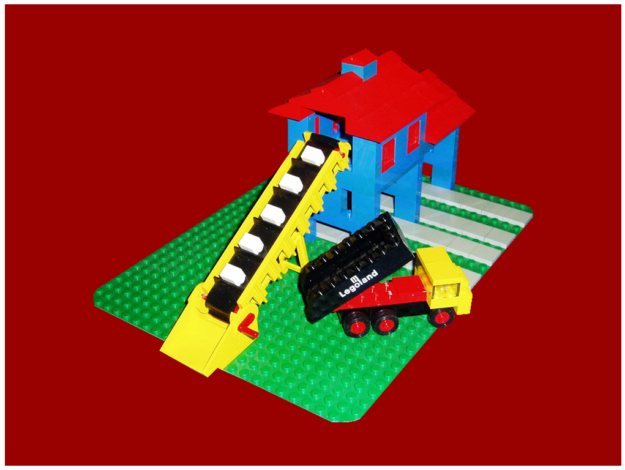 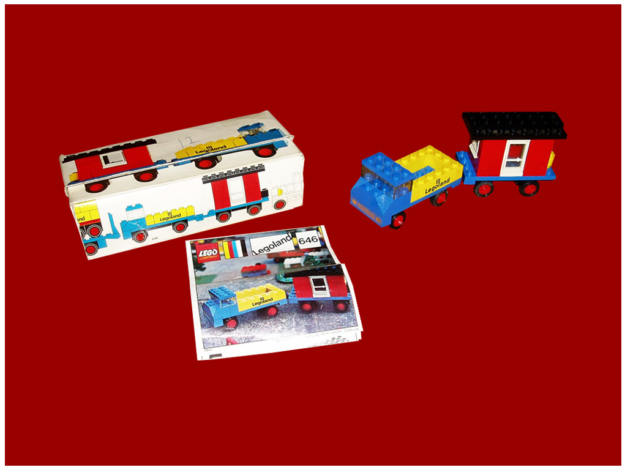 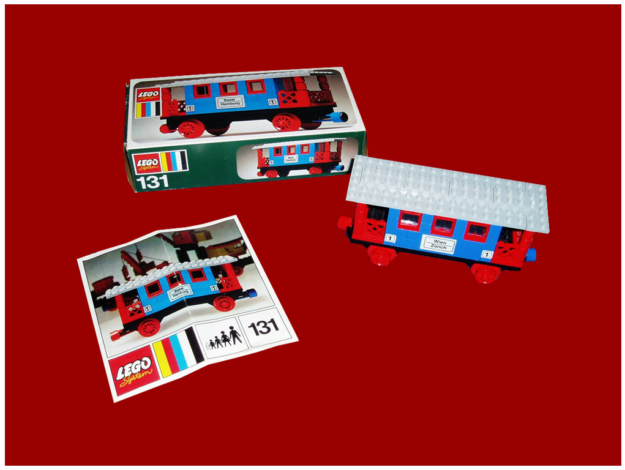 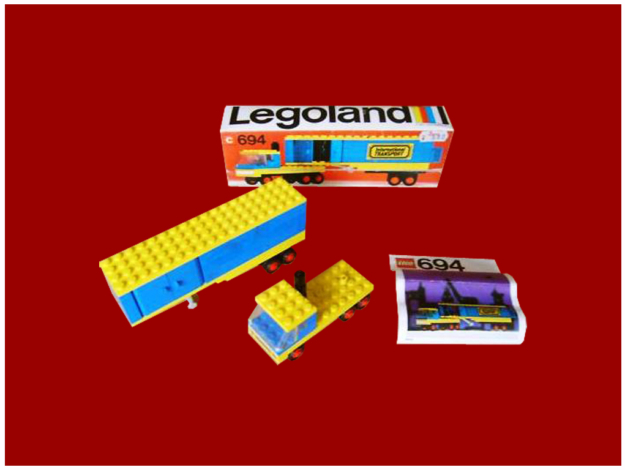 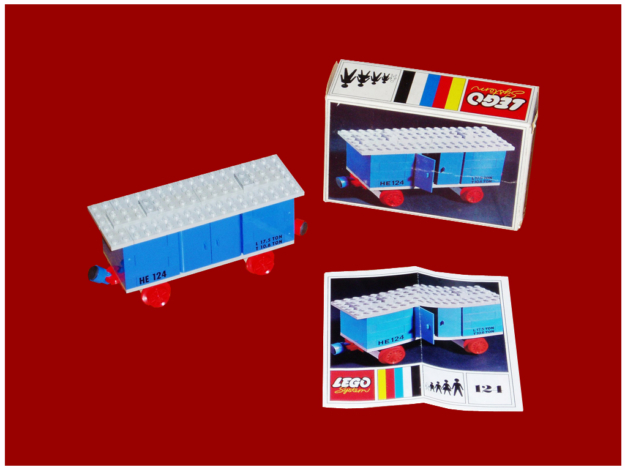 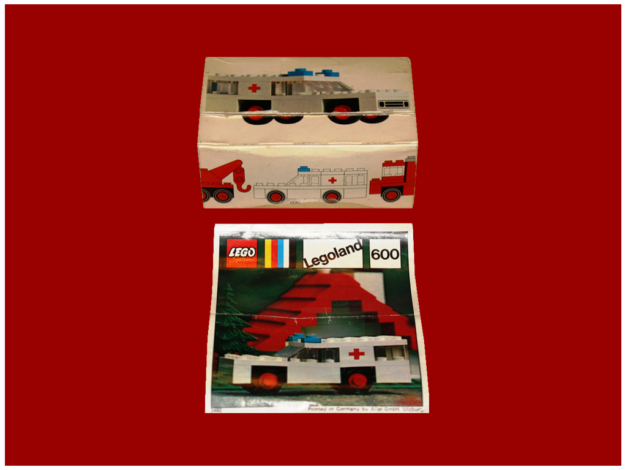 Later, in 1981, the second generation of LEGO trains appeared and, as the previous version, it was available in both 4.5 V battery and 12 V with transformer, but a big number of accessories were added, including lights, exchanges and signals remotely controlled, even clutch systems. 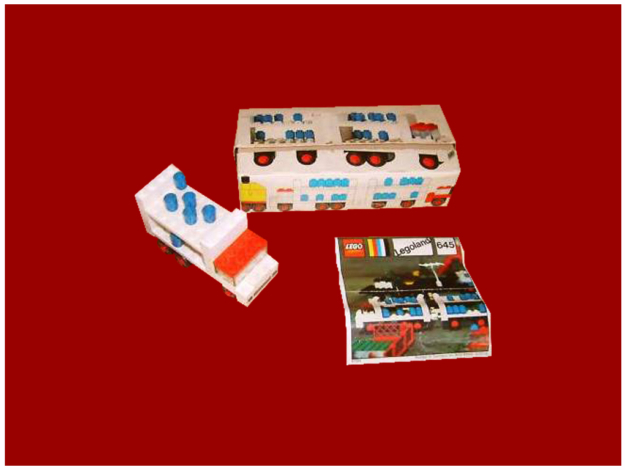 In 1982, the Expert Builder series evolved, becoming the Technic series. 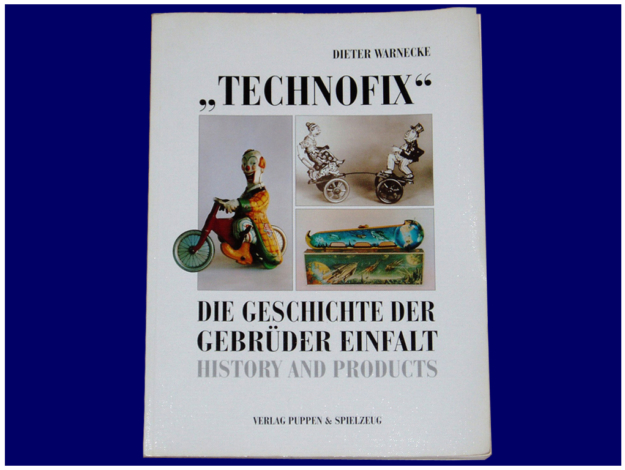 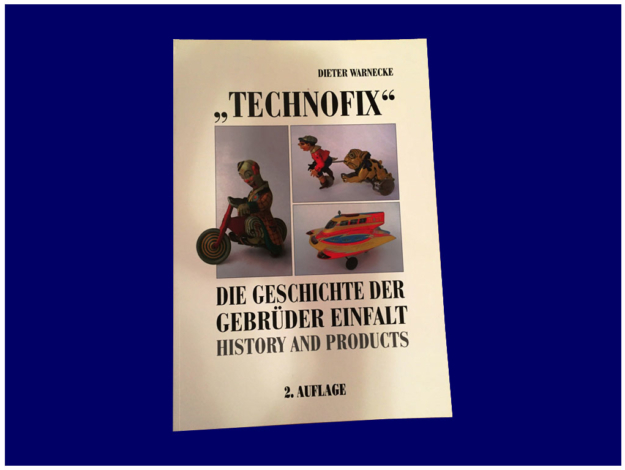 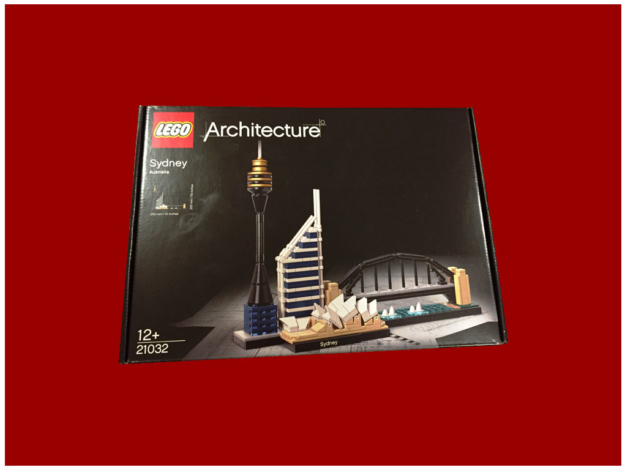 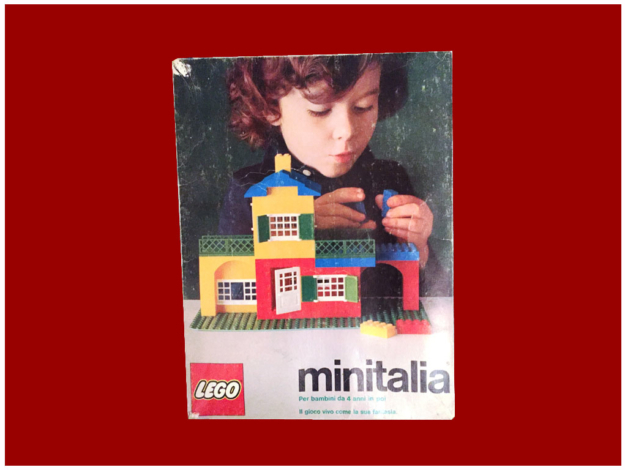 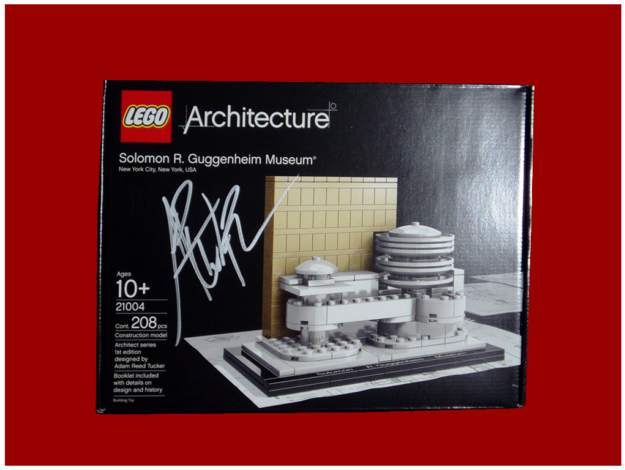 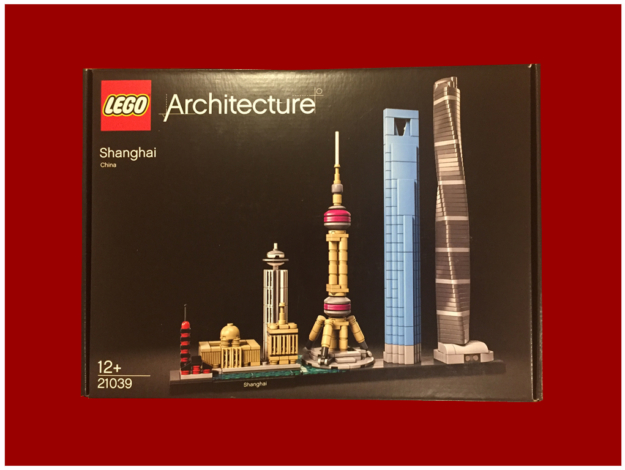 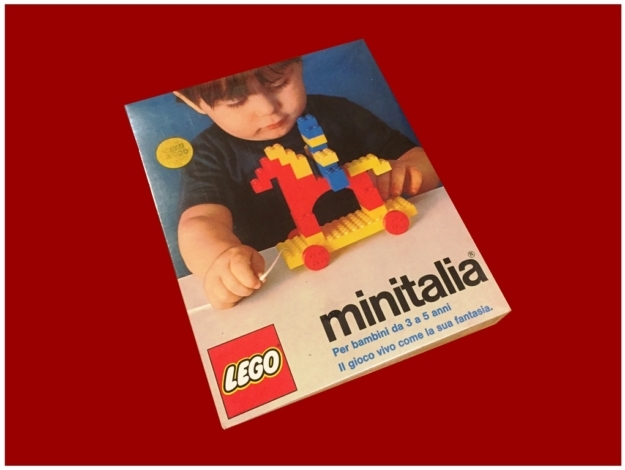 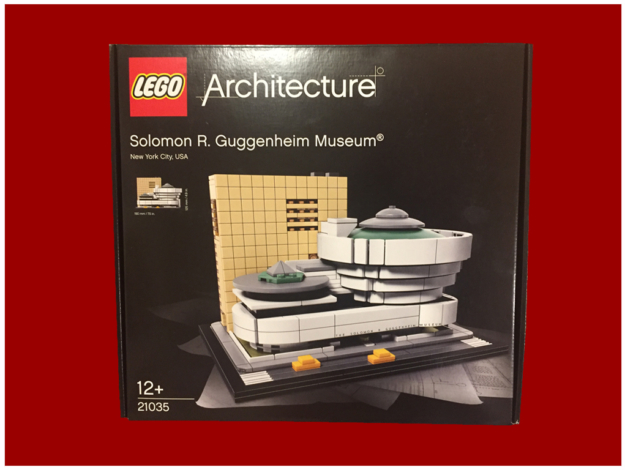 Few years ago, to commemorate the fiftieth LEGO birthday, a special book was published: it contains all the sets produced that are also differently valued as rare products.